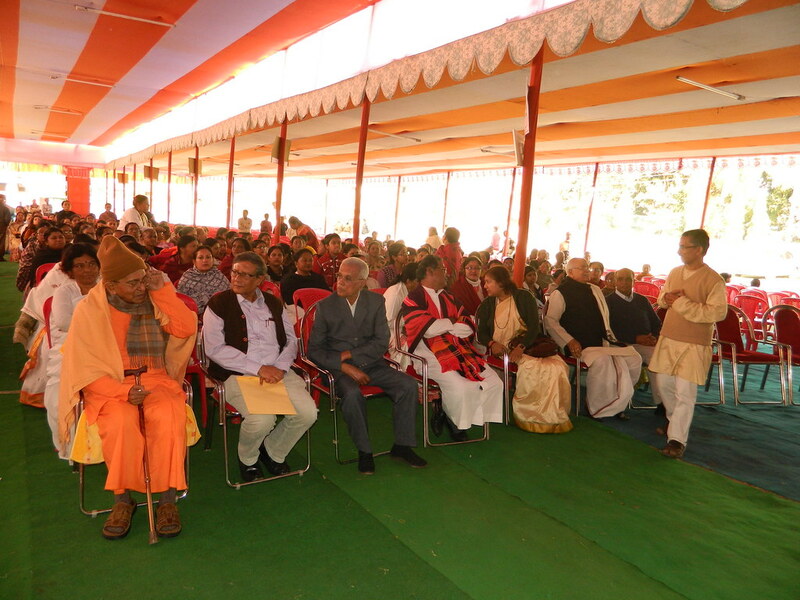 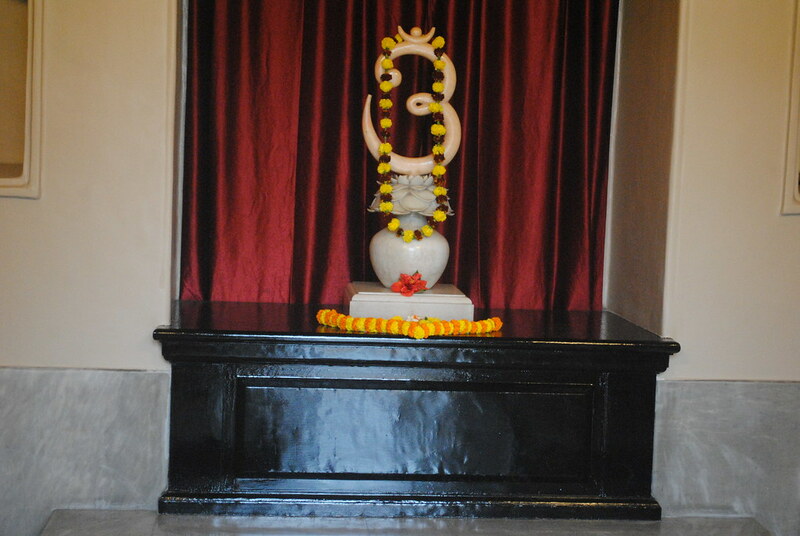 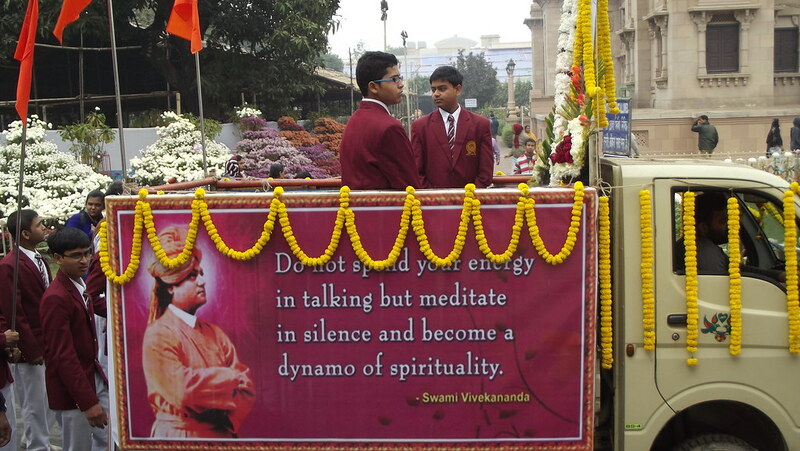 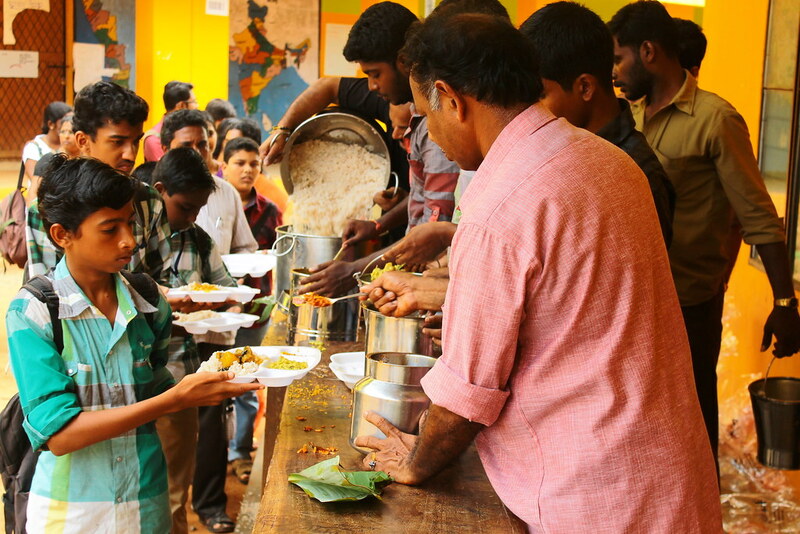 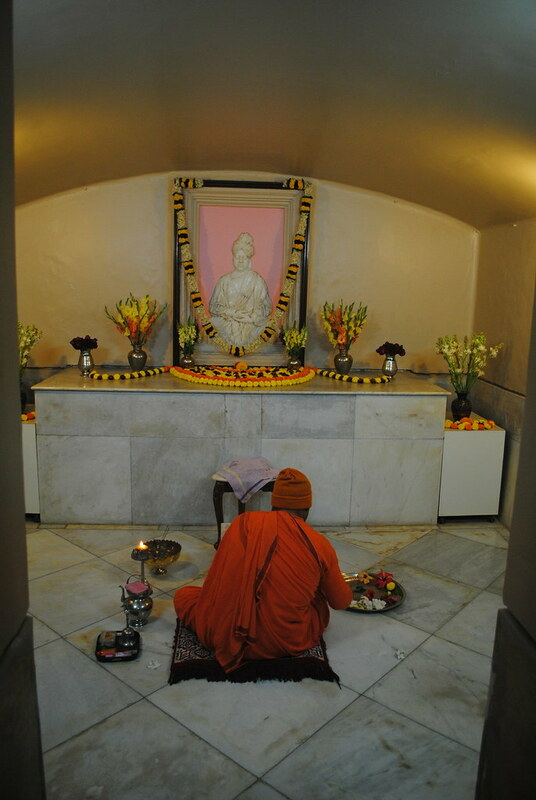 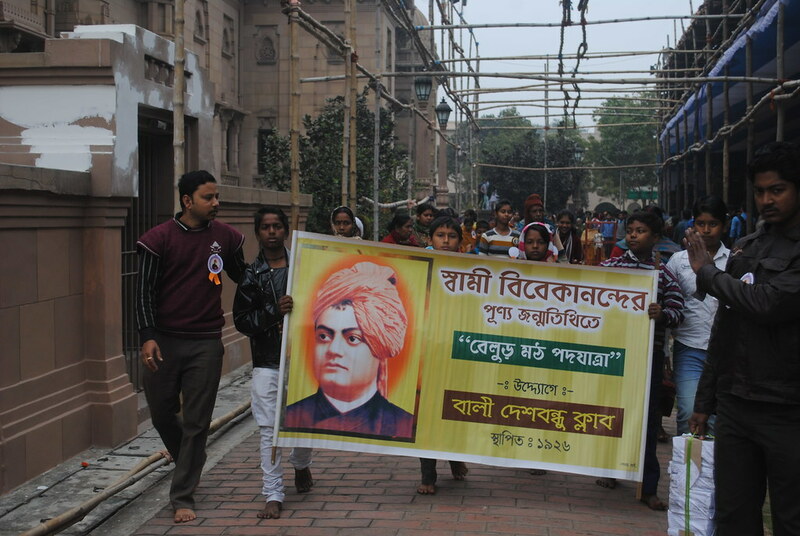 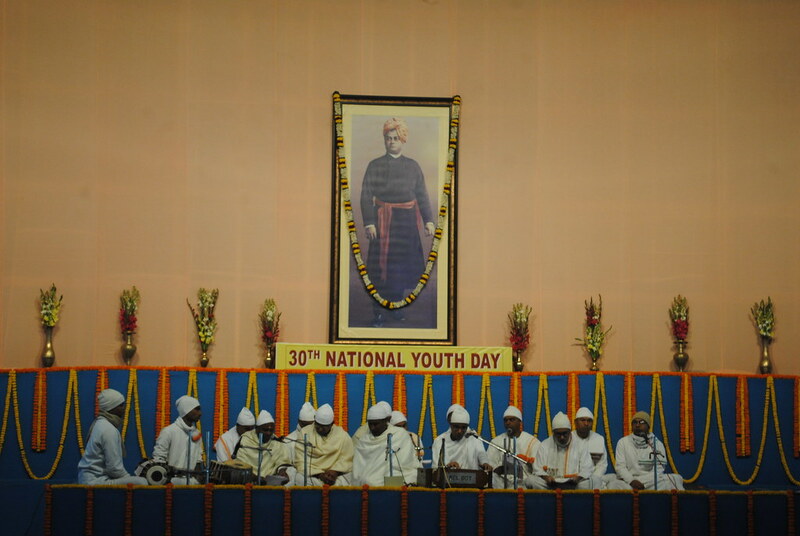 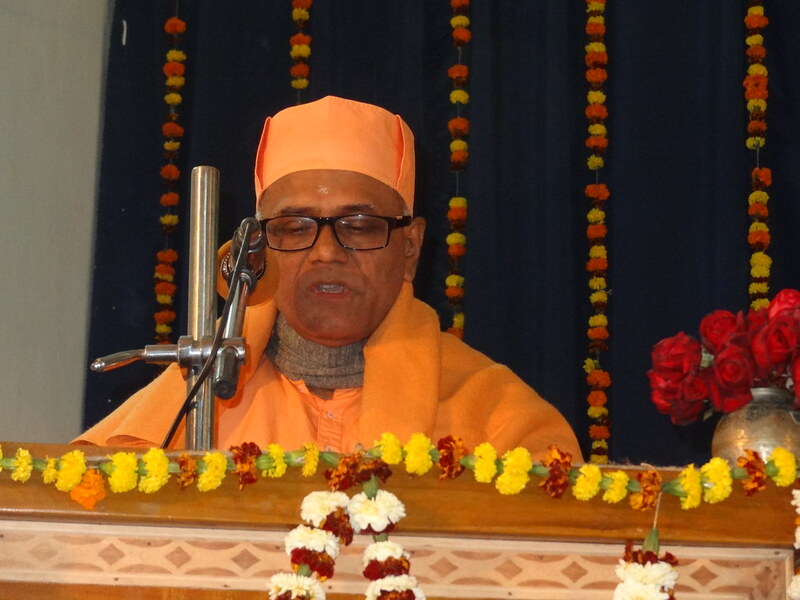 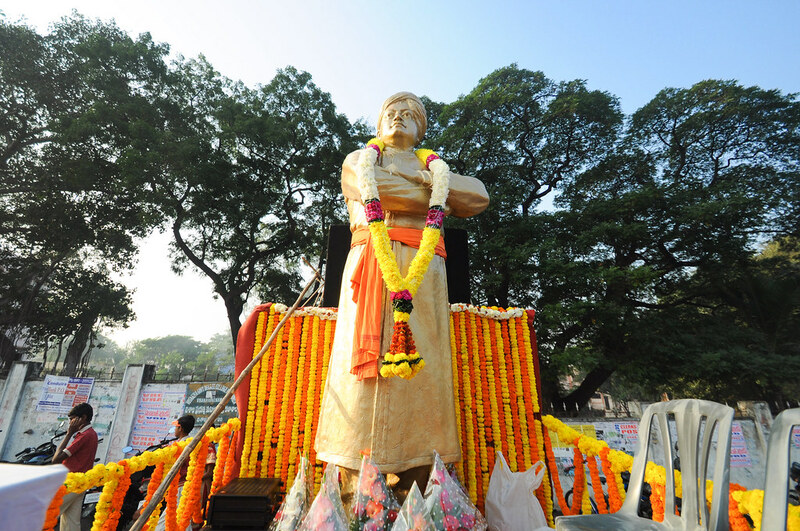 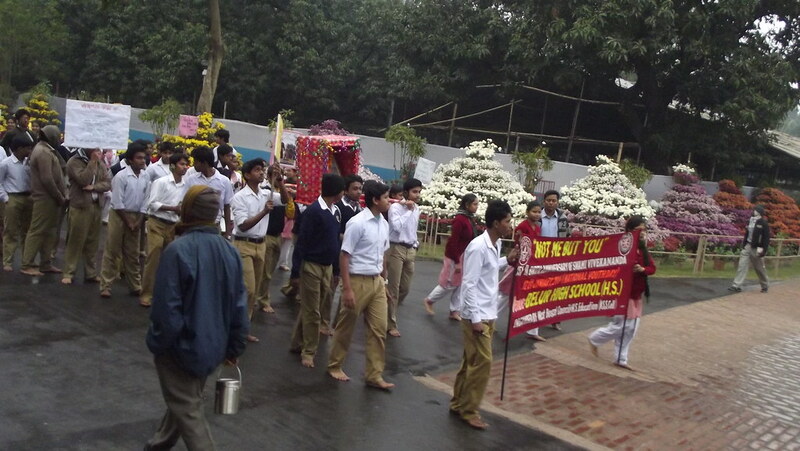 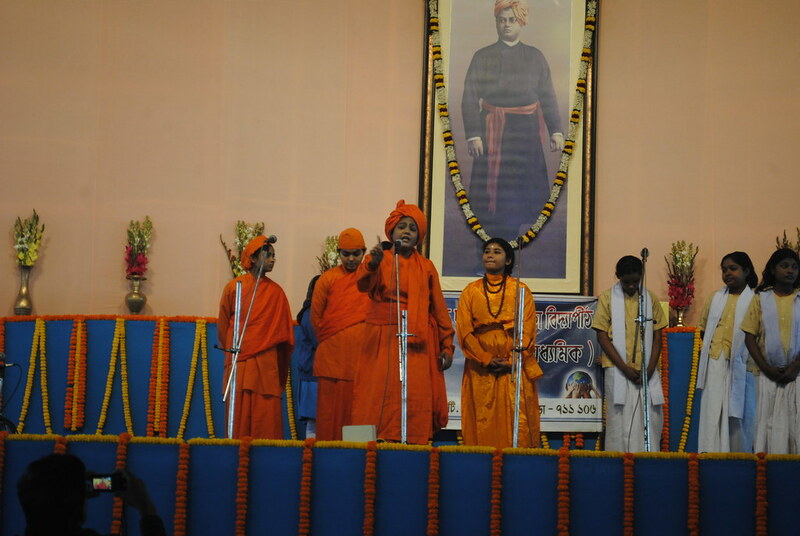 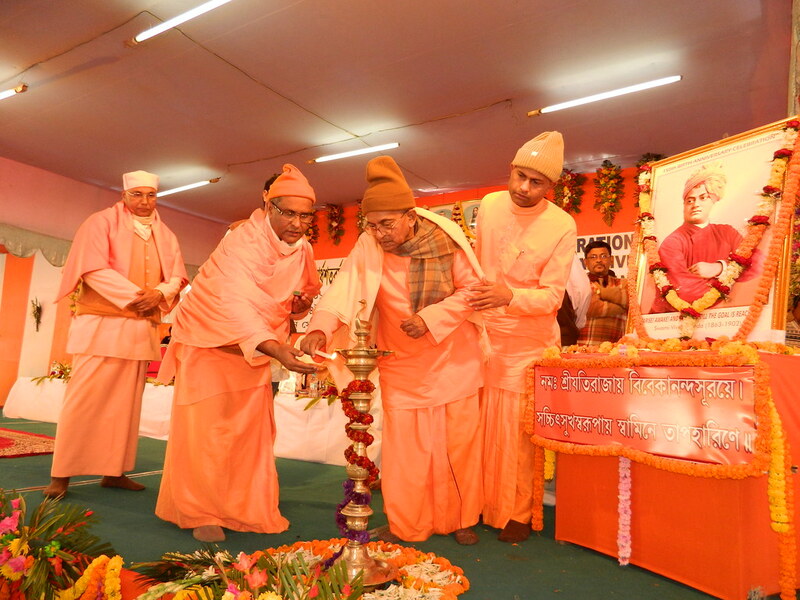 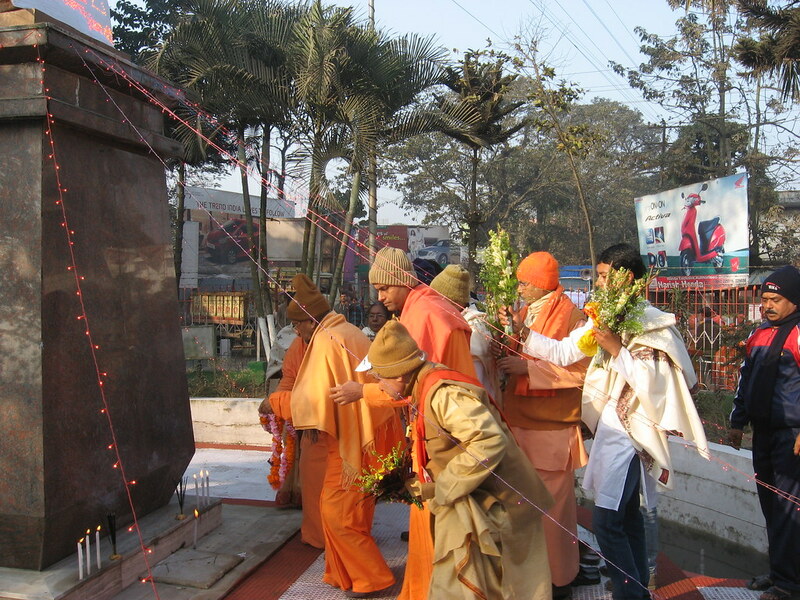 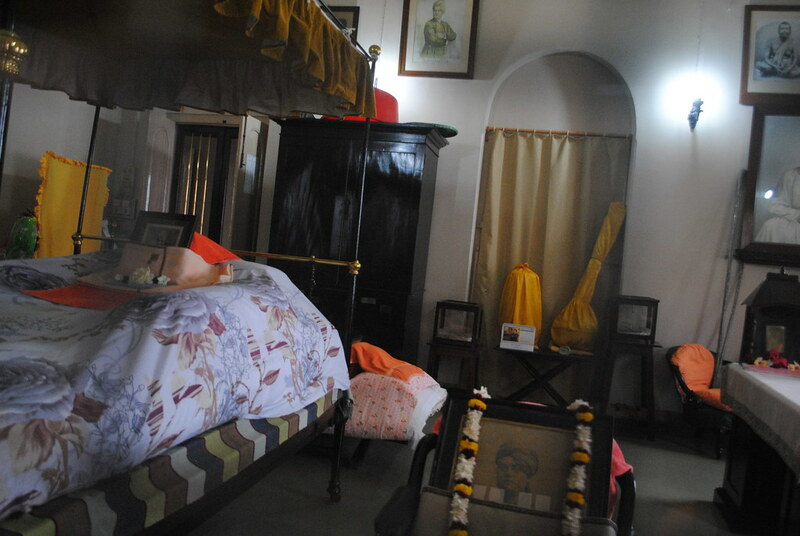 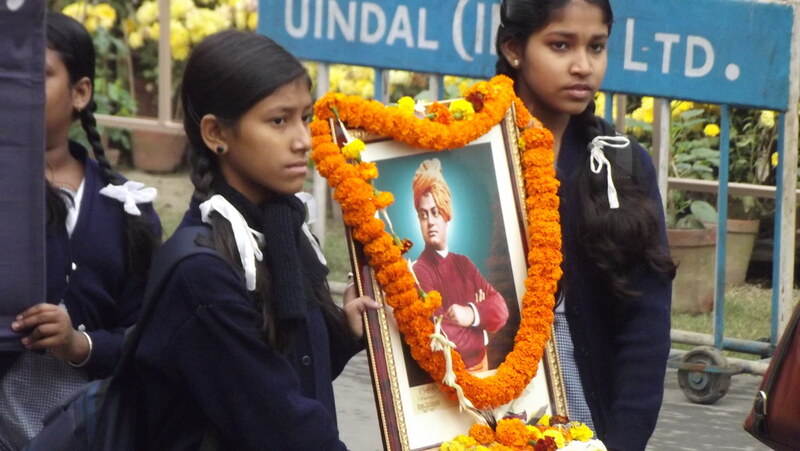 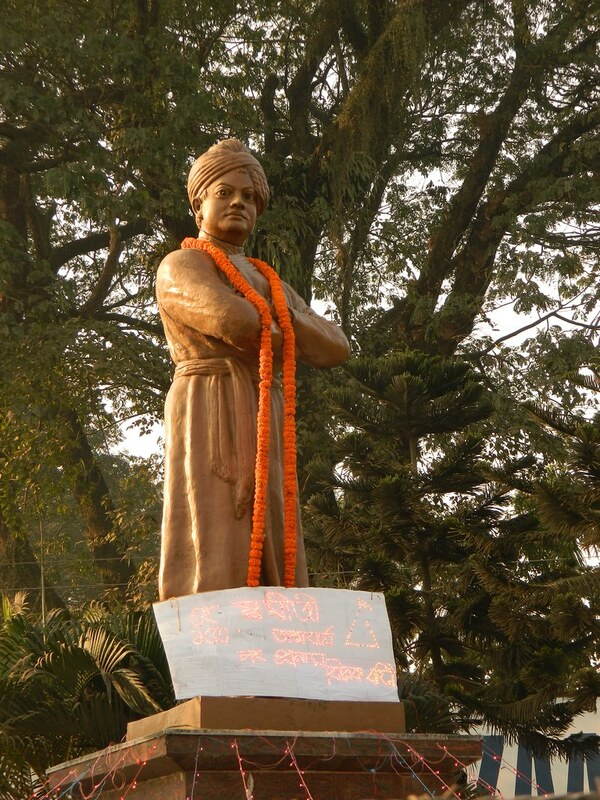 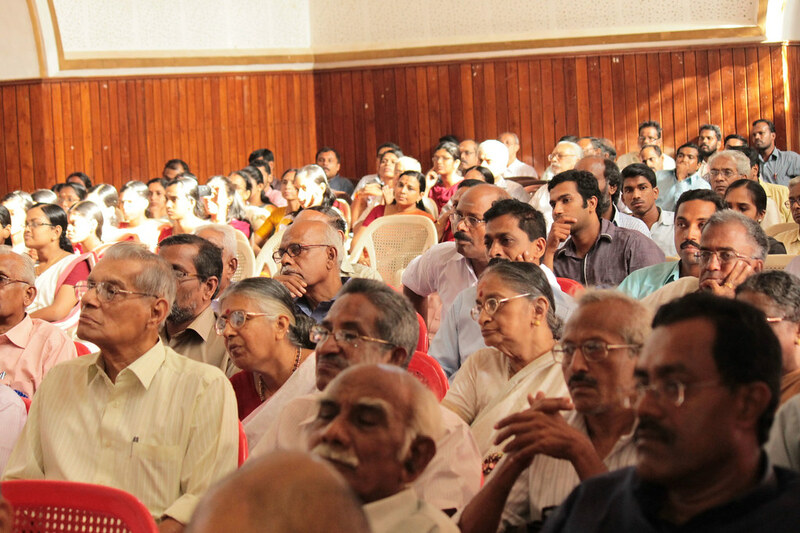 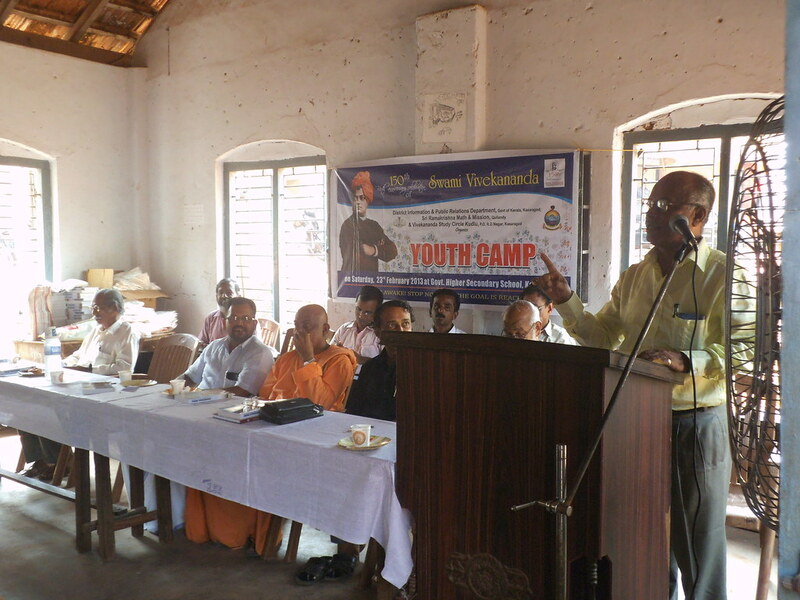 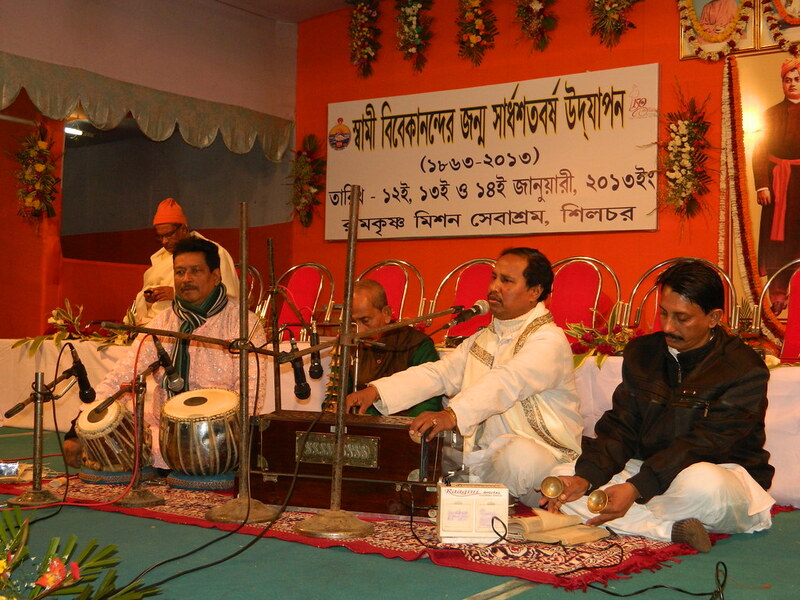 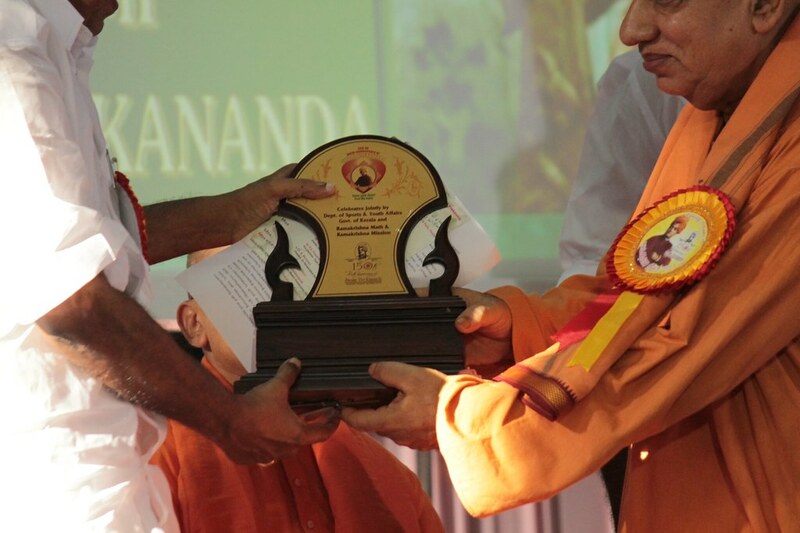 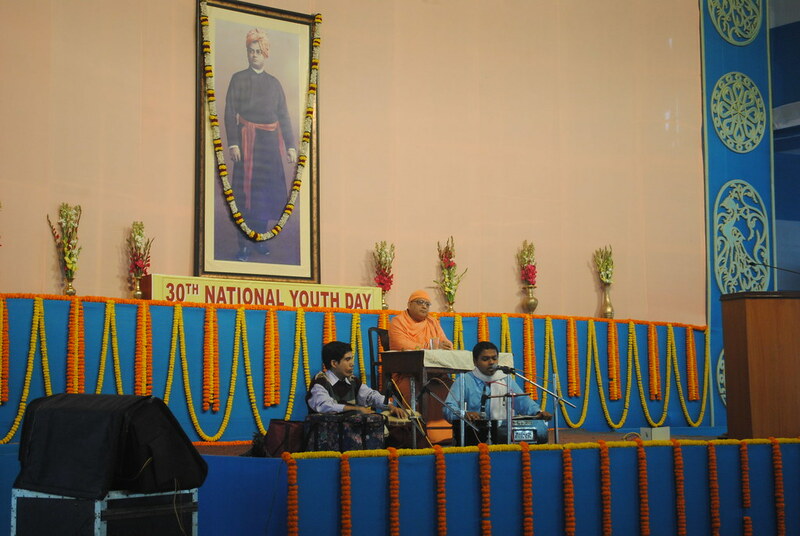 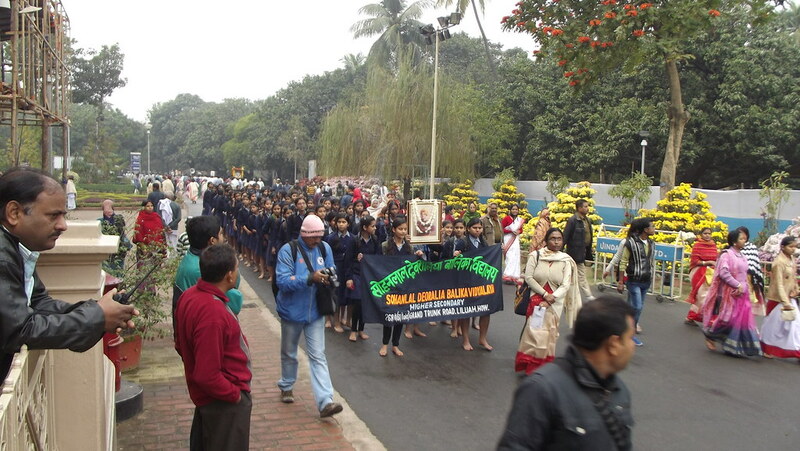 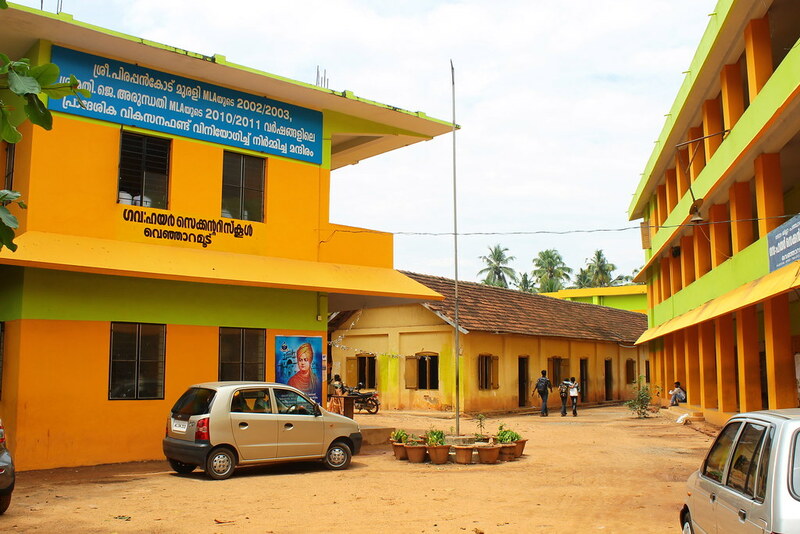 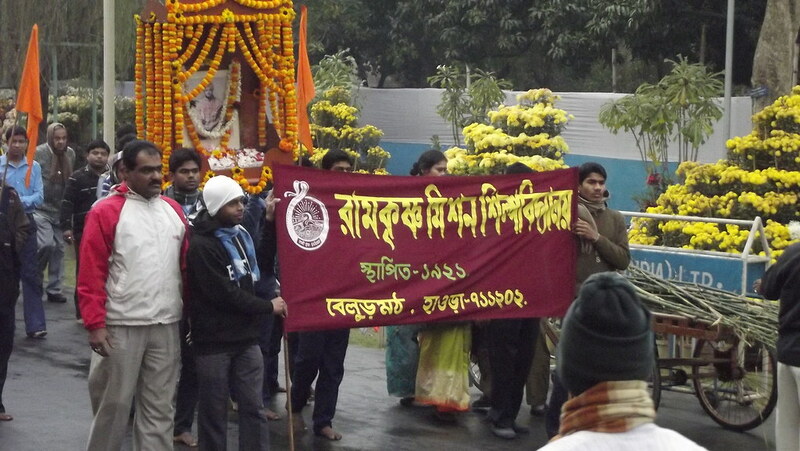 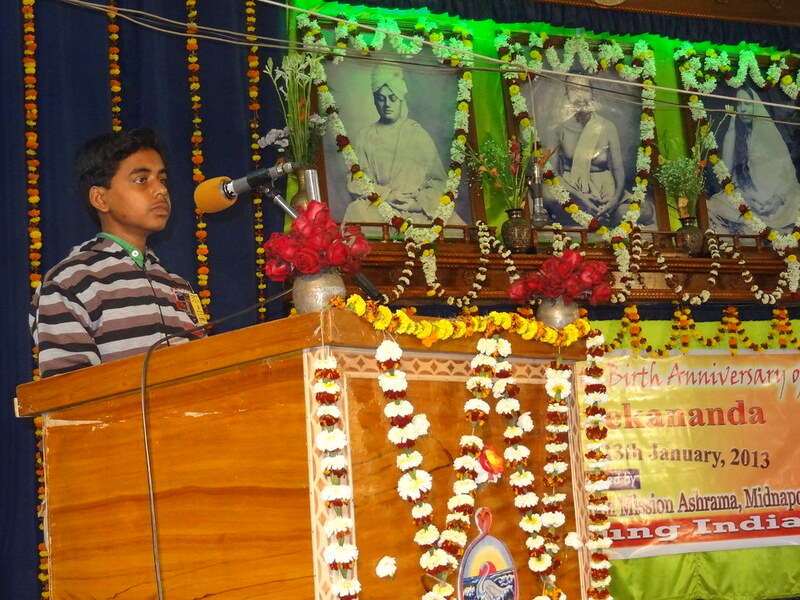 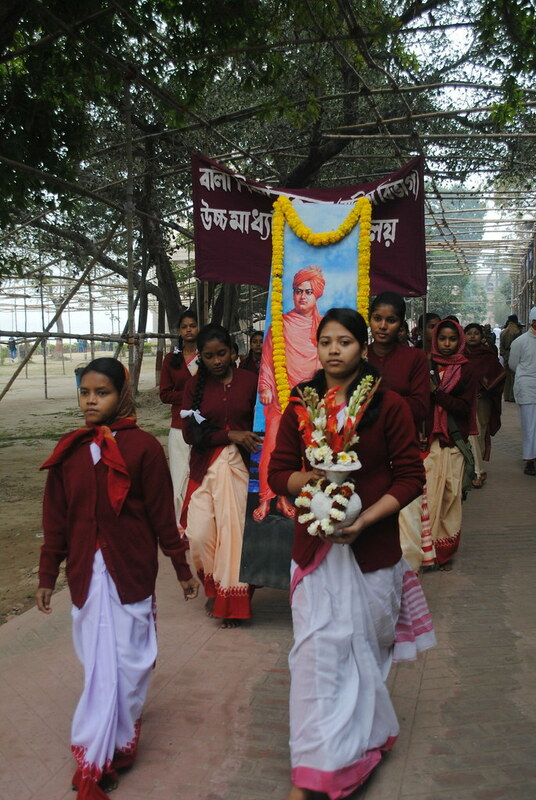 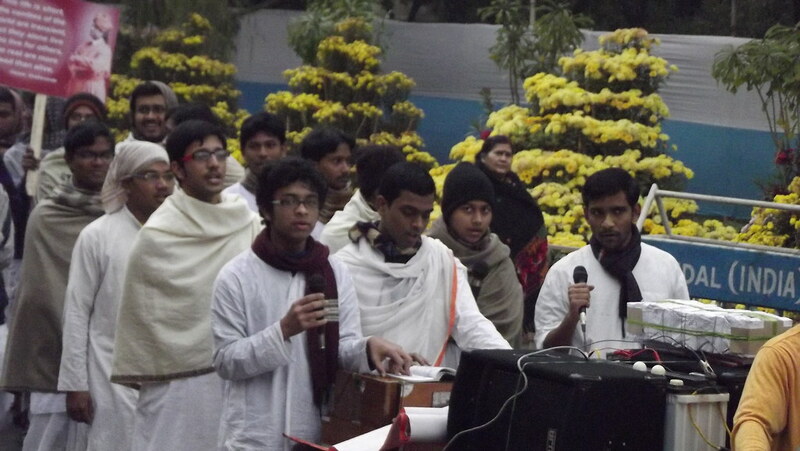 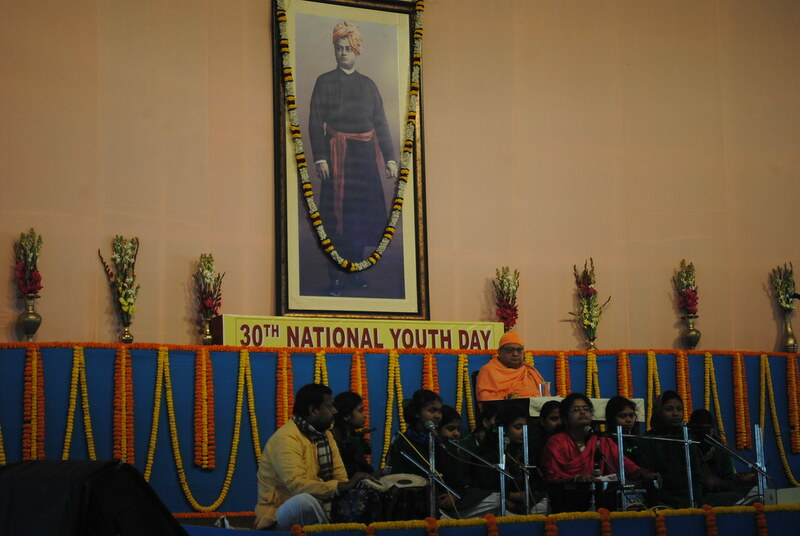 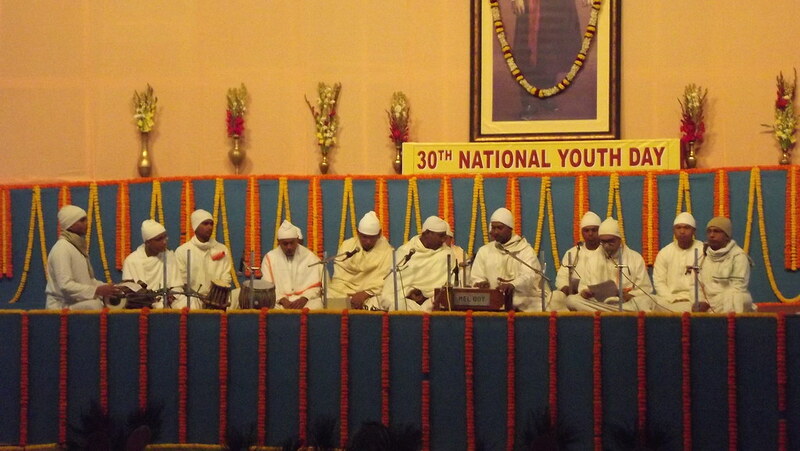 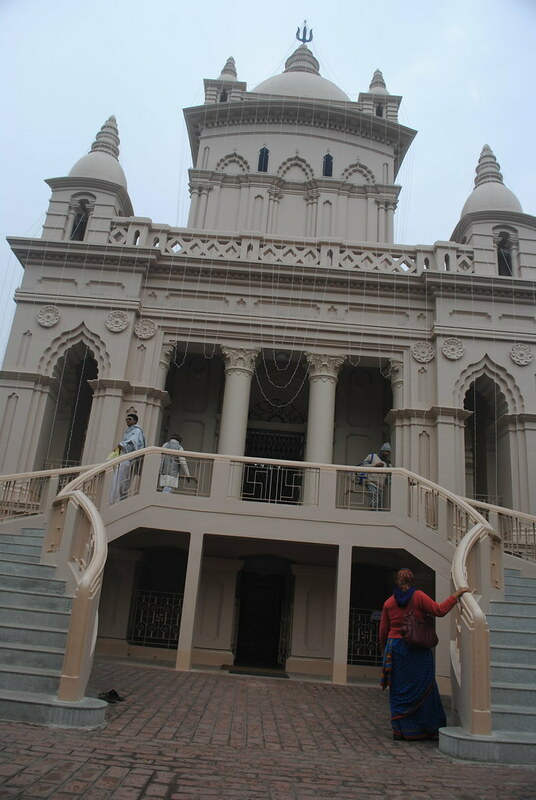 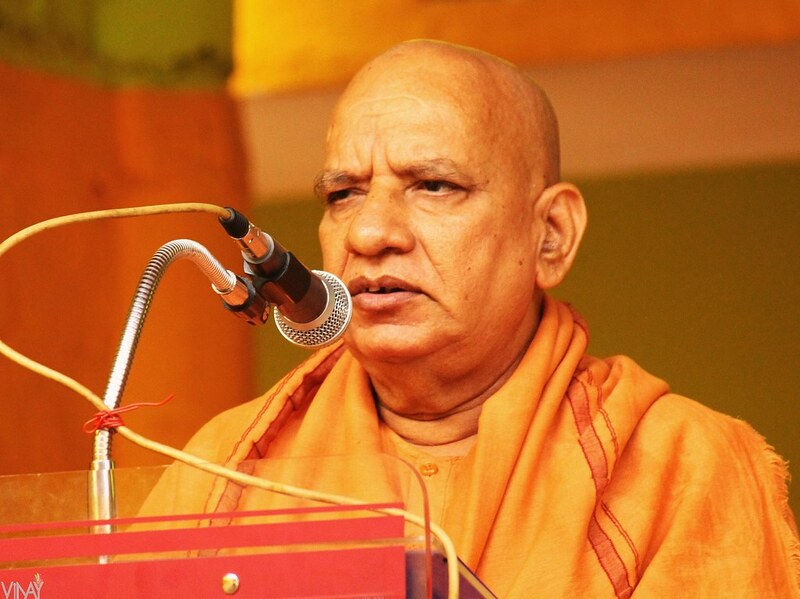 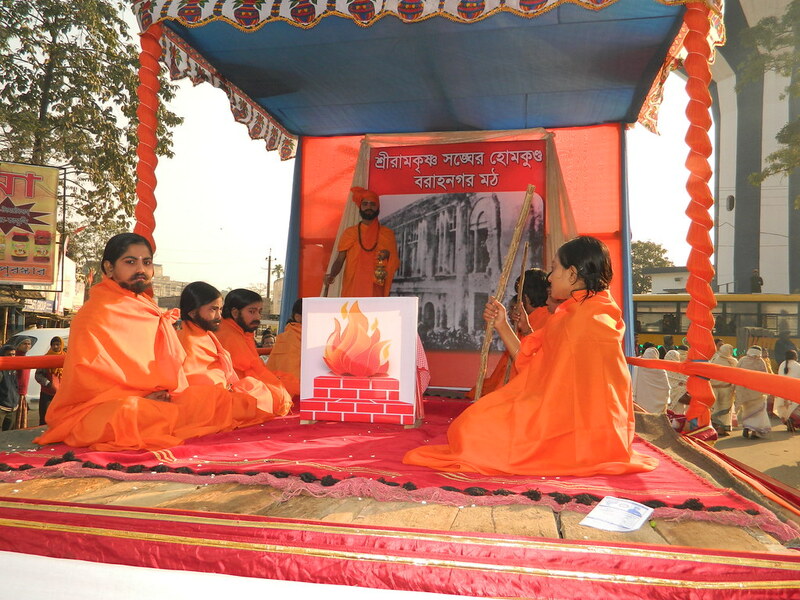 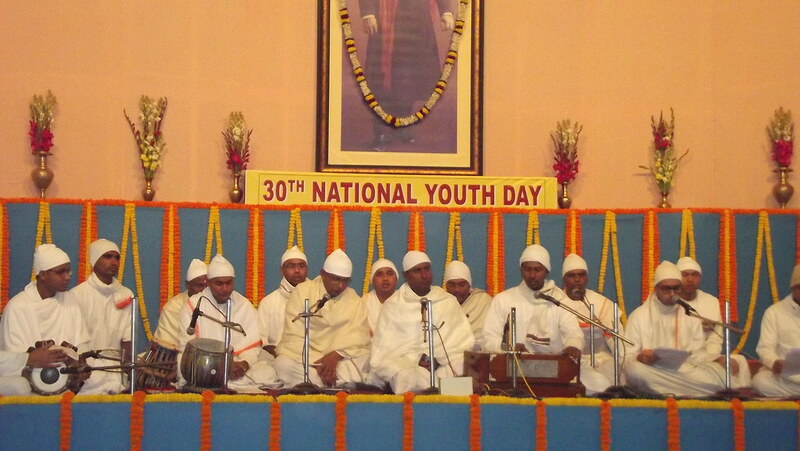 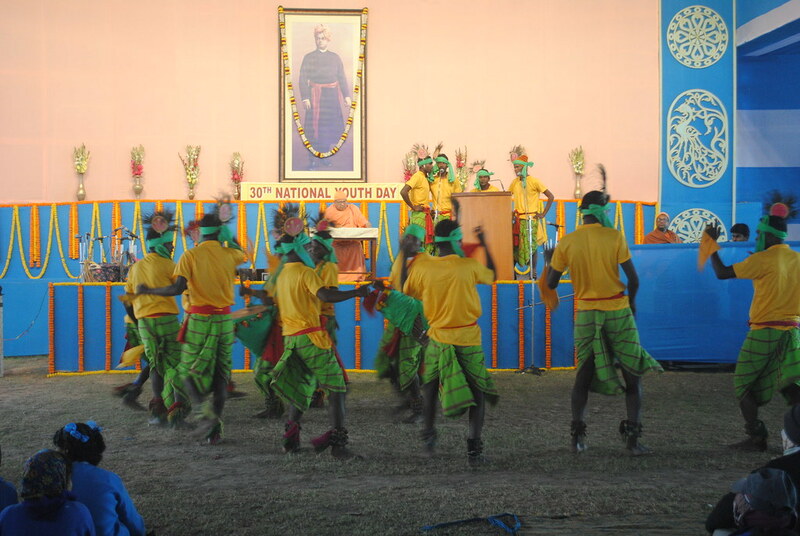 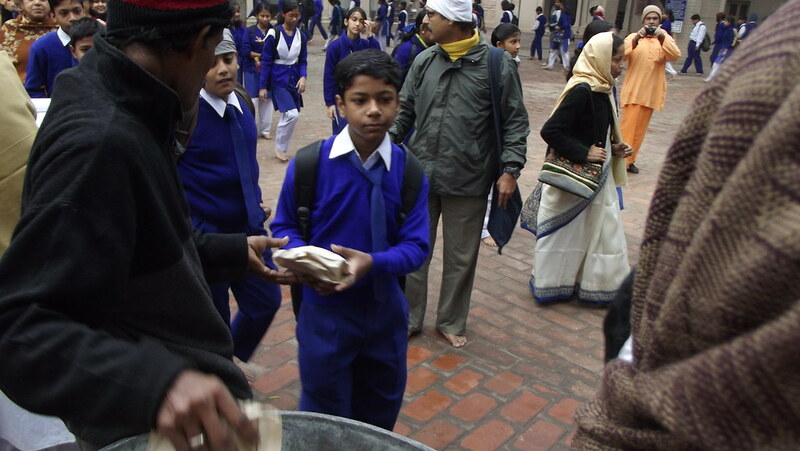 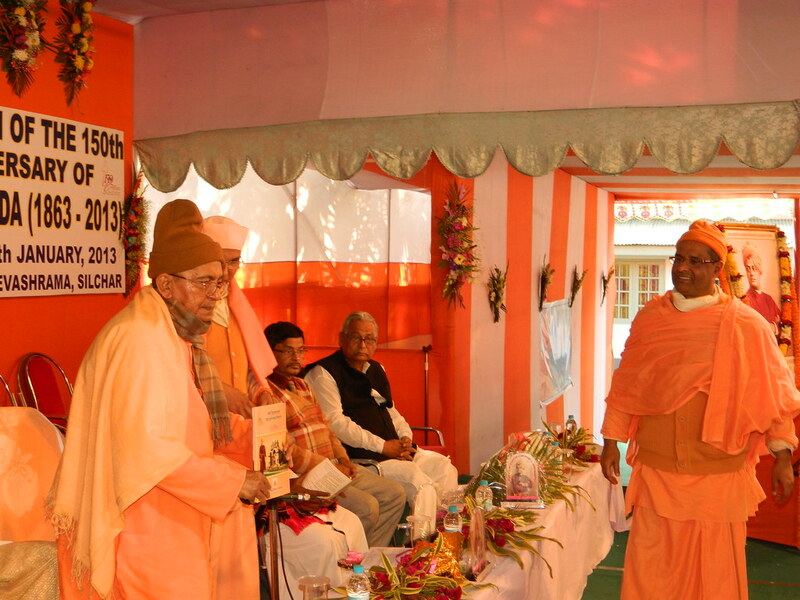 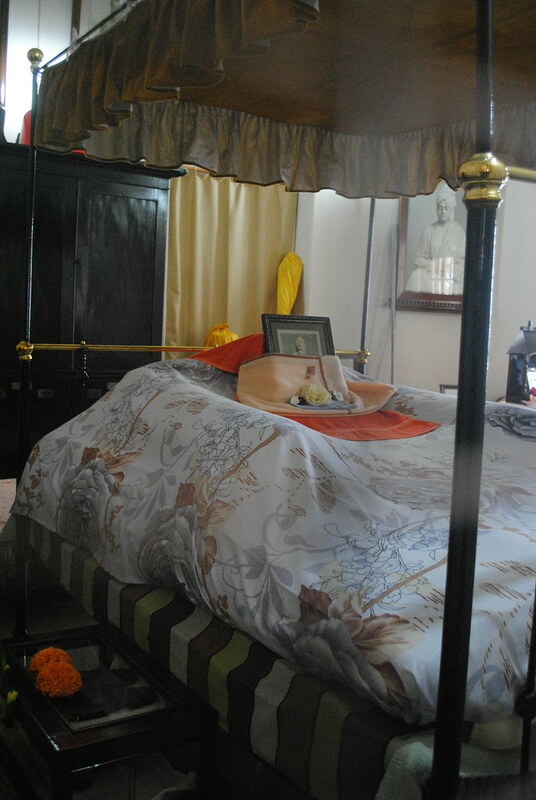 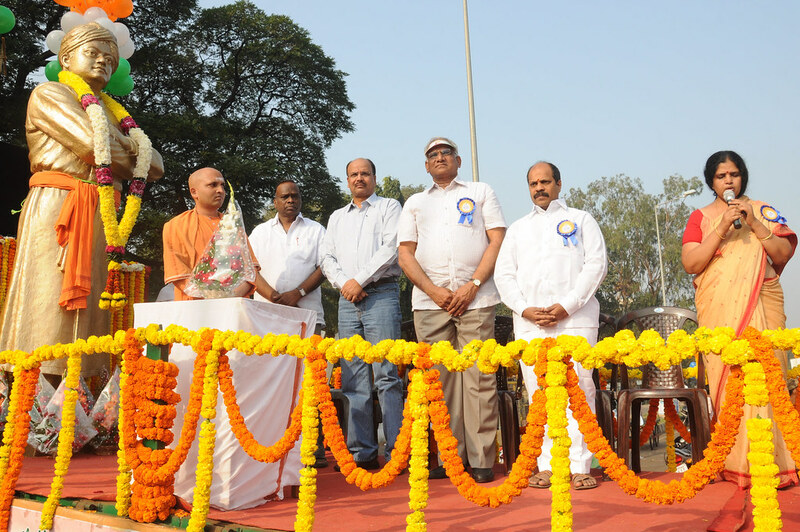 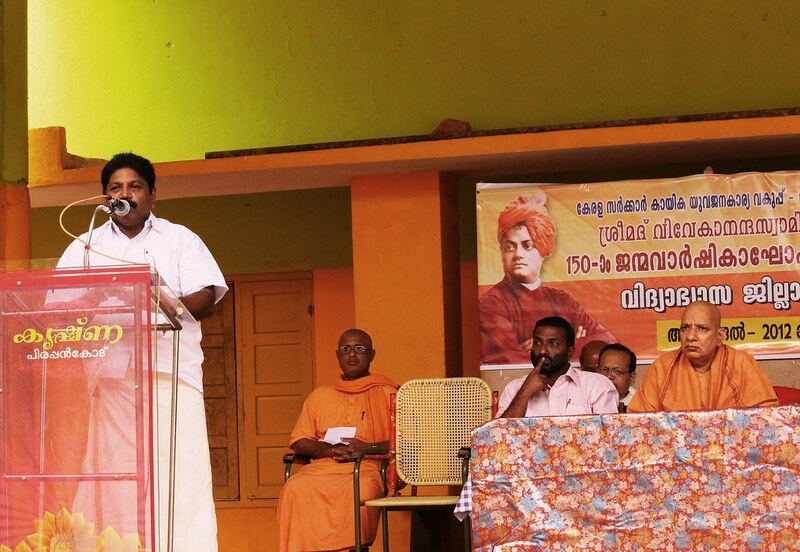 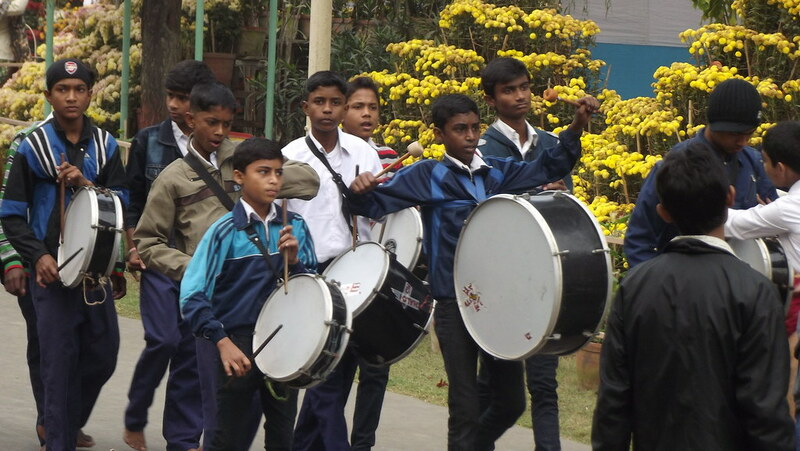 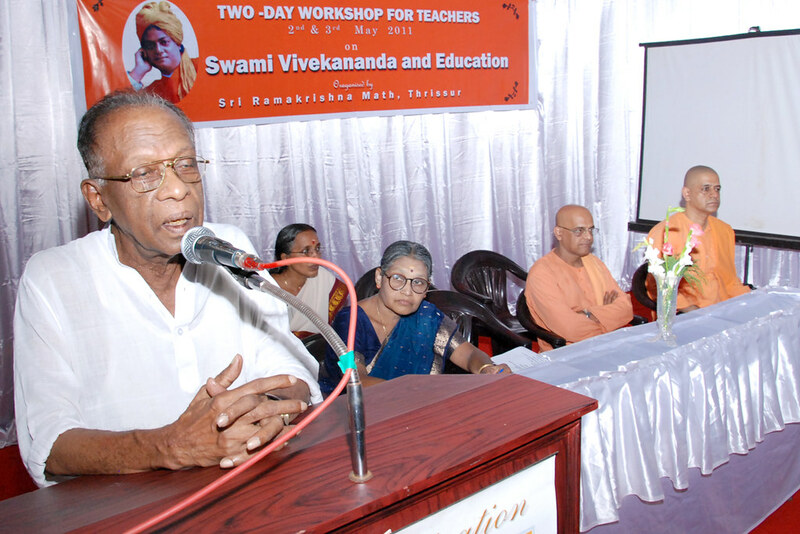 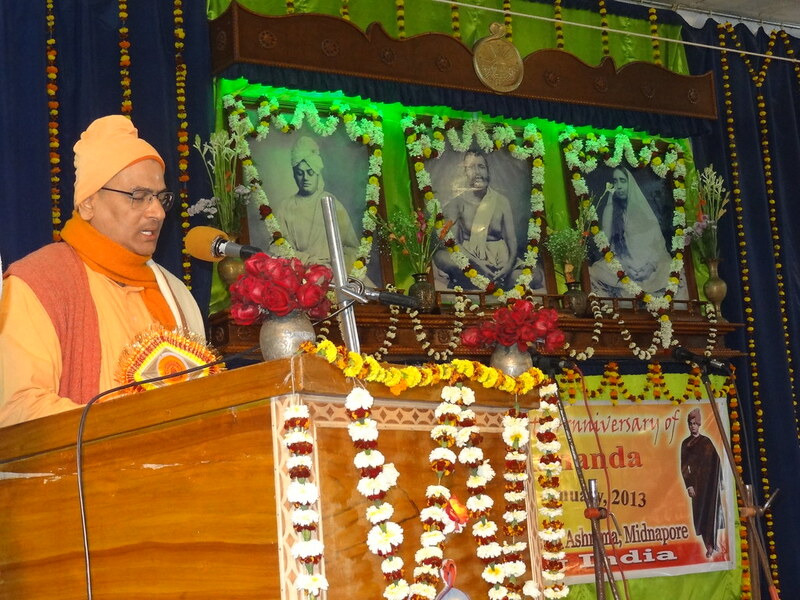 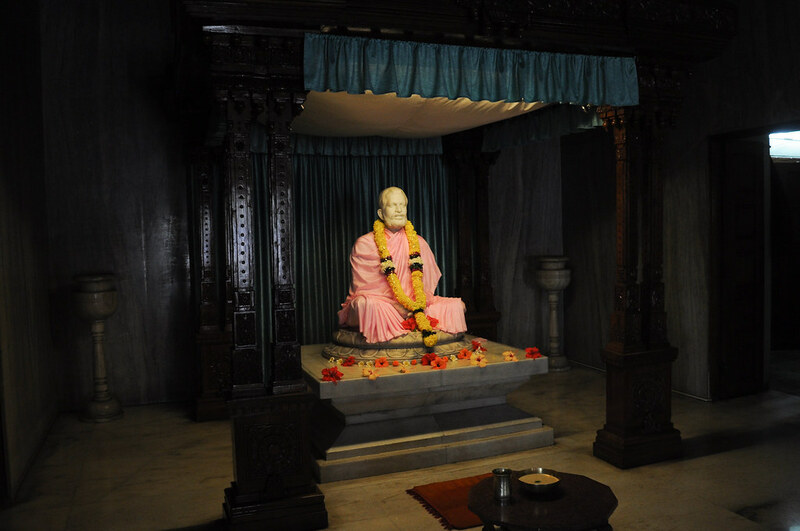 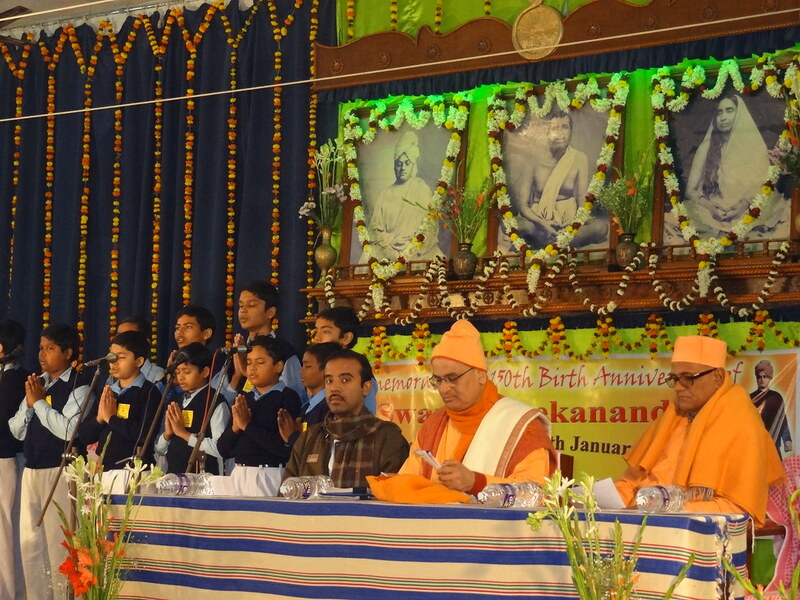 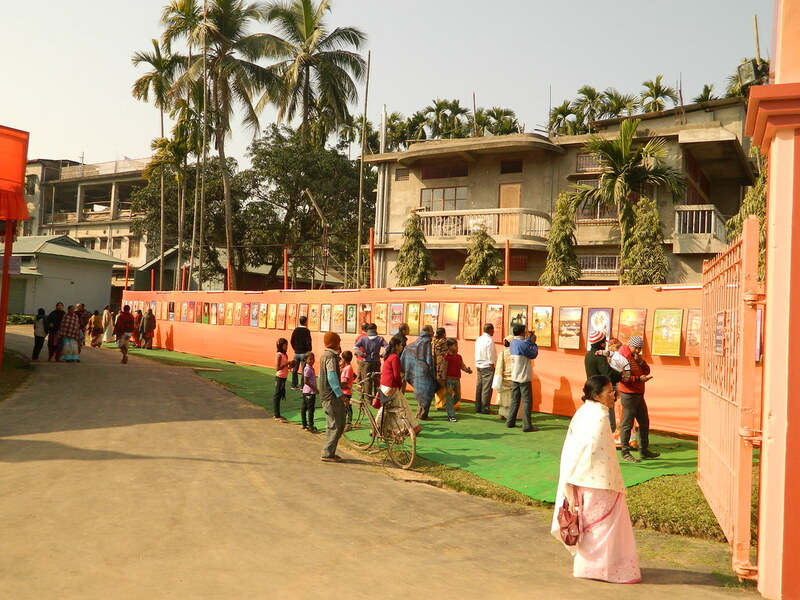 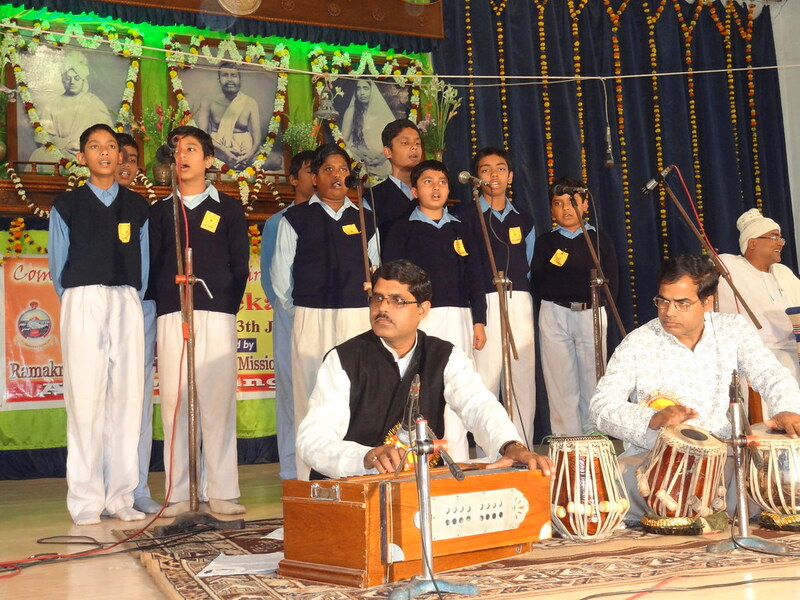 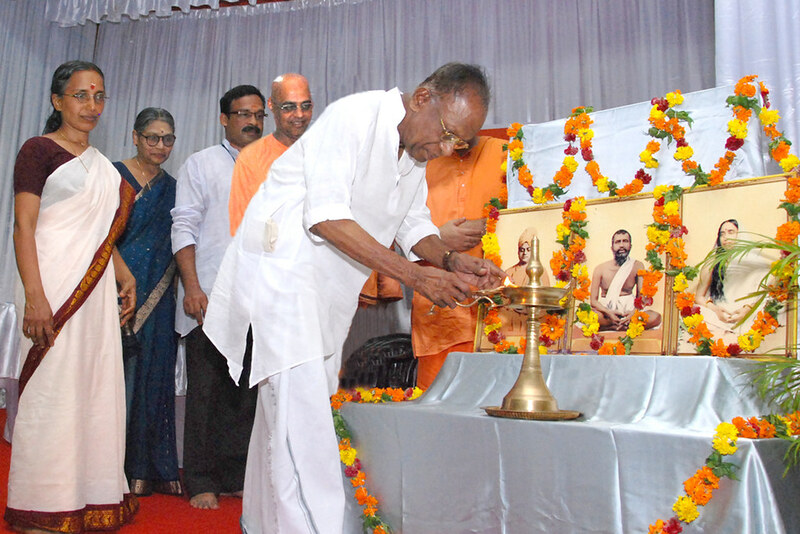 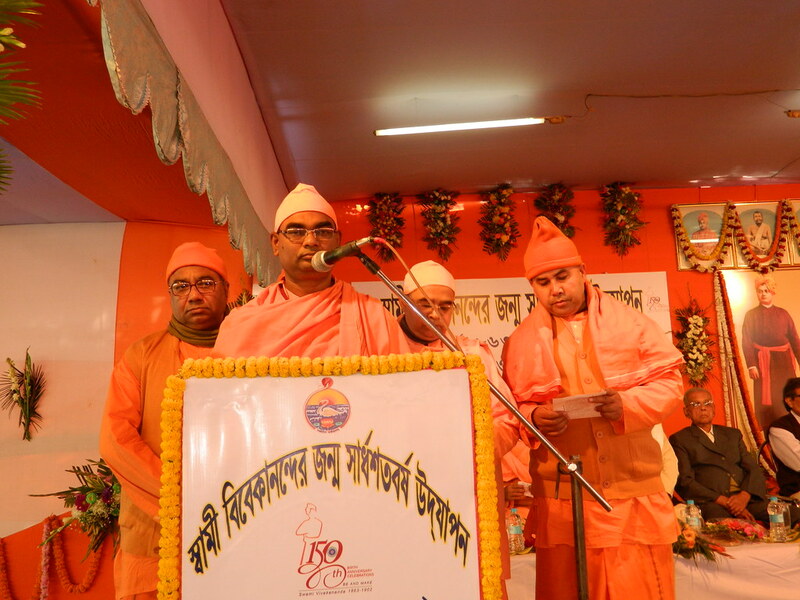 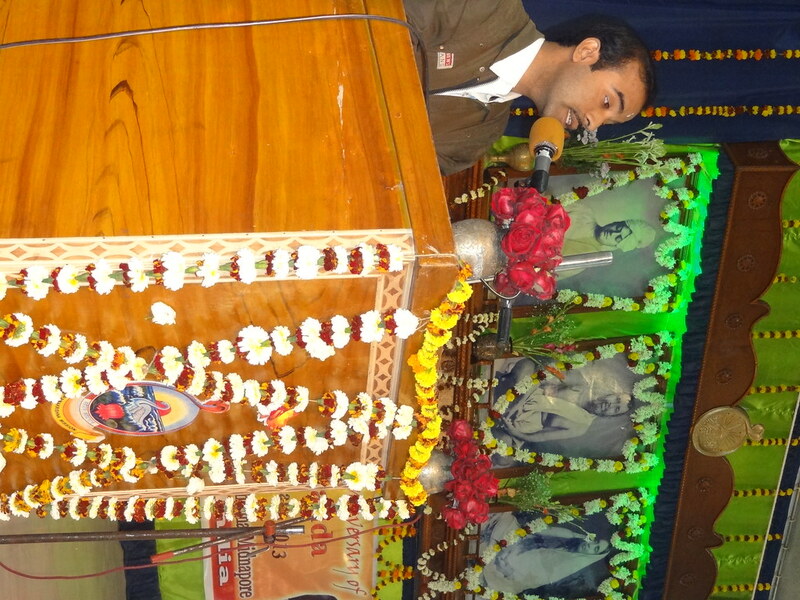 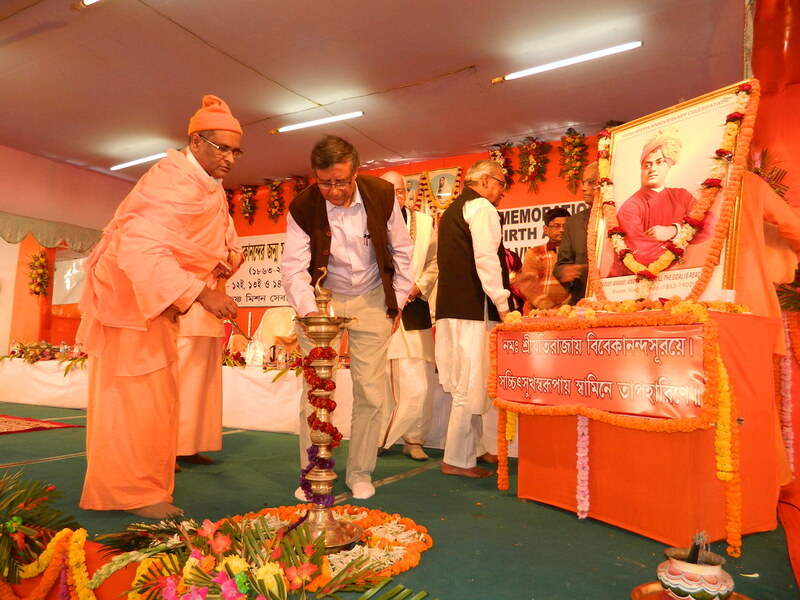 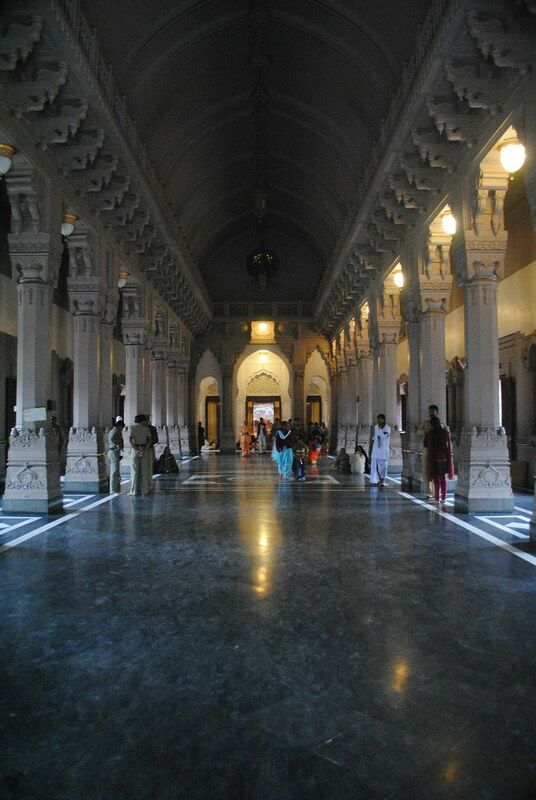 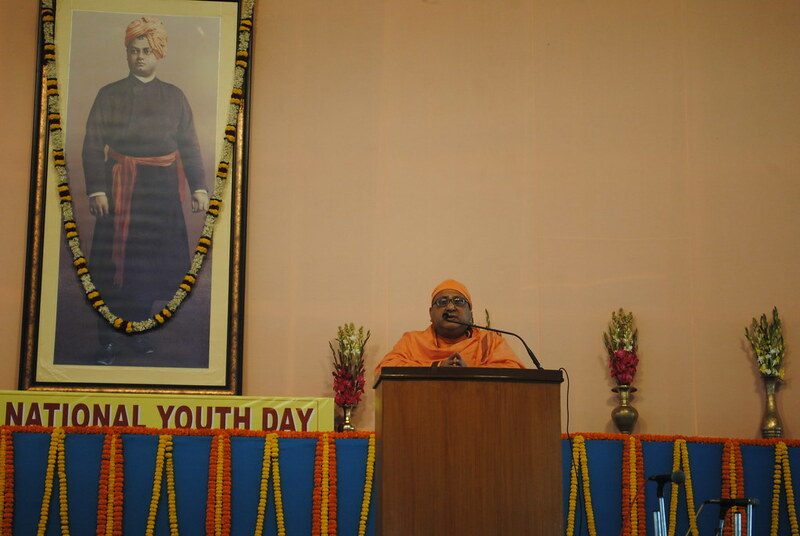 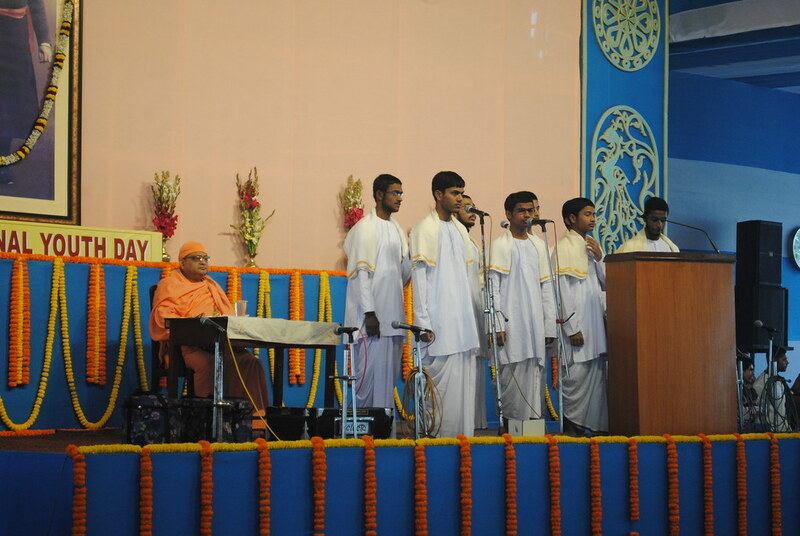 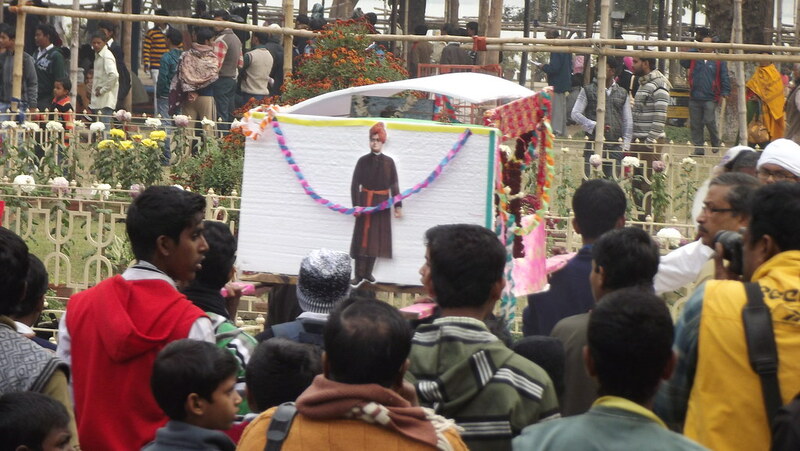 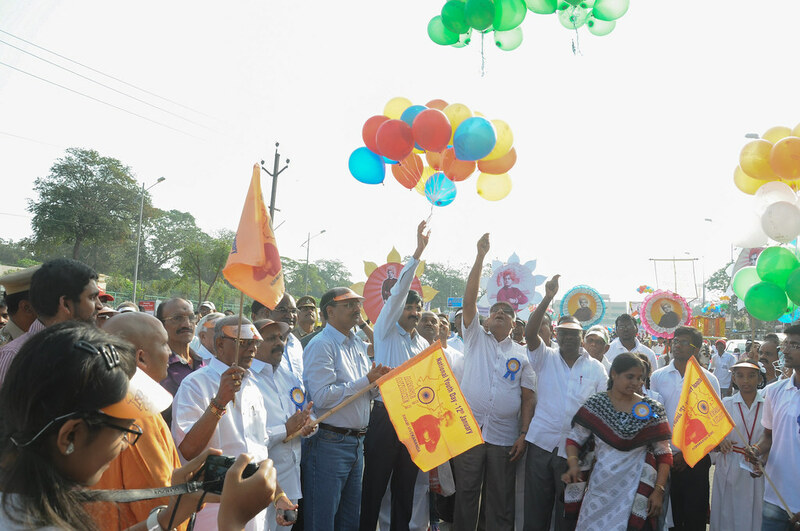 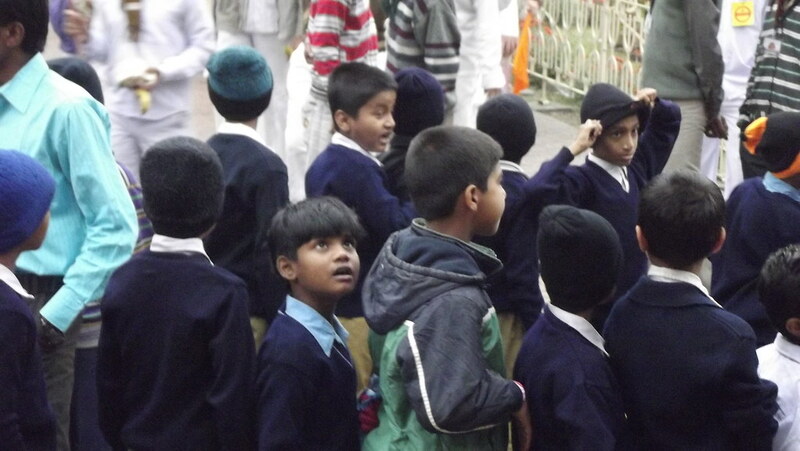 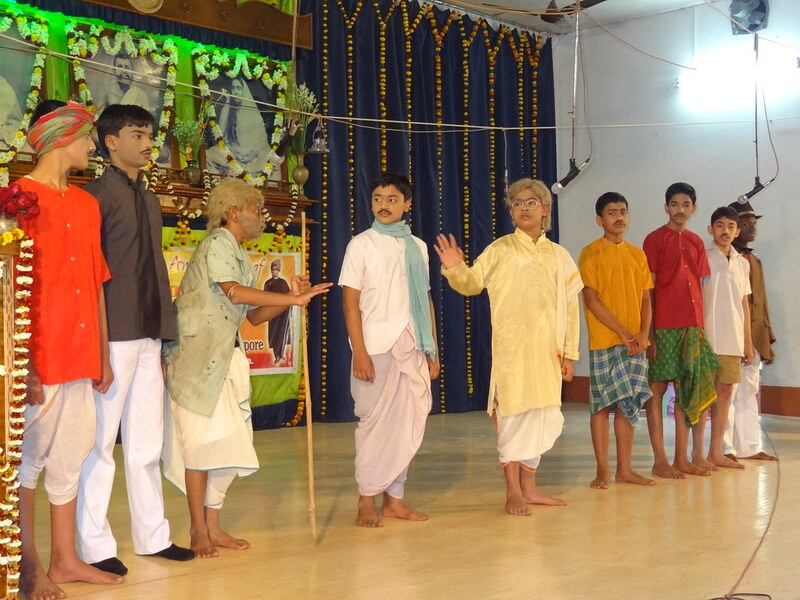 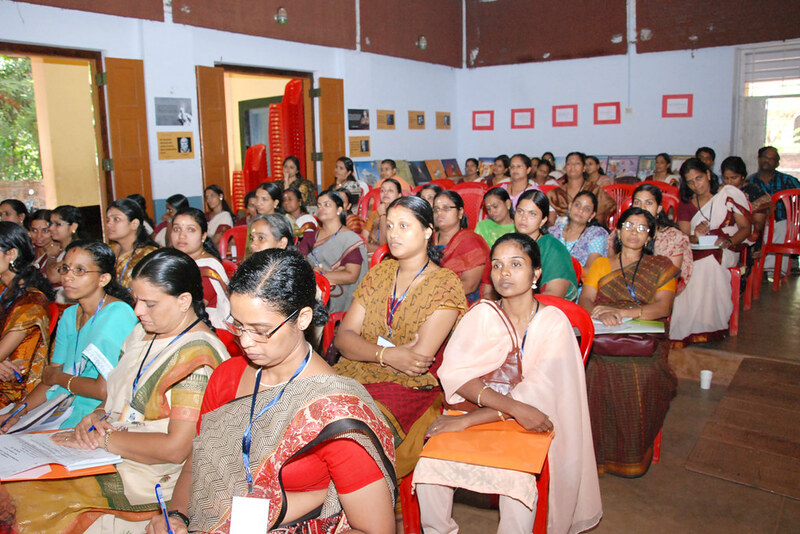 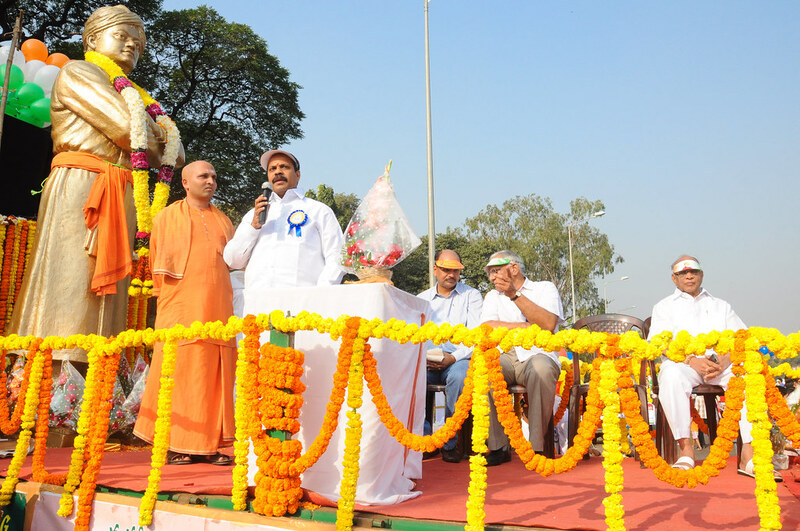 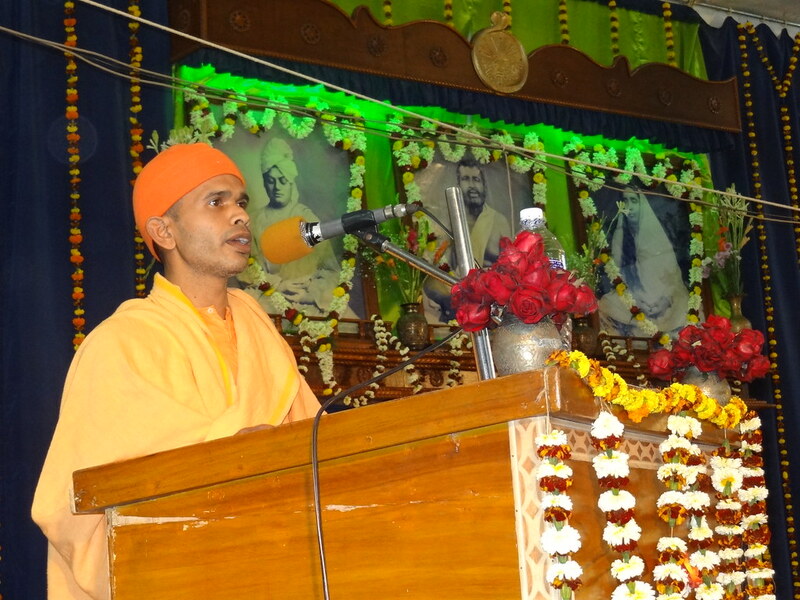 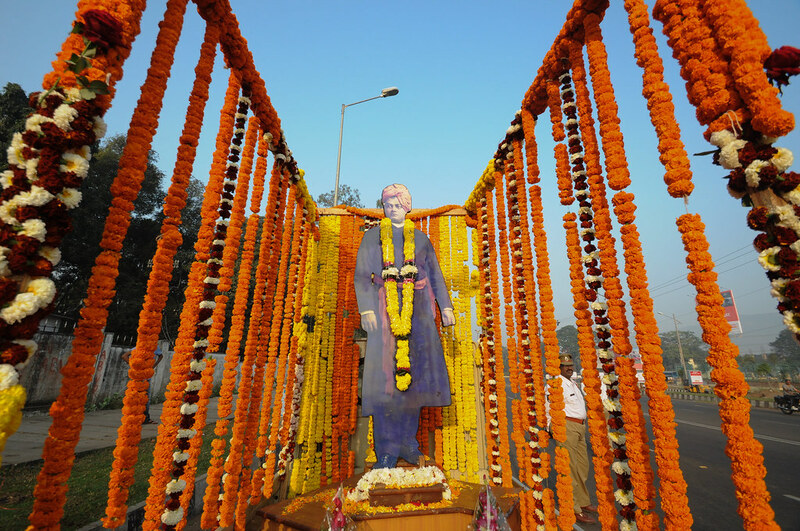 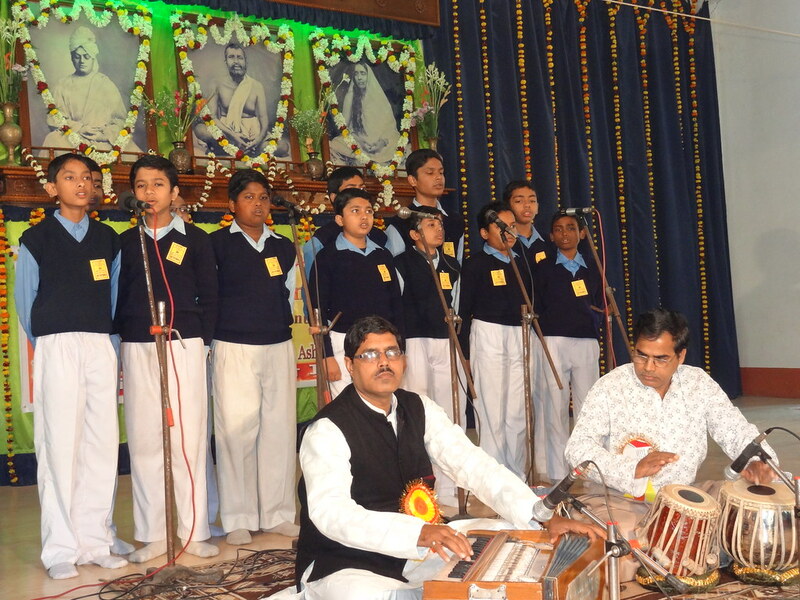 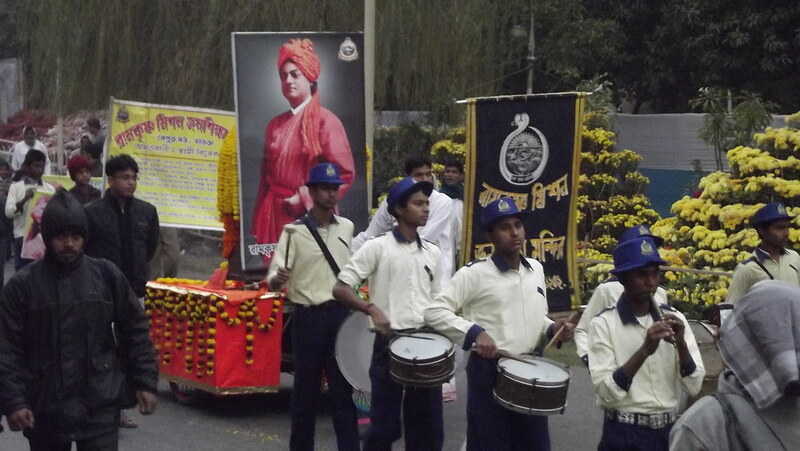 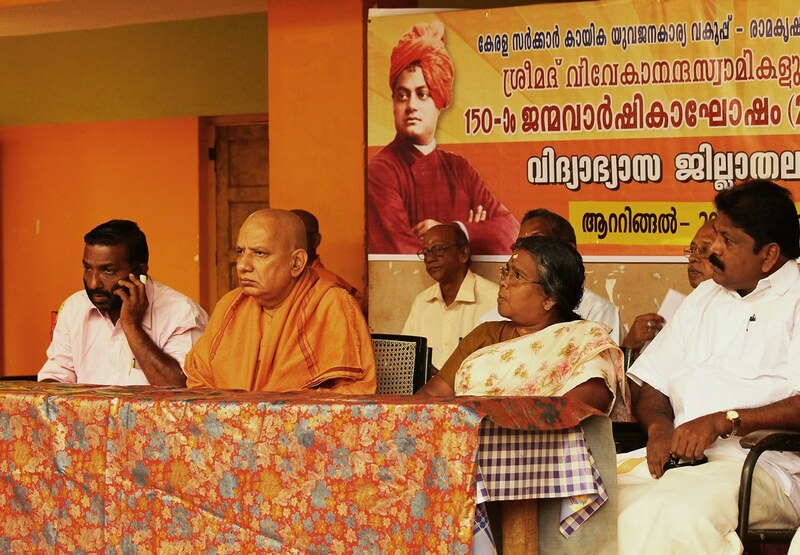 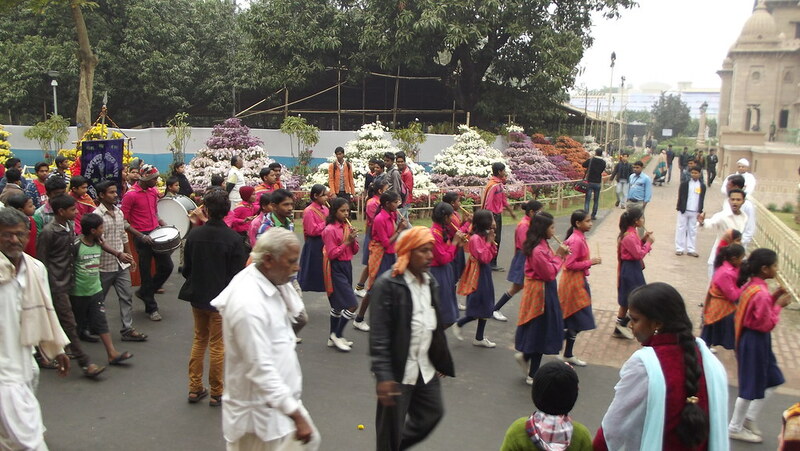 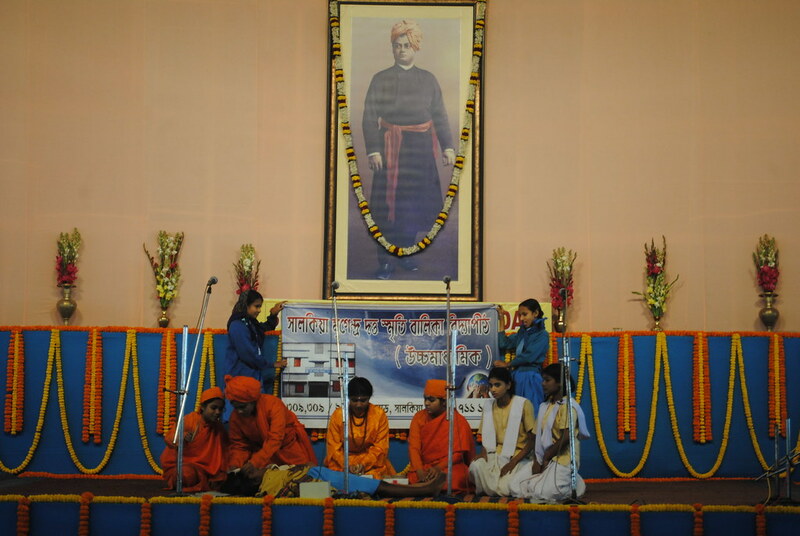 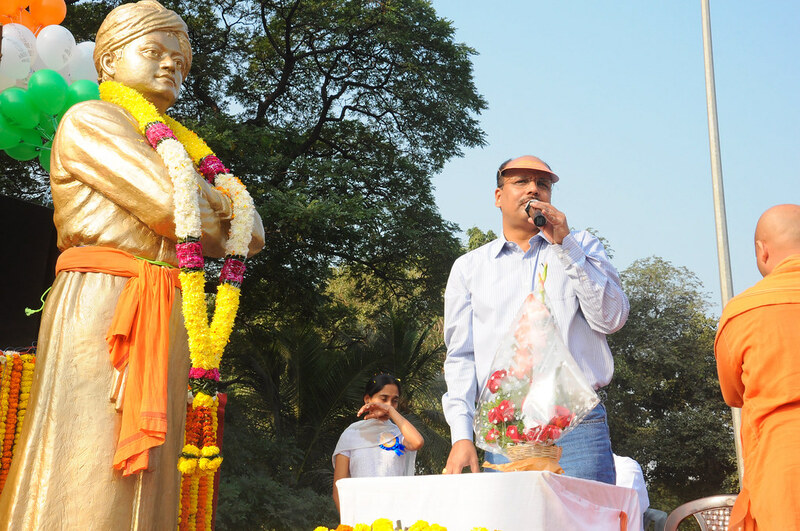 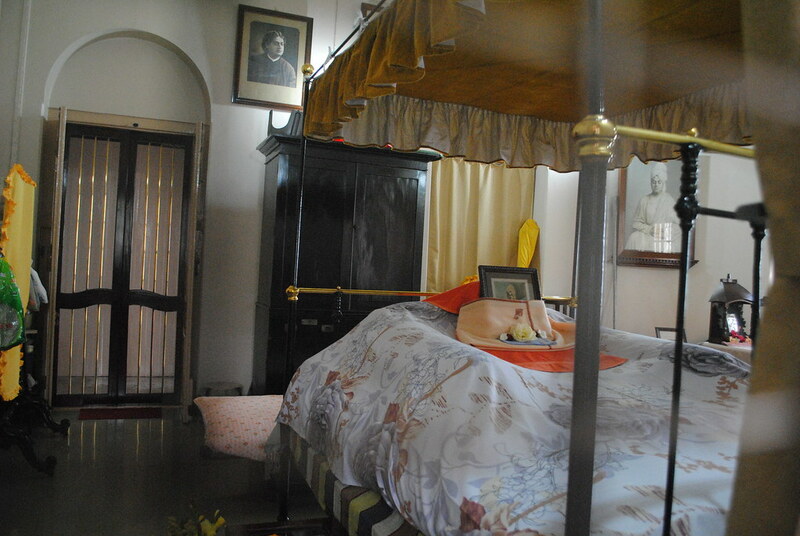 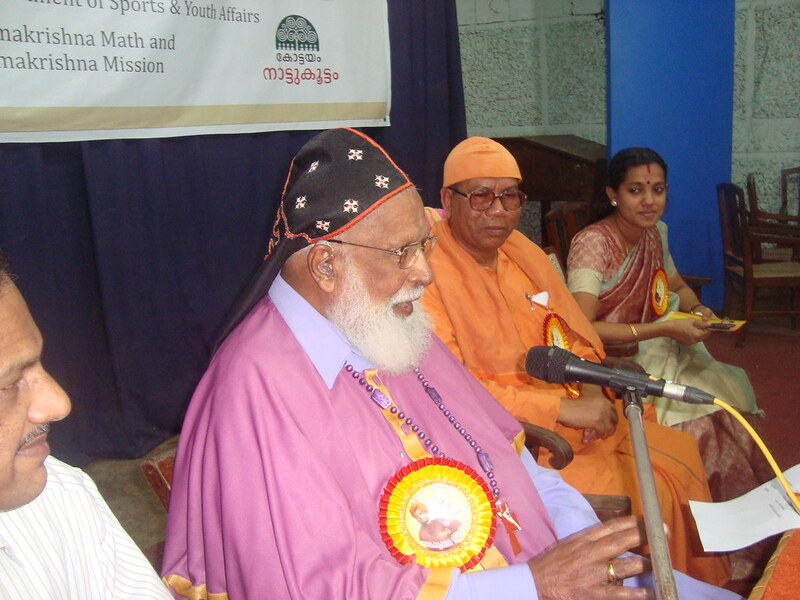 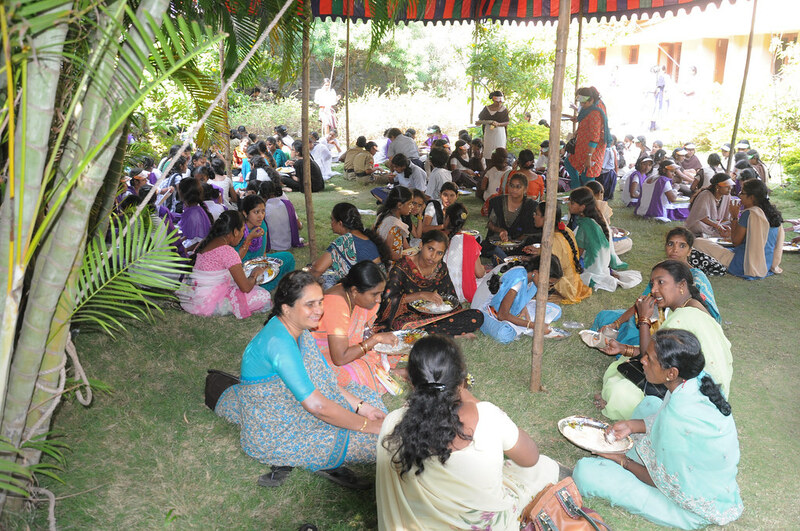 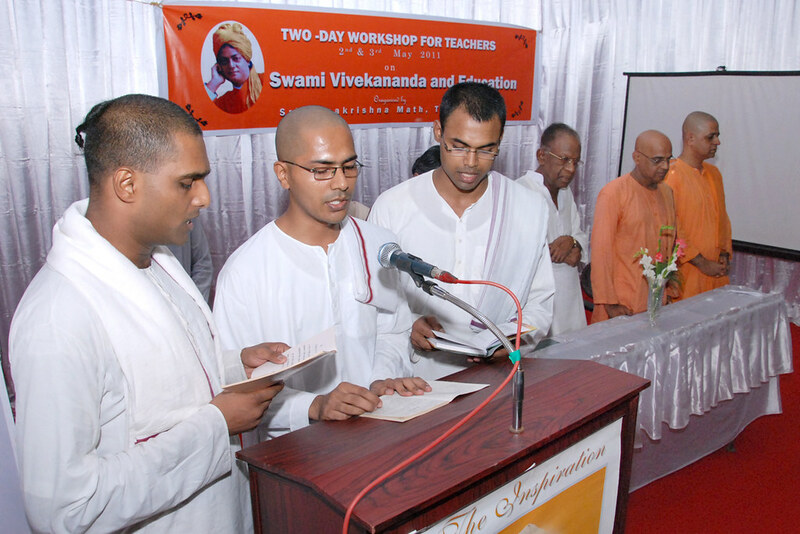 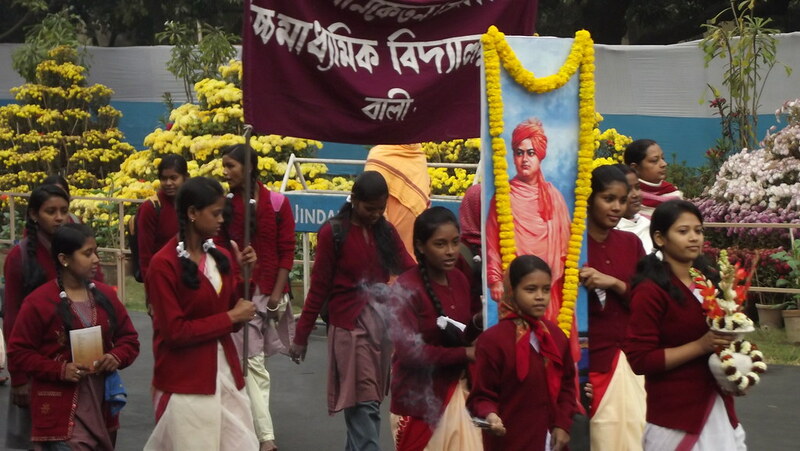 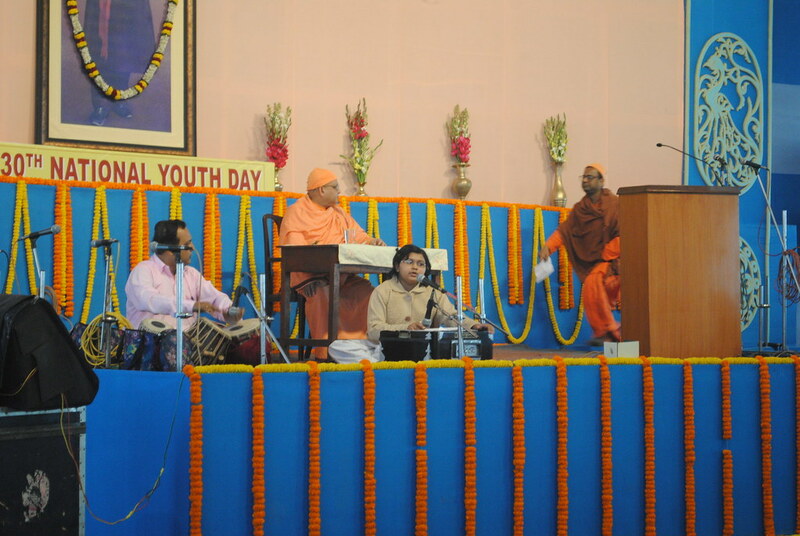 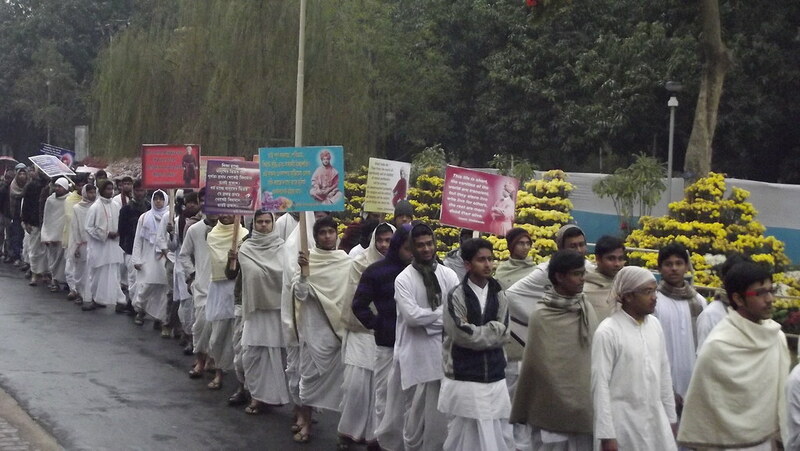 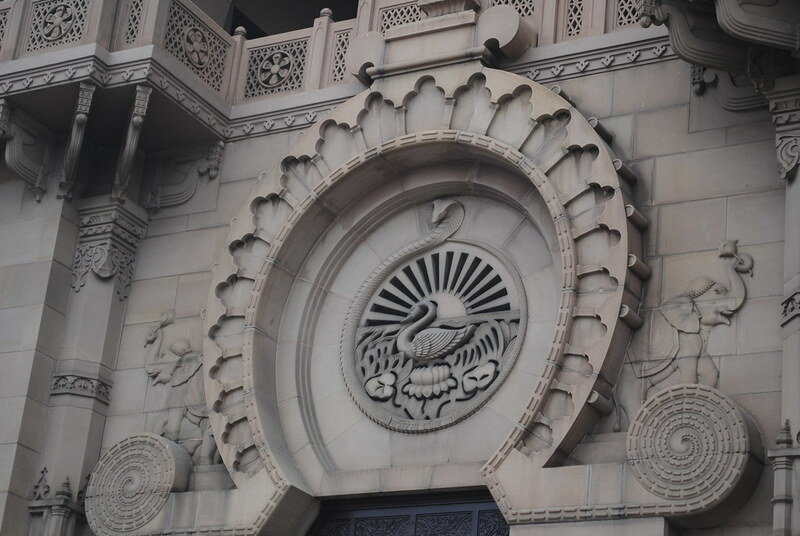 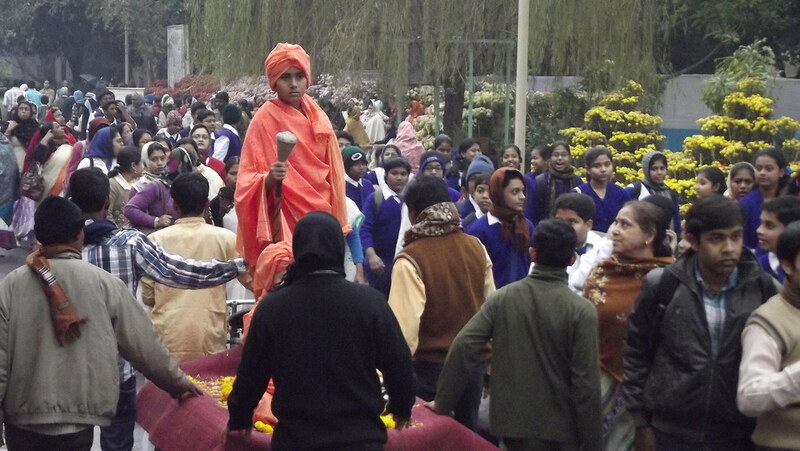 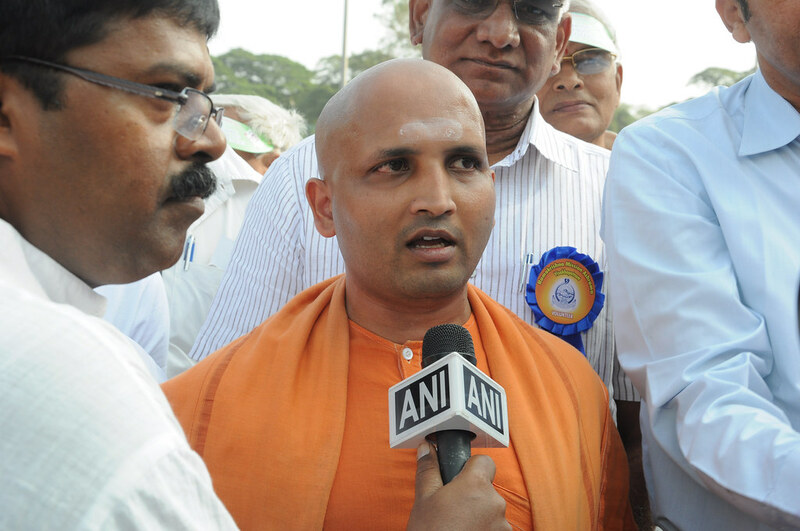 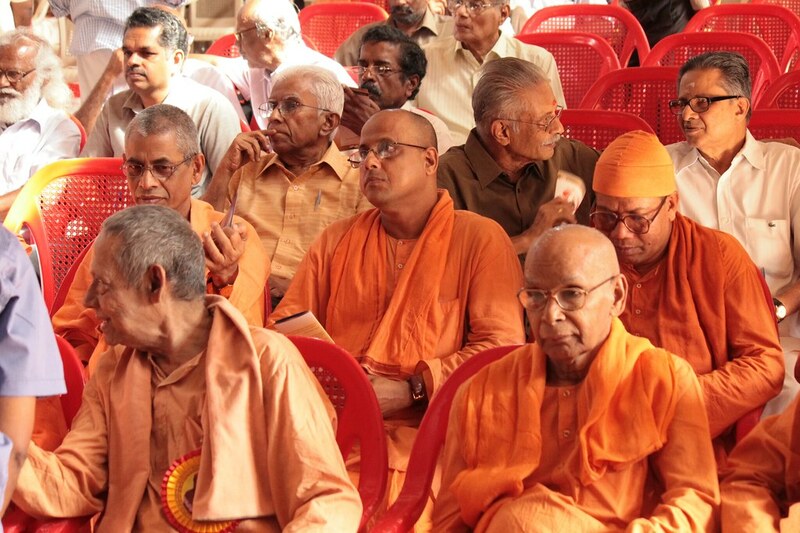 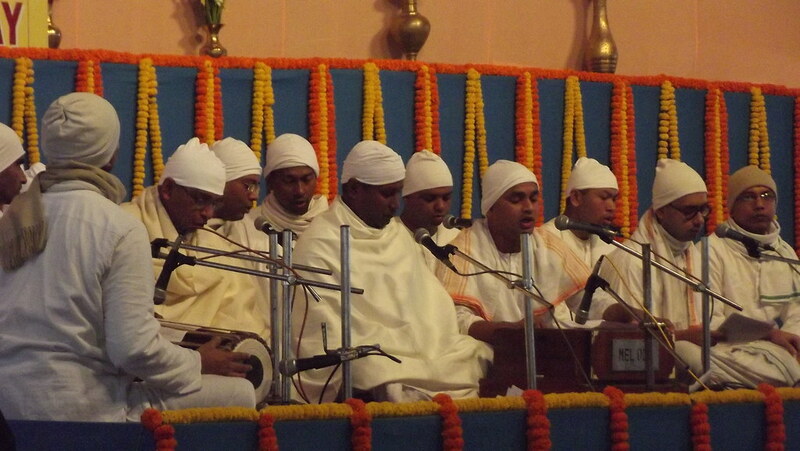 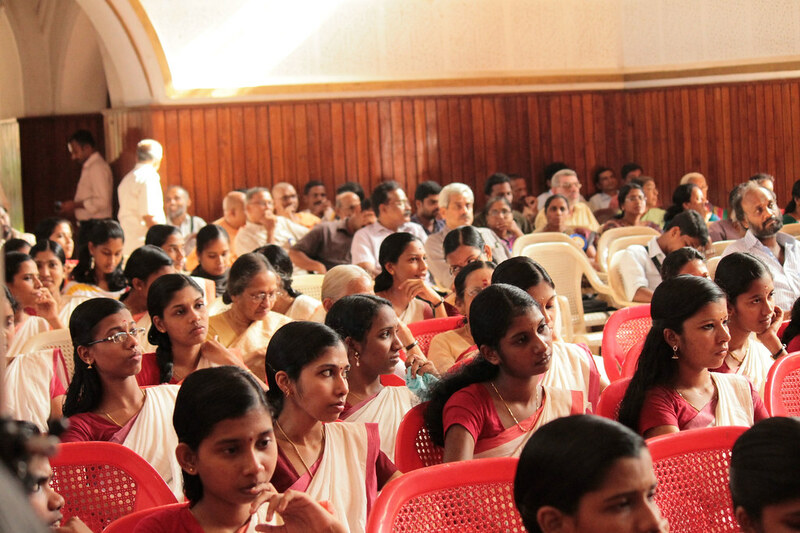 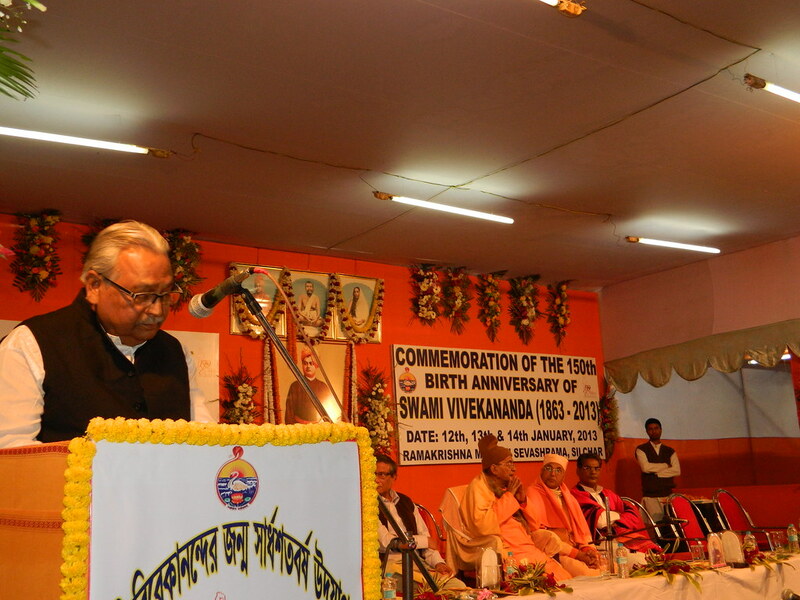 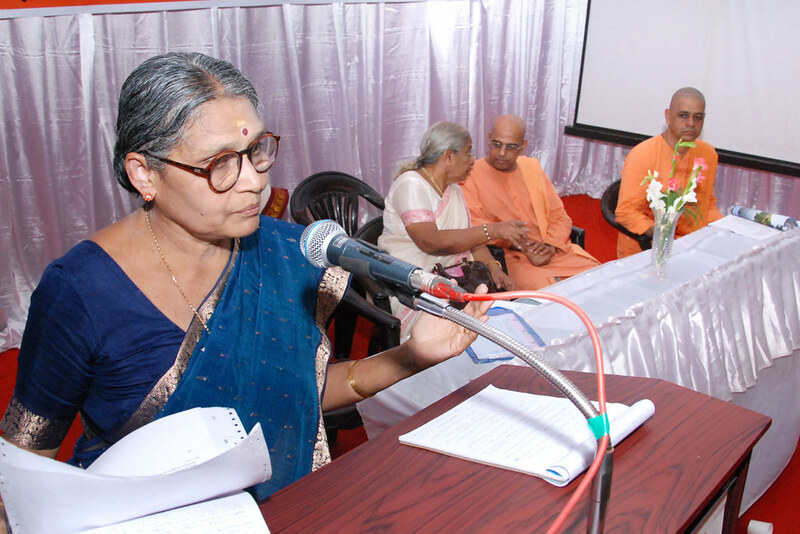 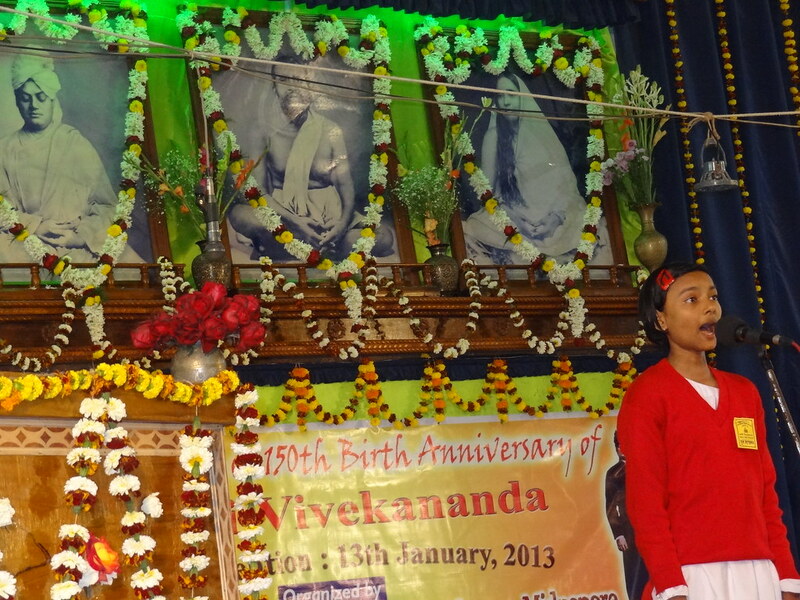 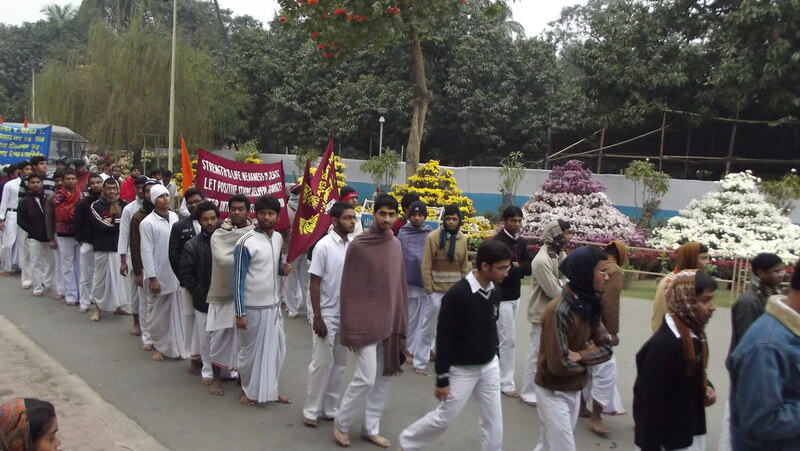 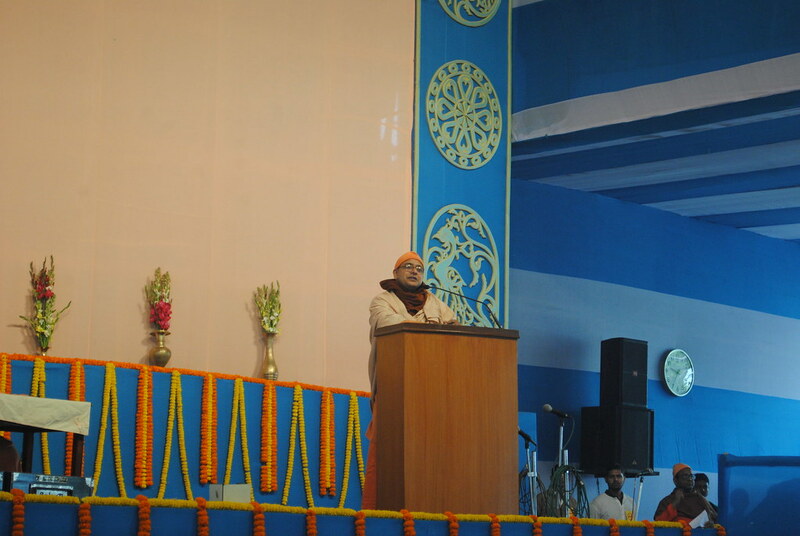 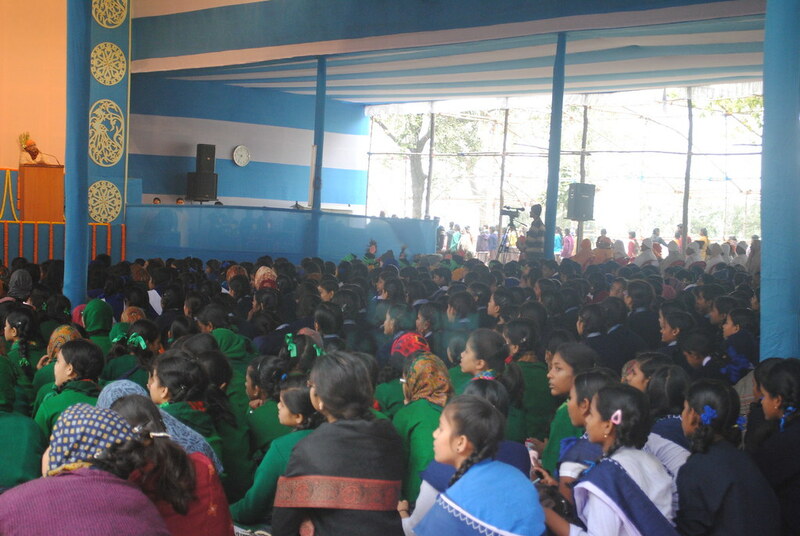 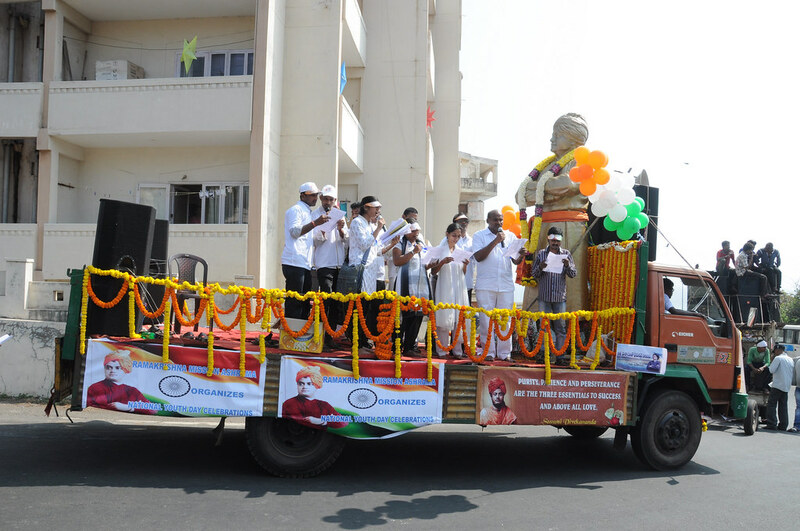 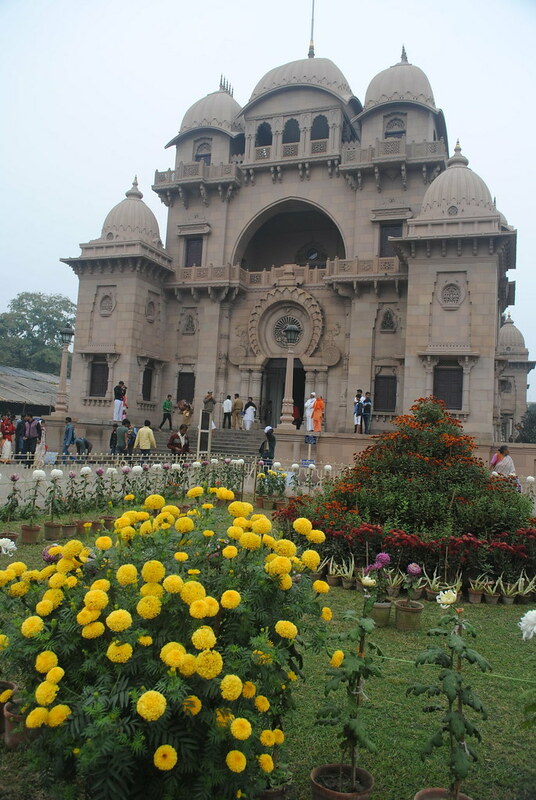 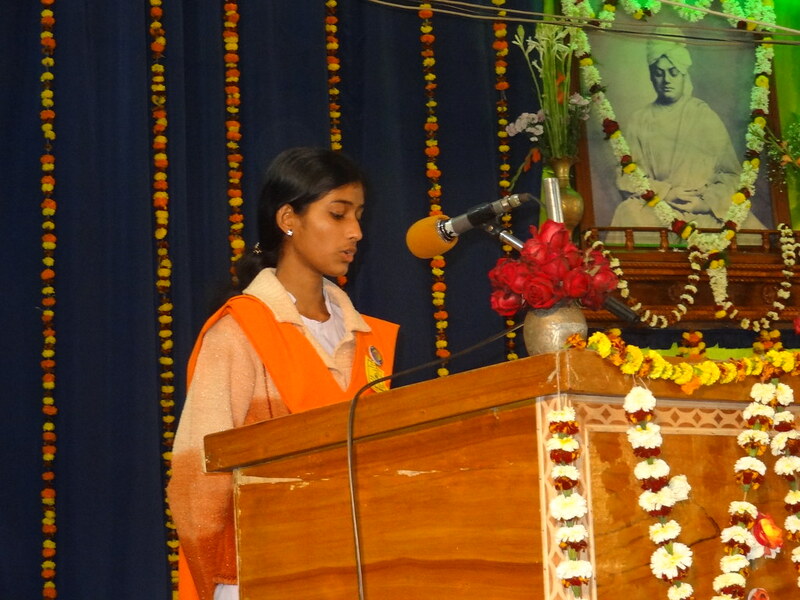 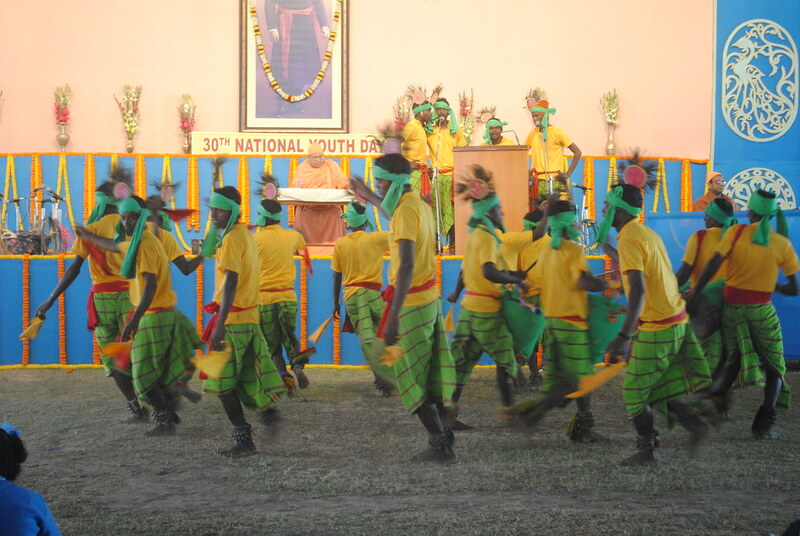 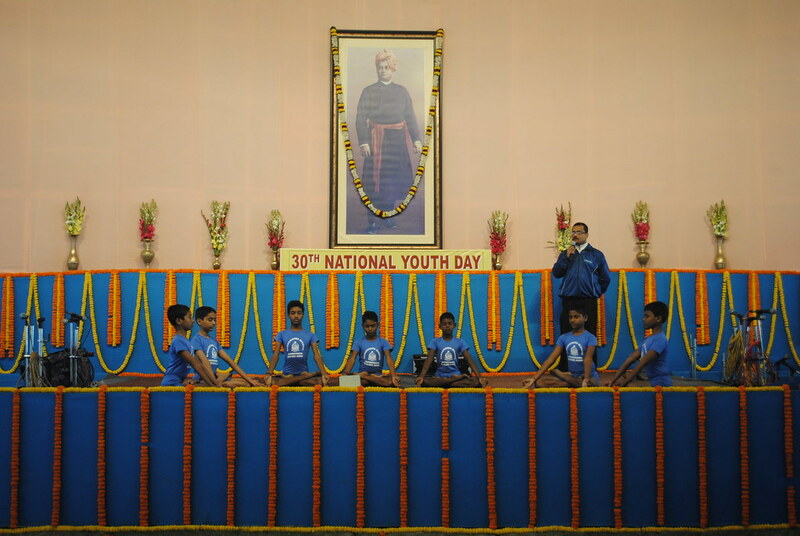 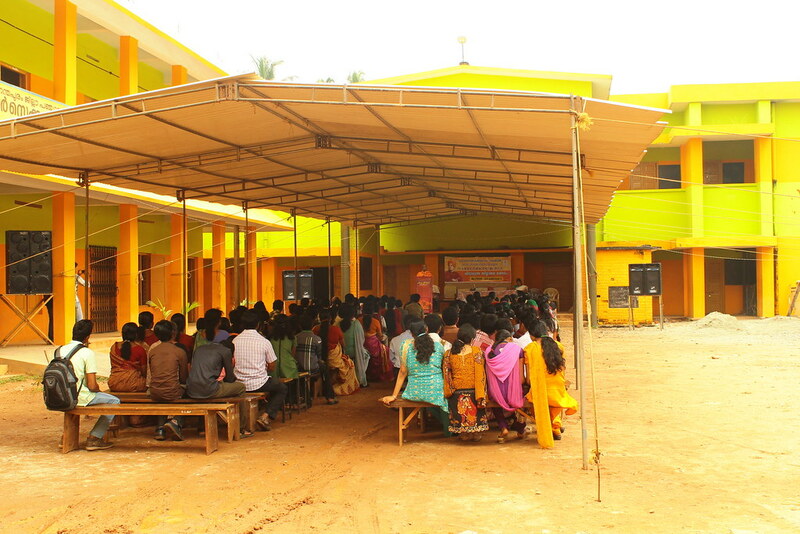 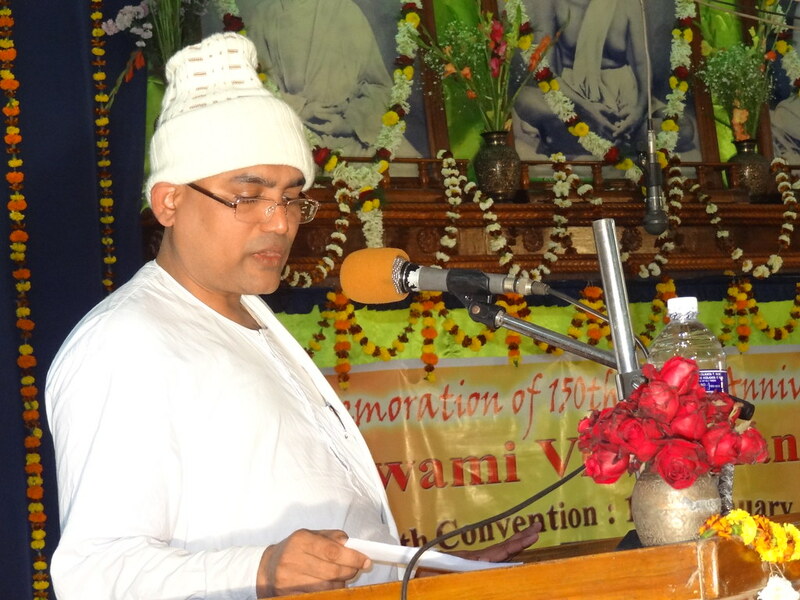 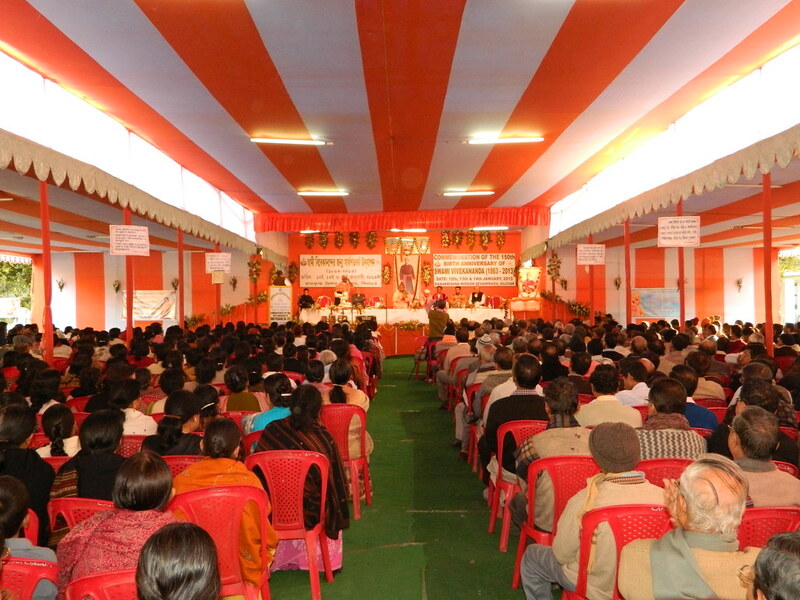 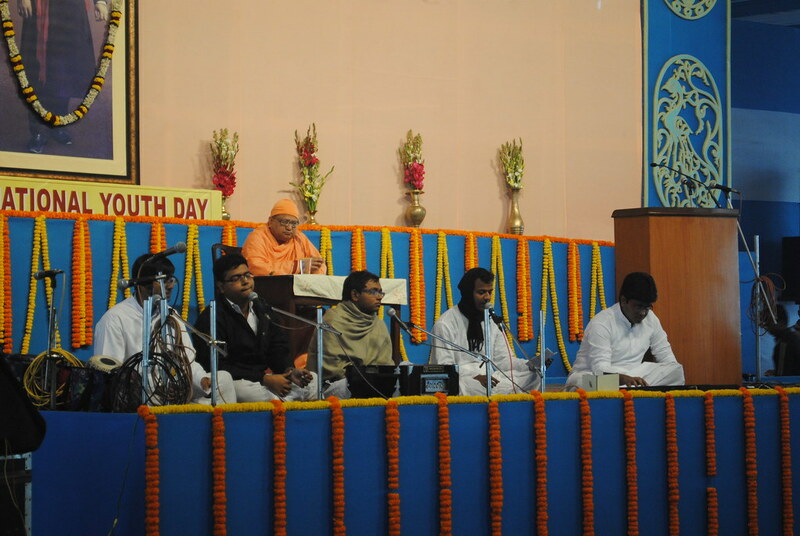 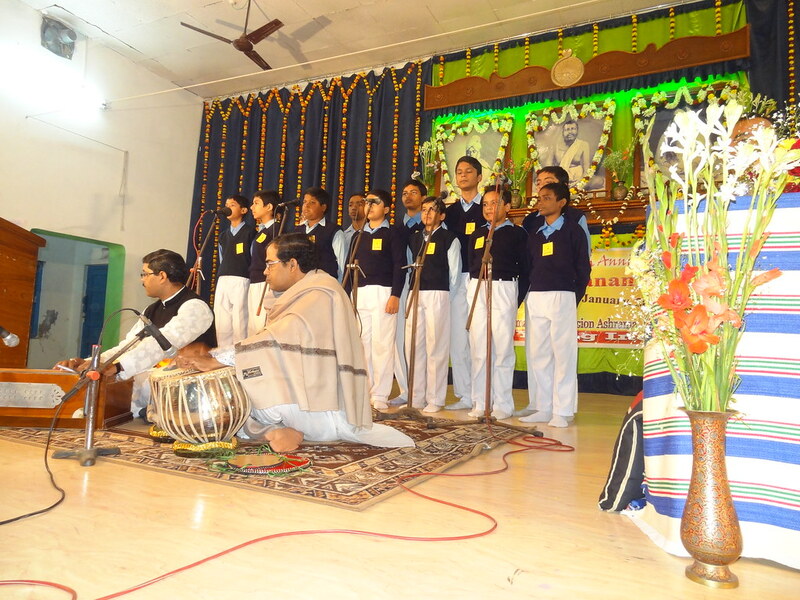 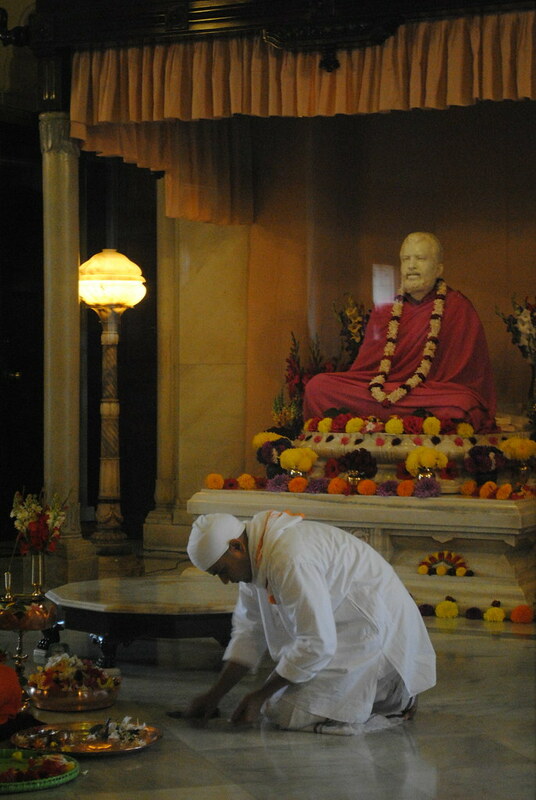 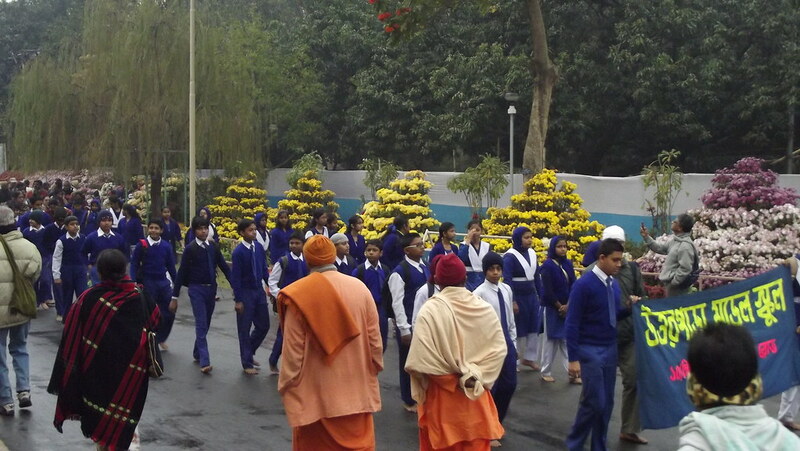 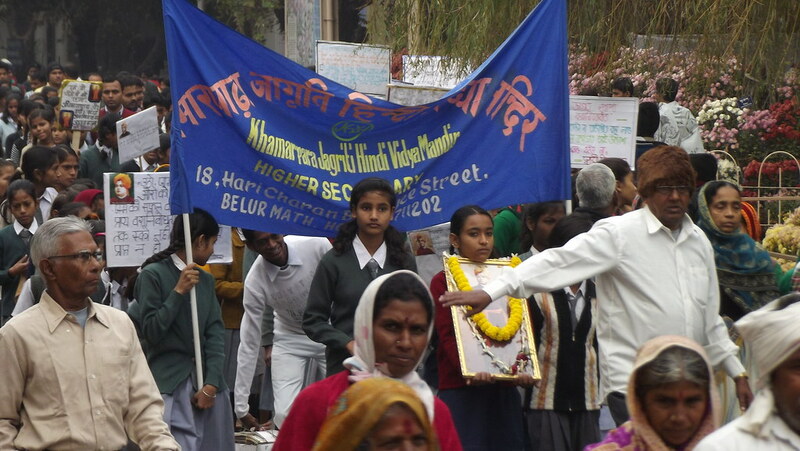 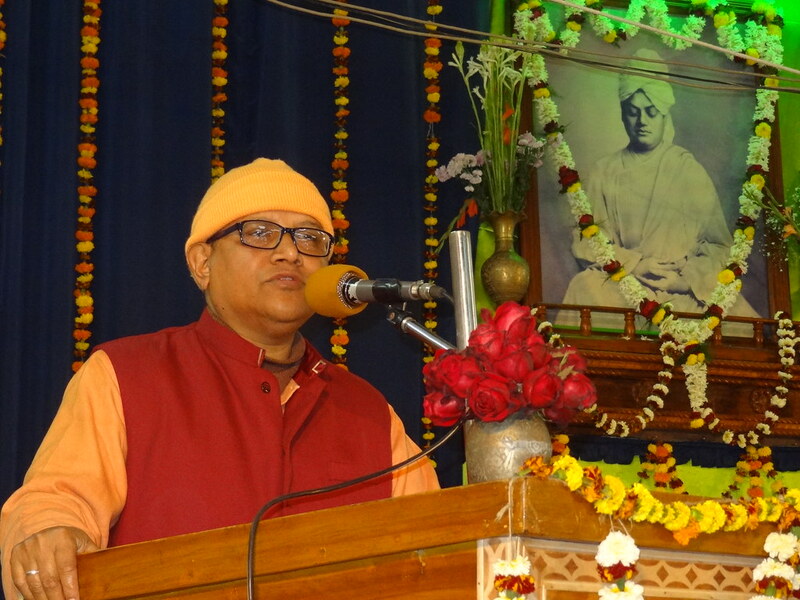 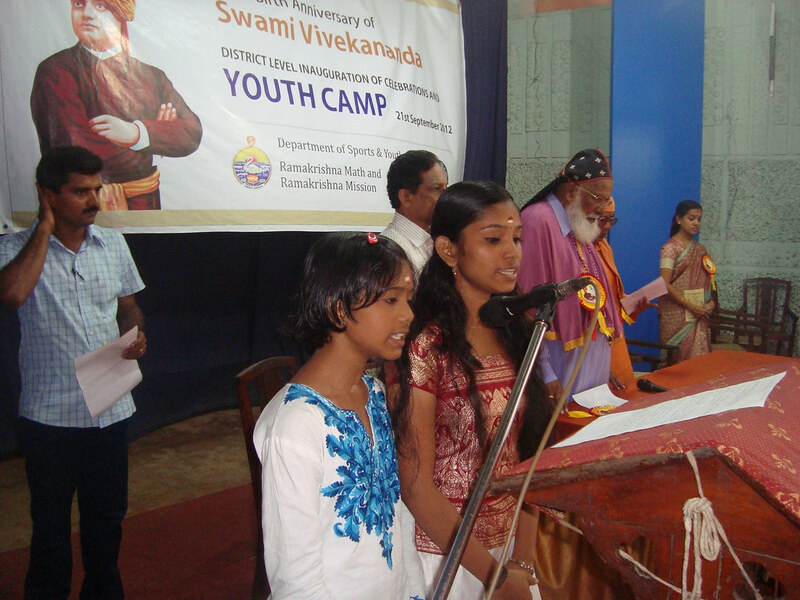 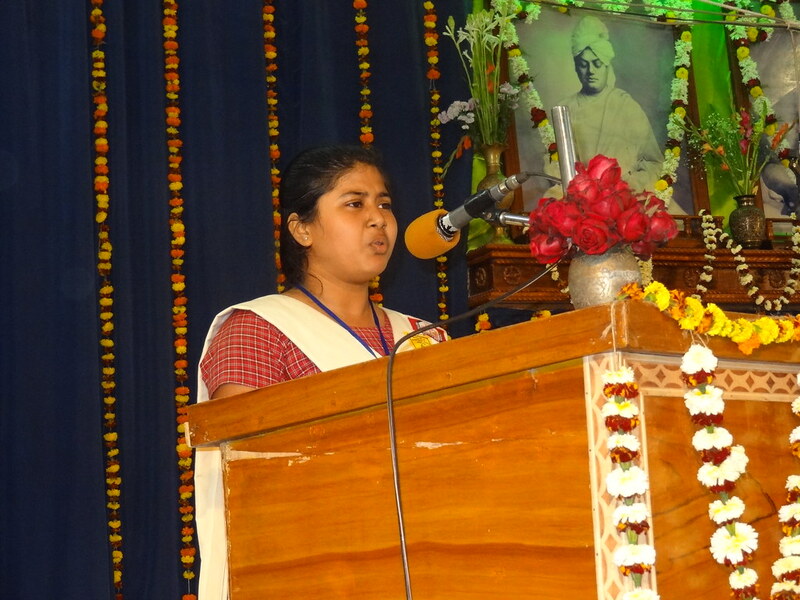 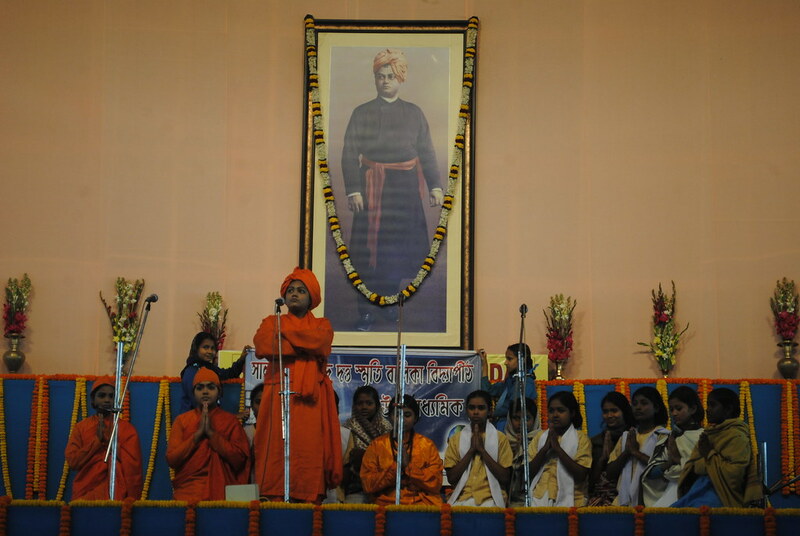 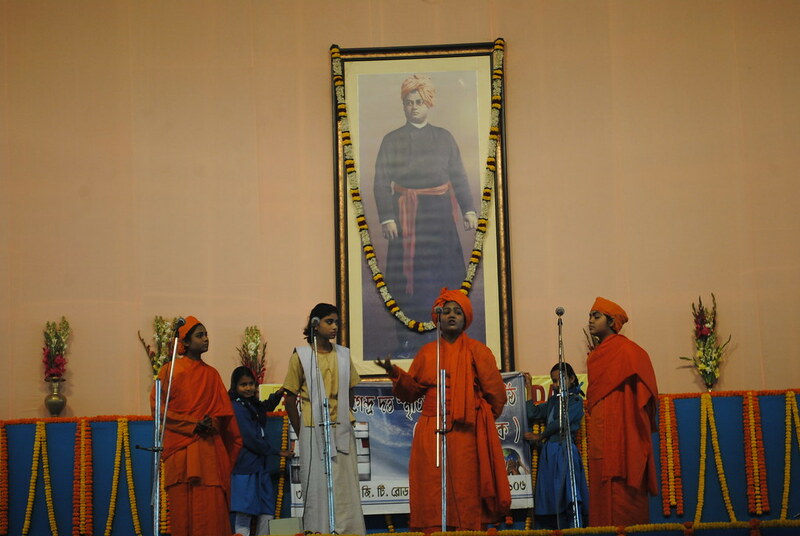 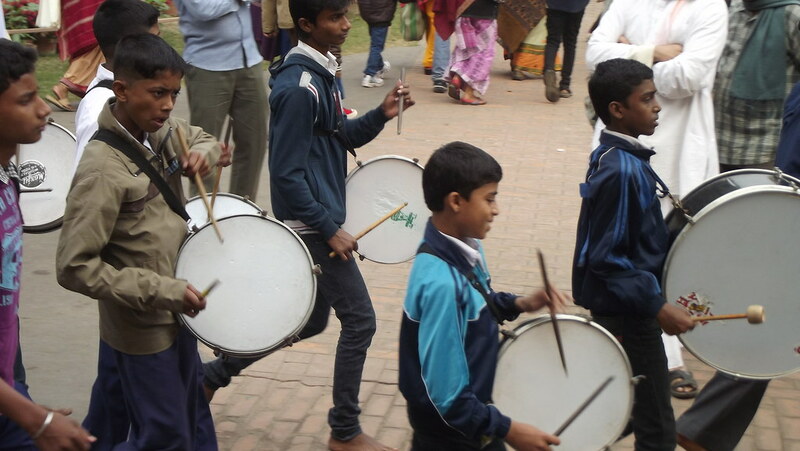 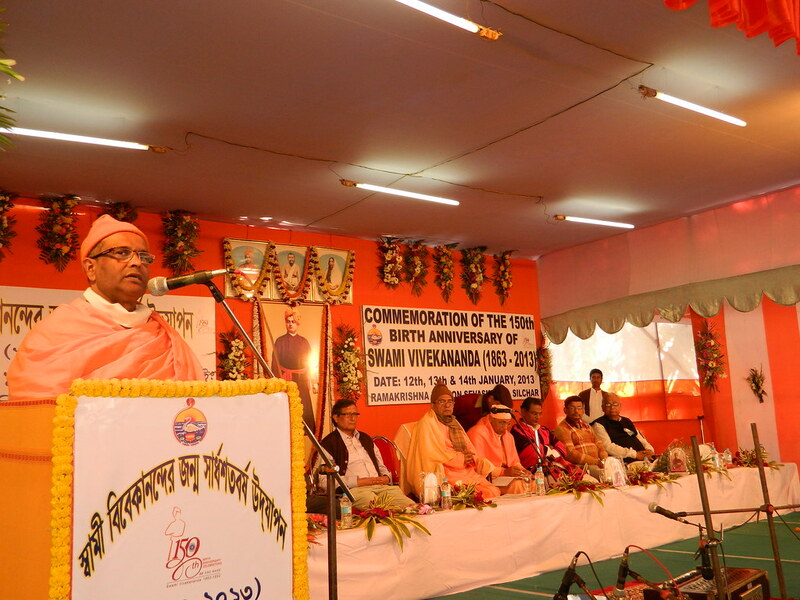 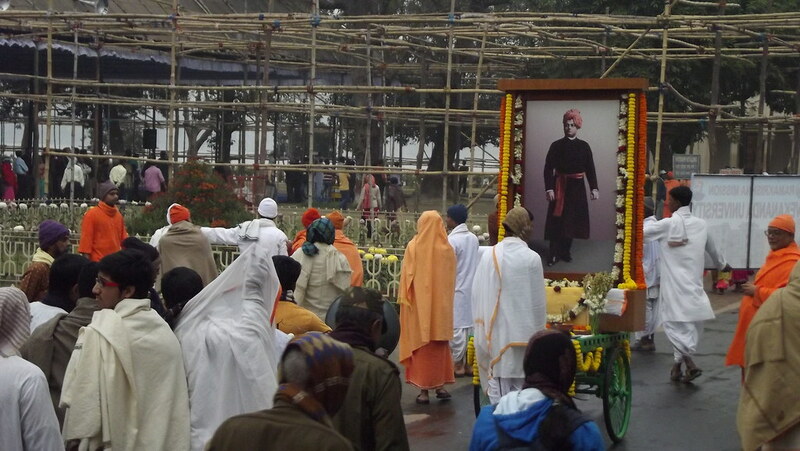 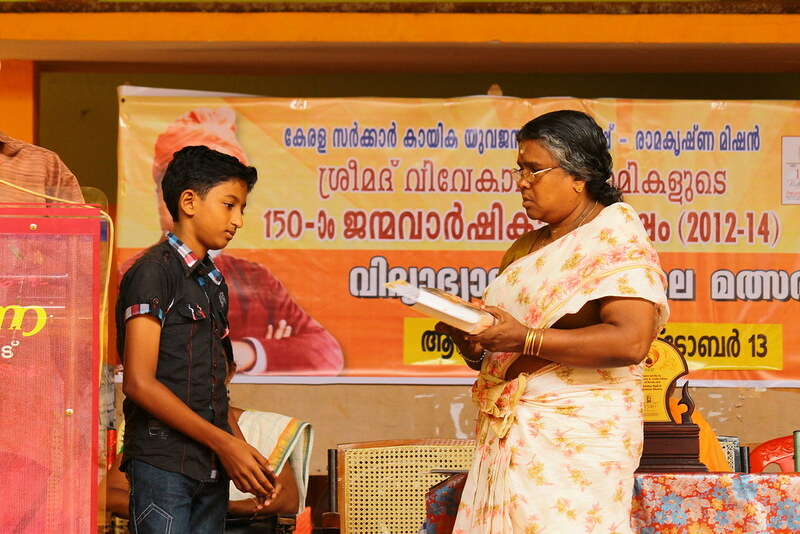 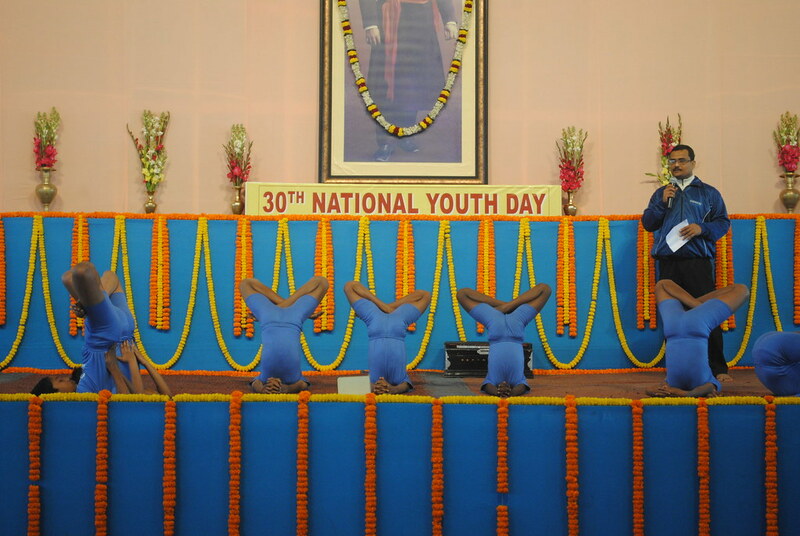 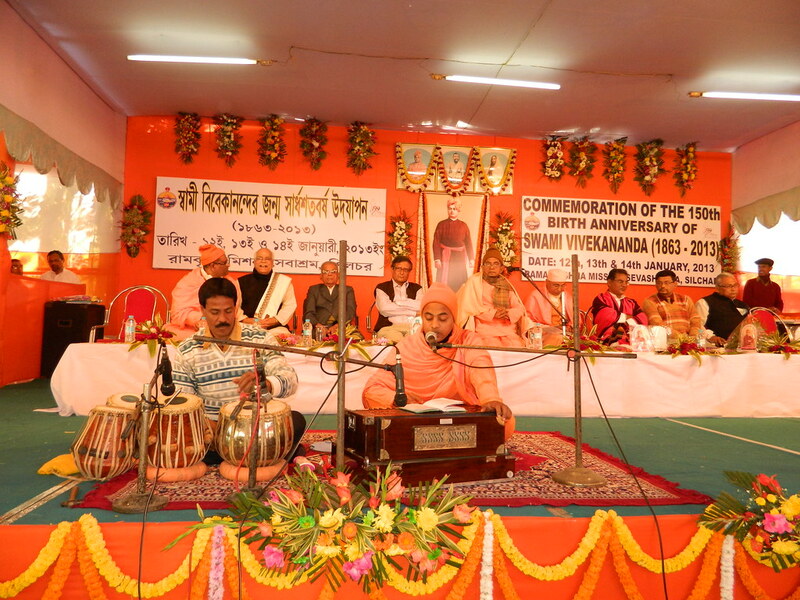 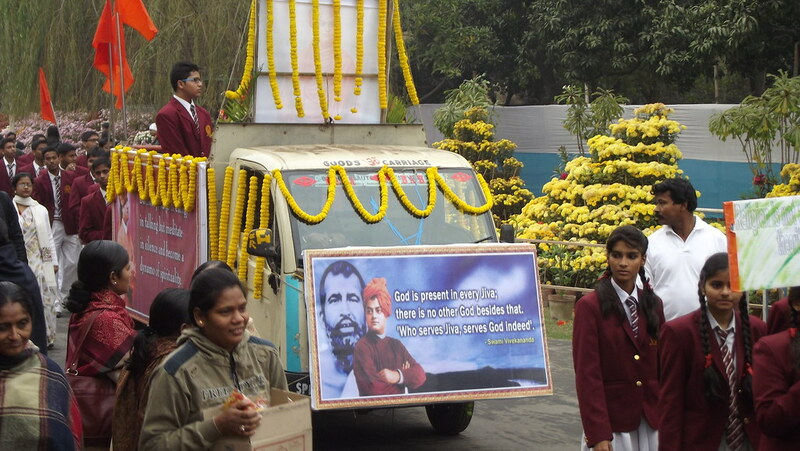 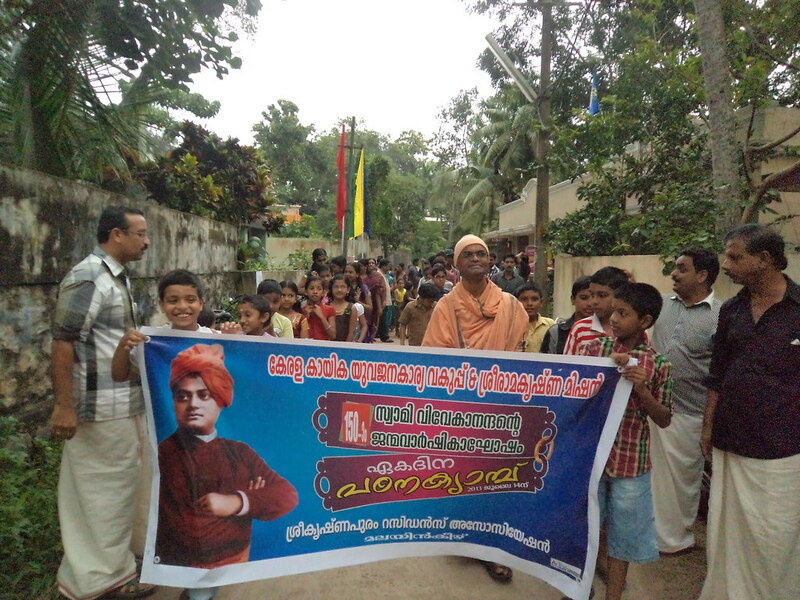 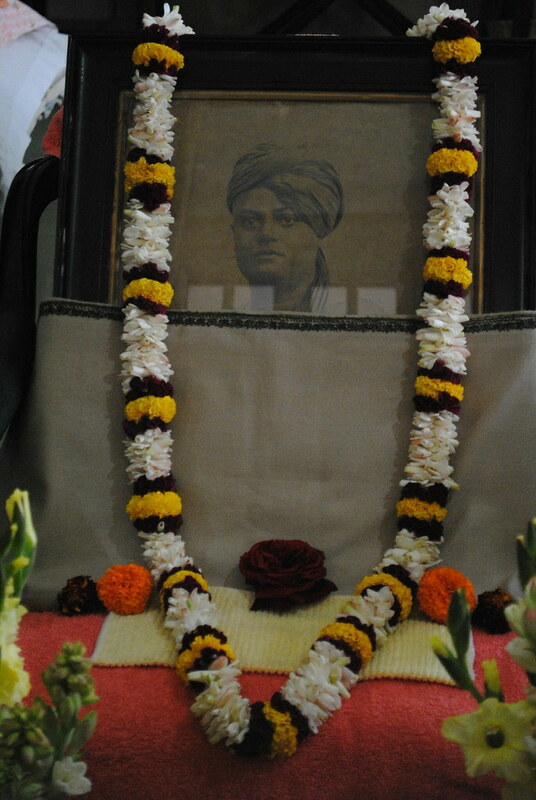 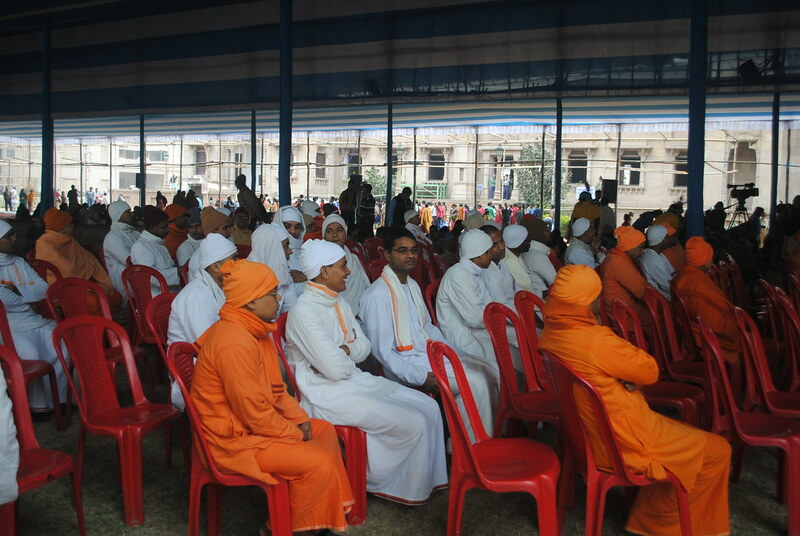 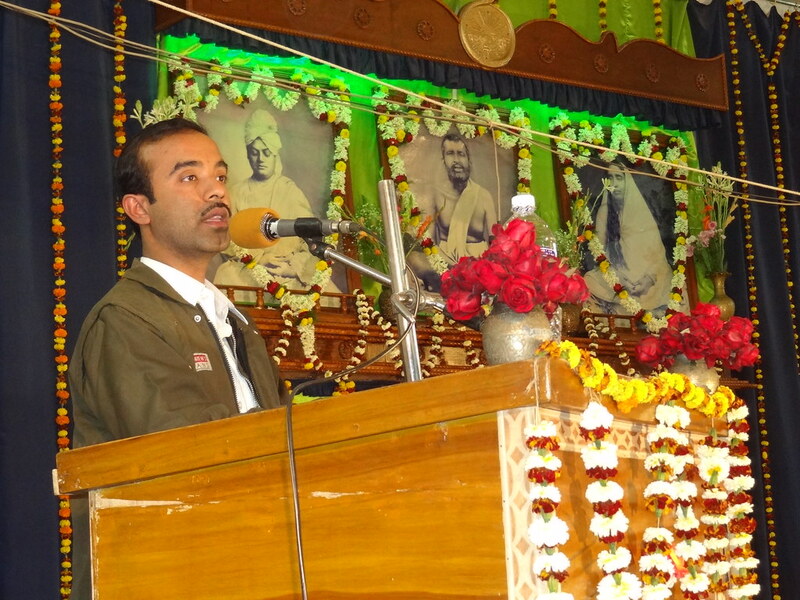 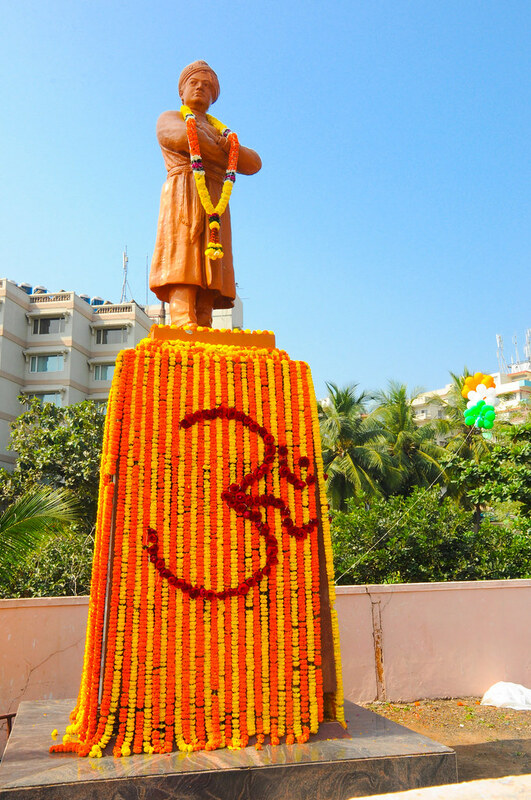 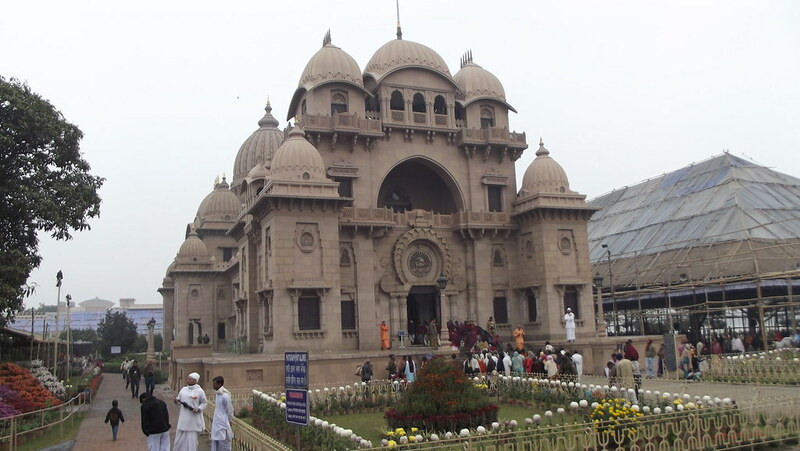 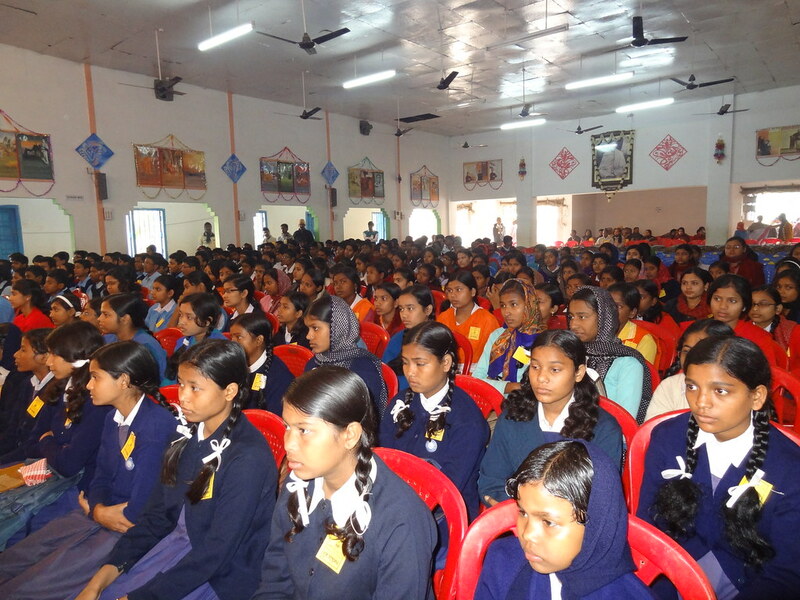 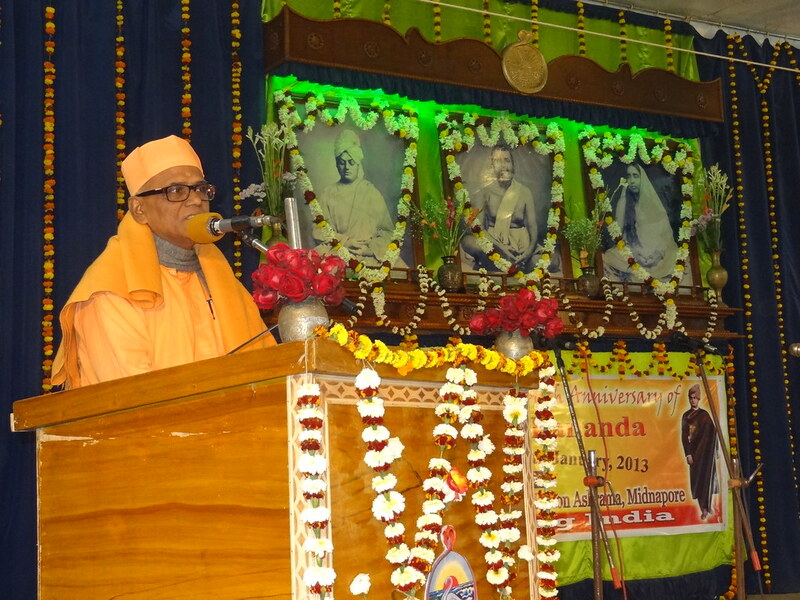 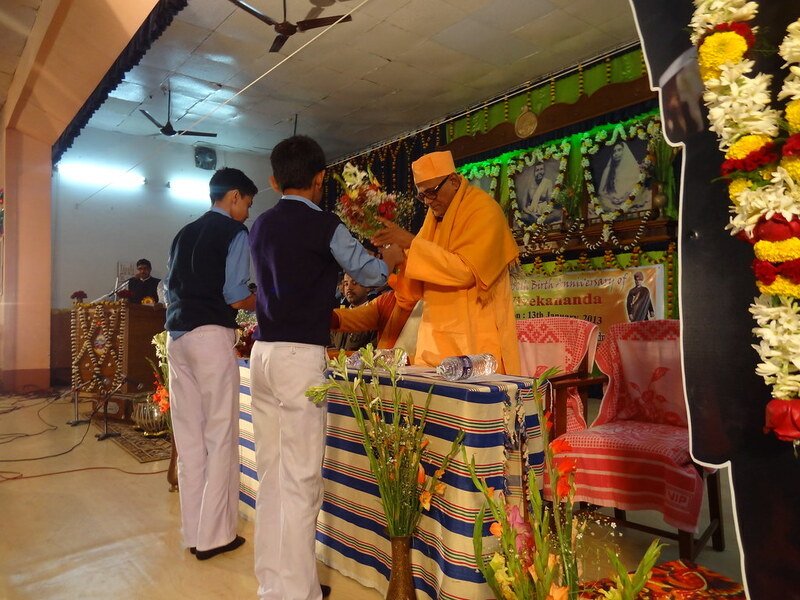 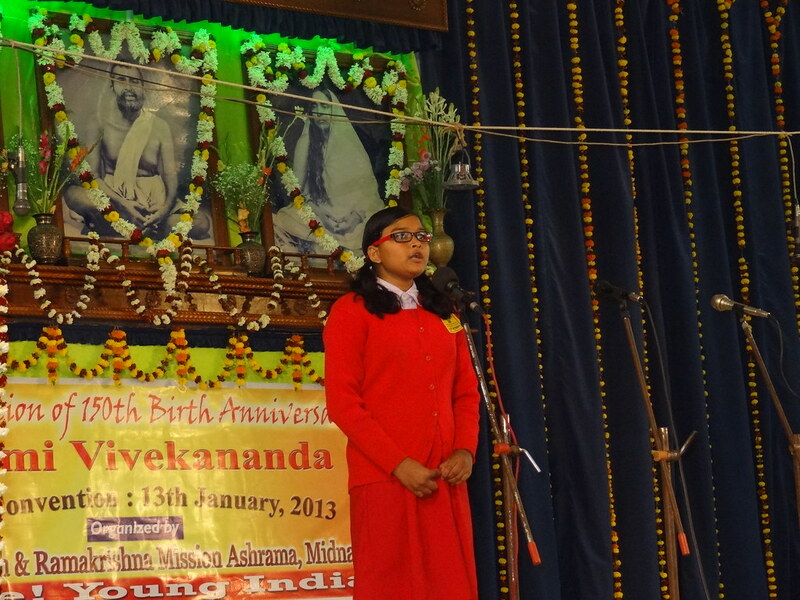 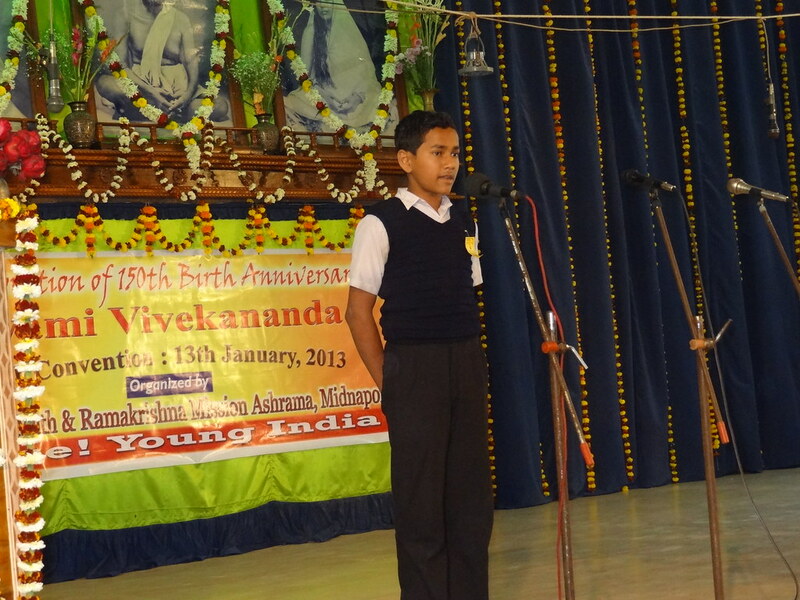 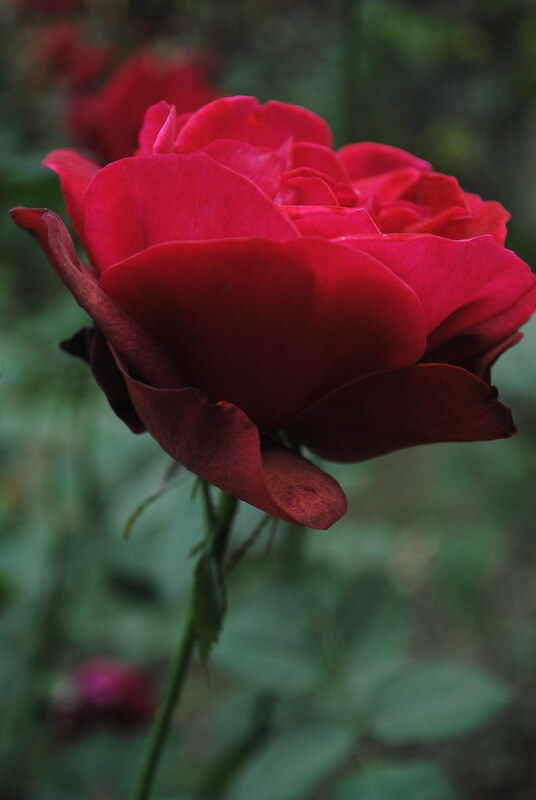 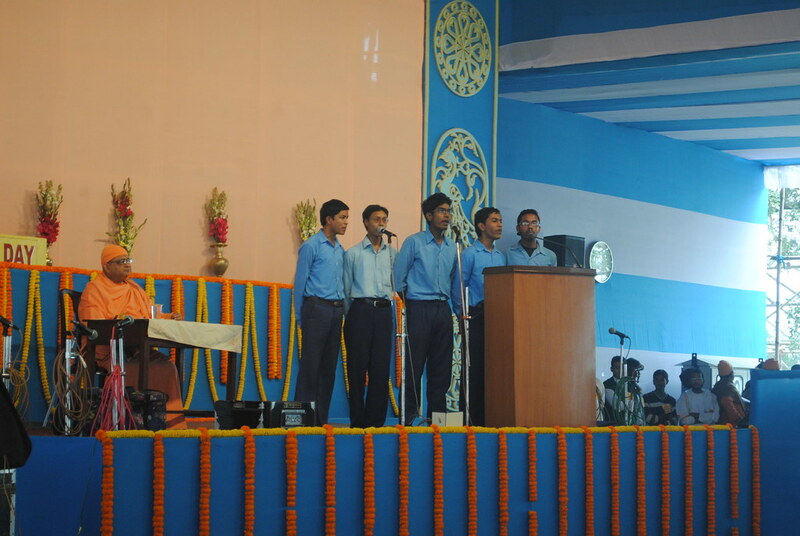 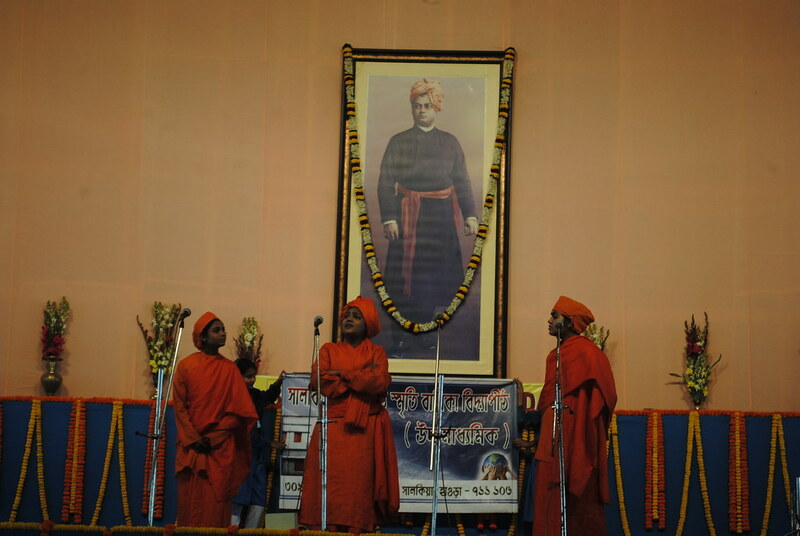 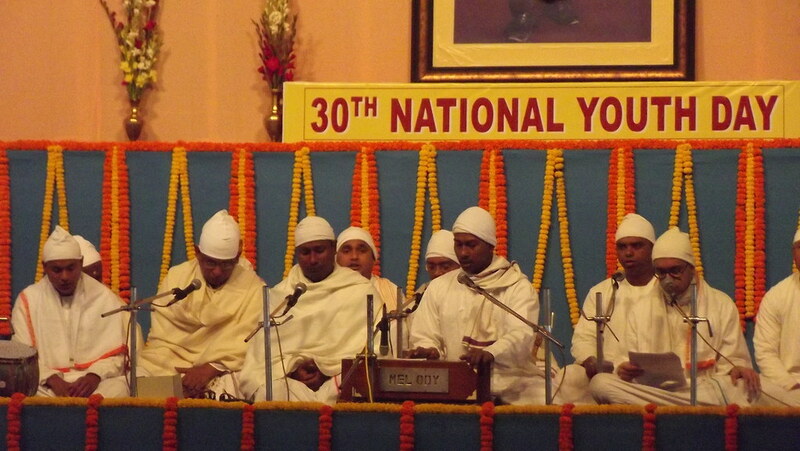 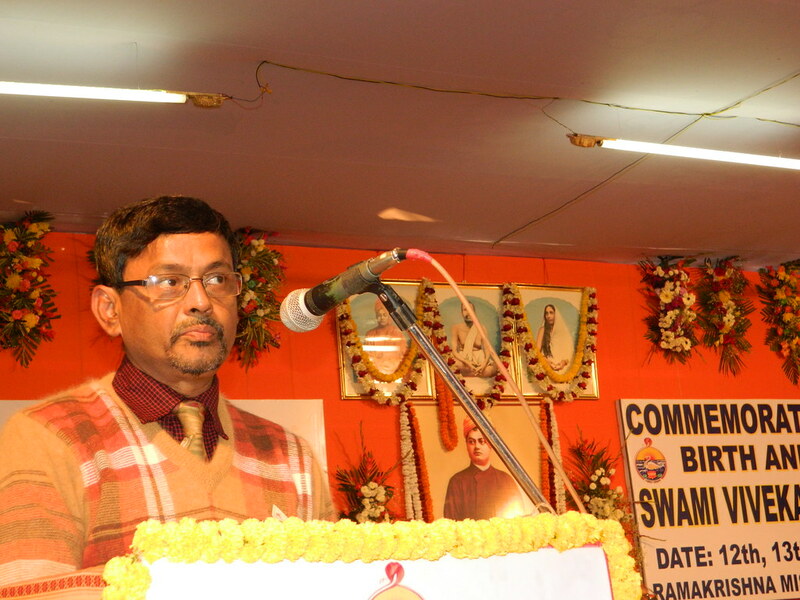 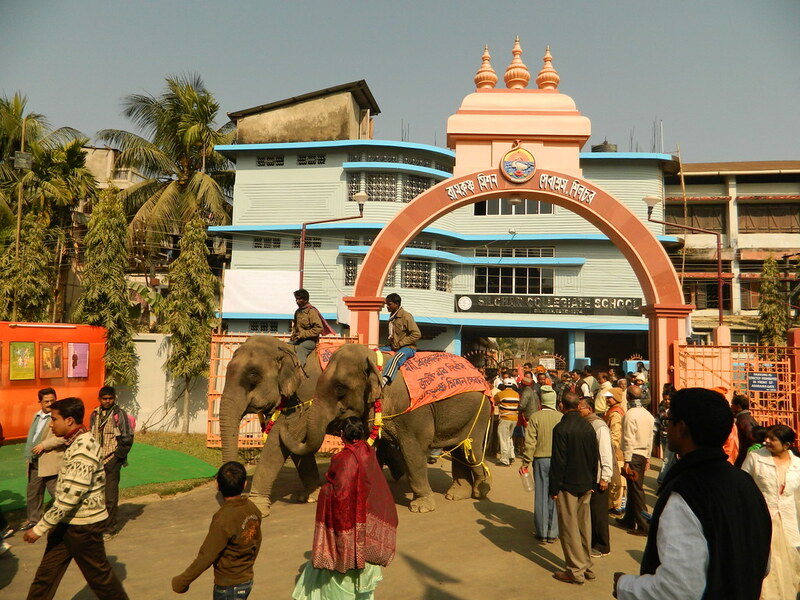 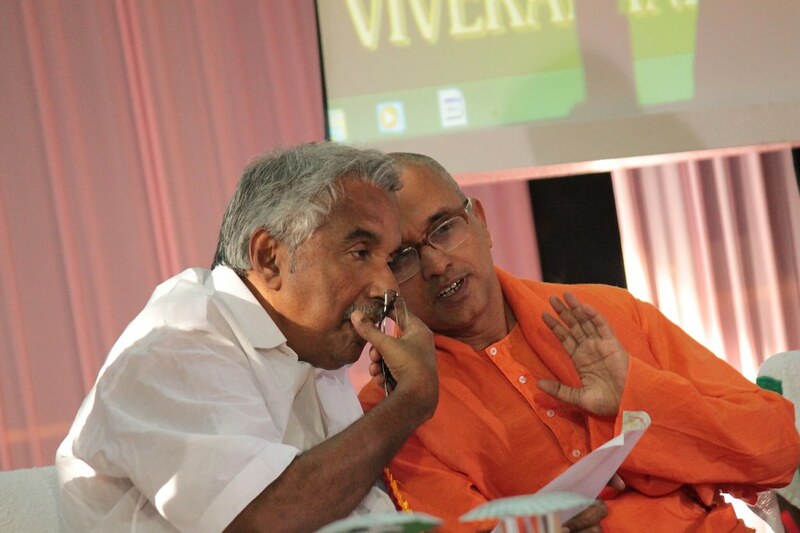 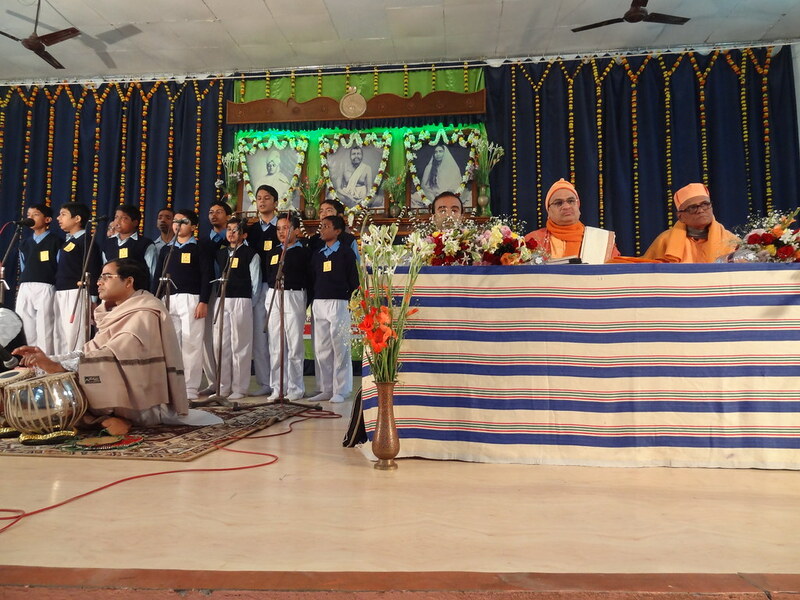 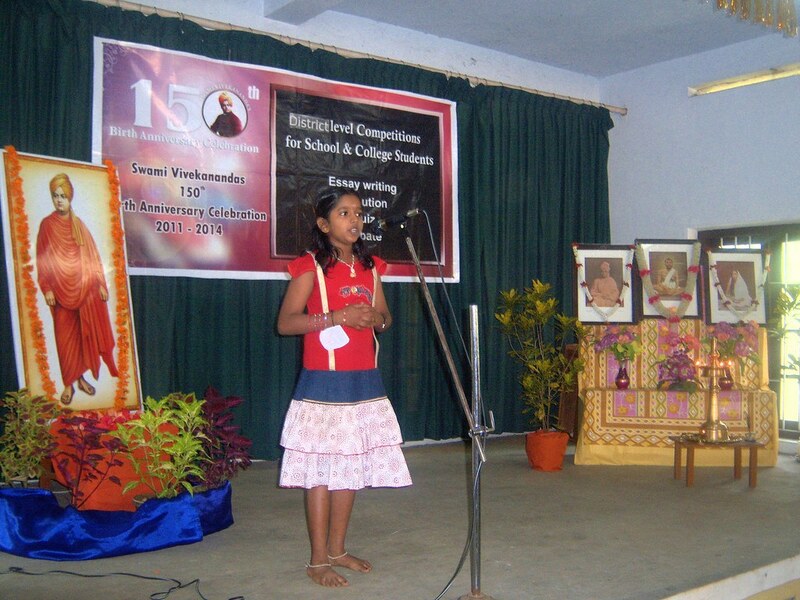 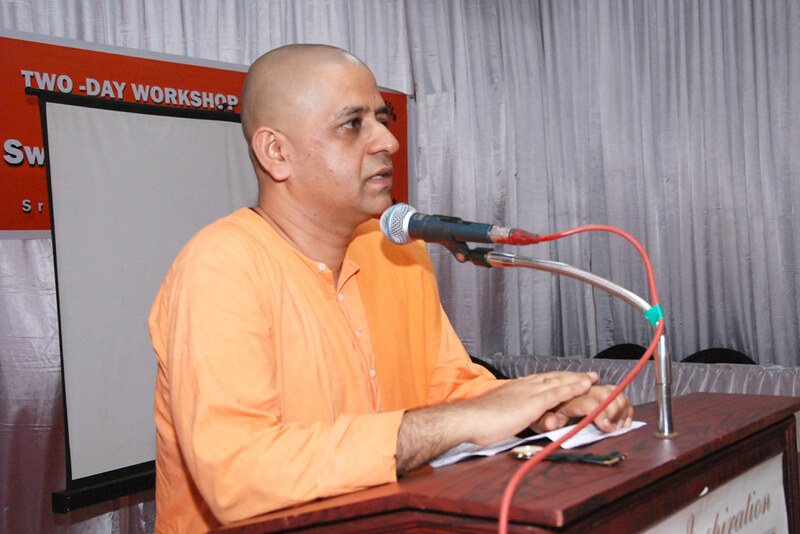 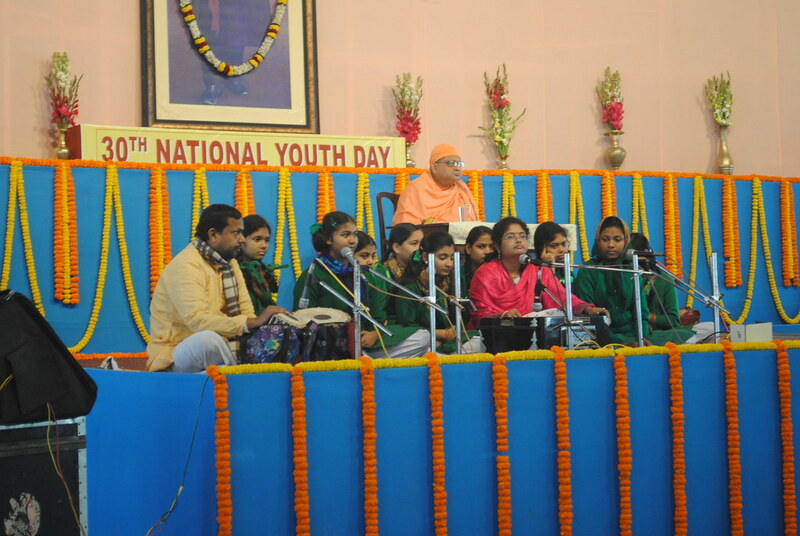 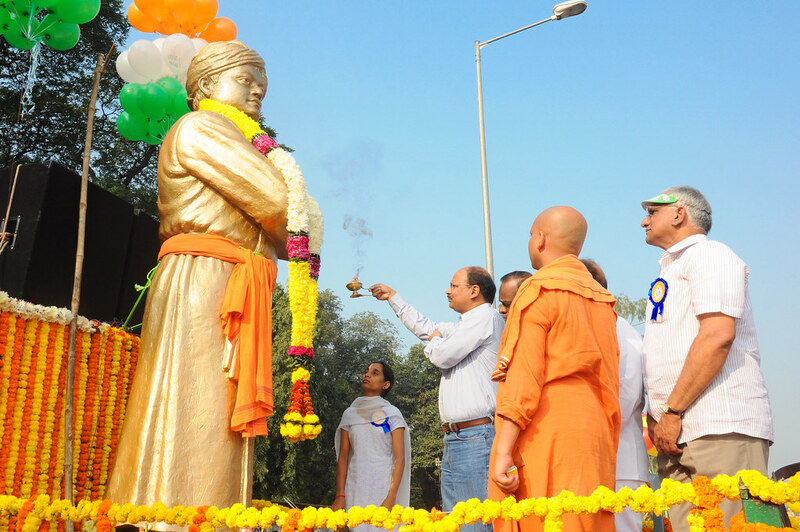 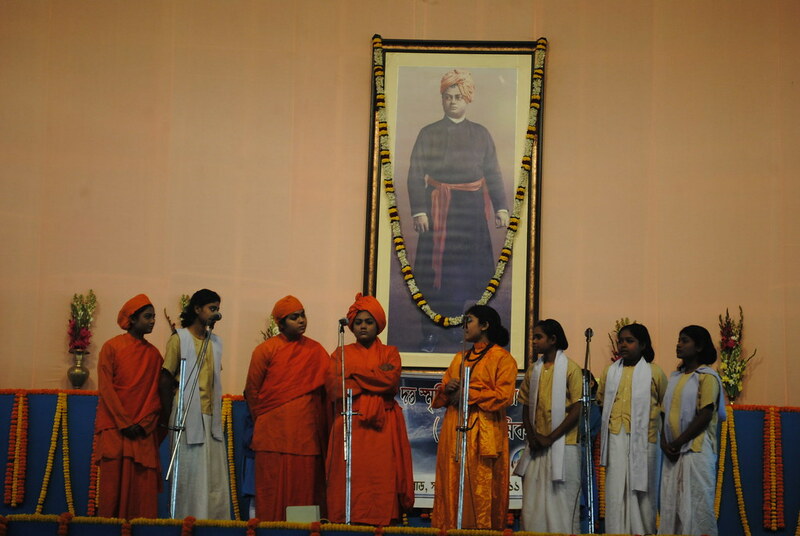 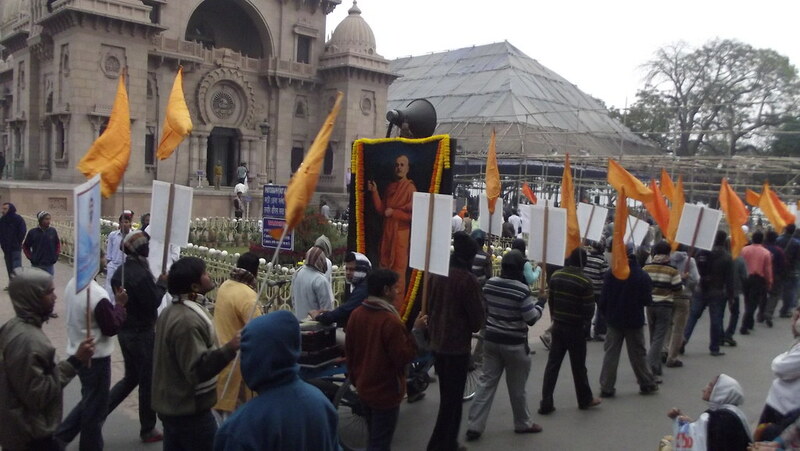 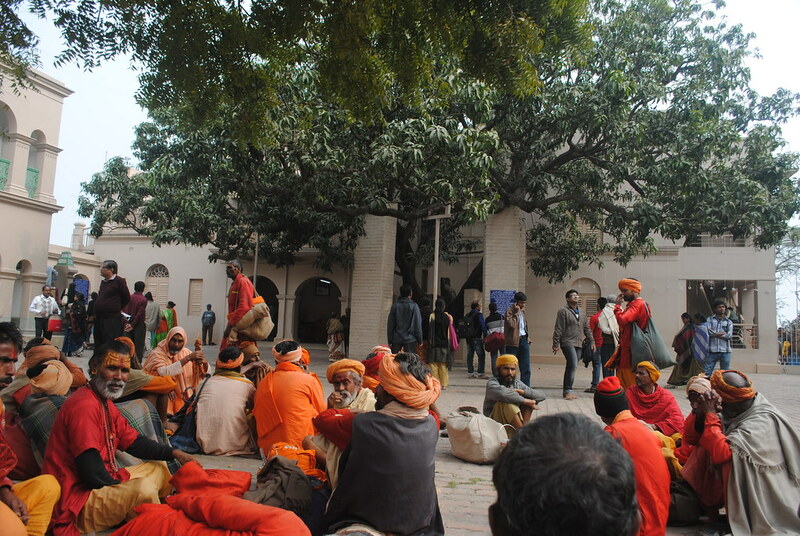 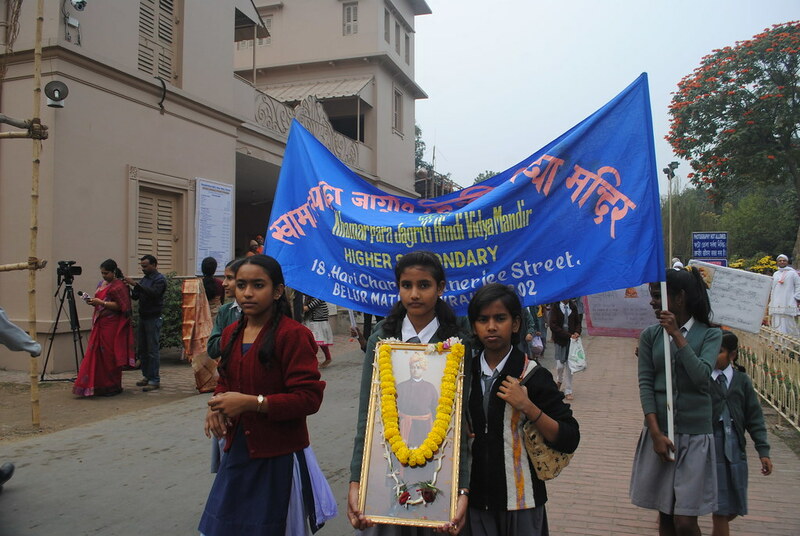 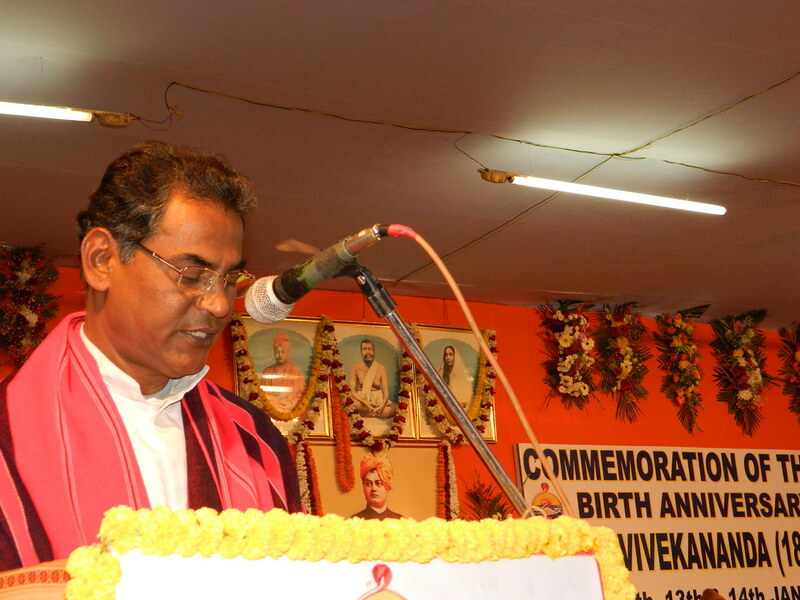 The inaugural function of the year-long celebration (12th January 2013 to 12th January 2014) of the 150th Birth Anniversary of Swami Vivekananda was held on 12th, 13th and 14th January 2013 at the premises of the Sevashrama. 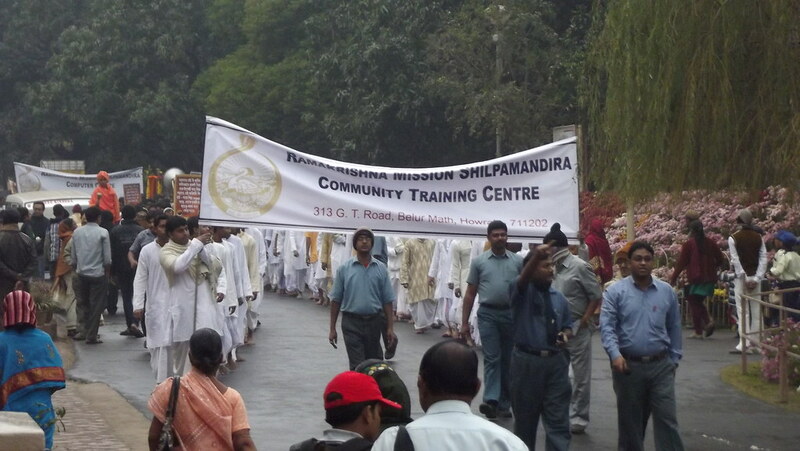 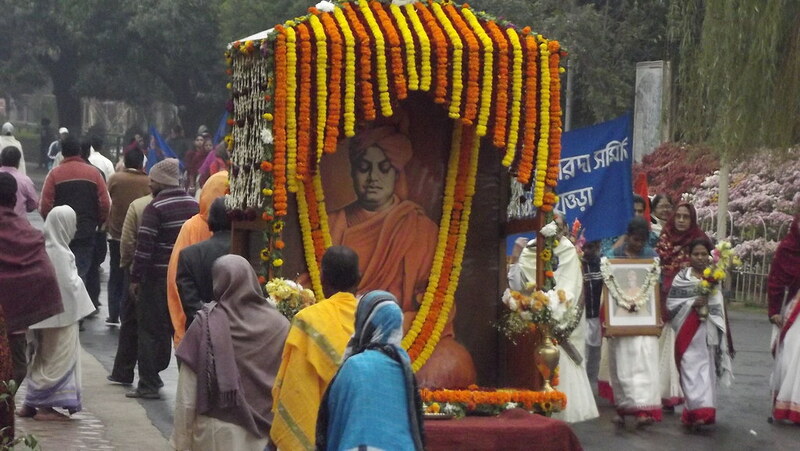 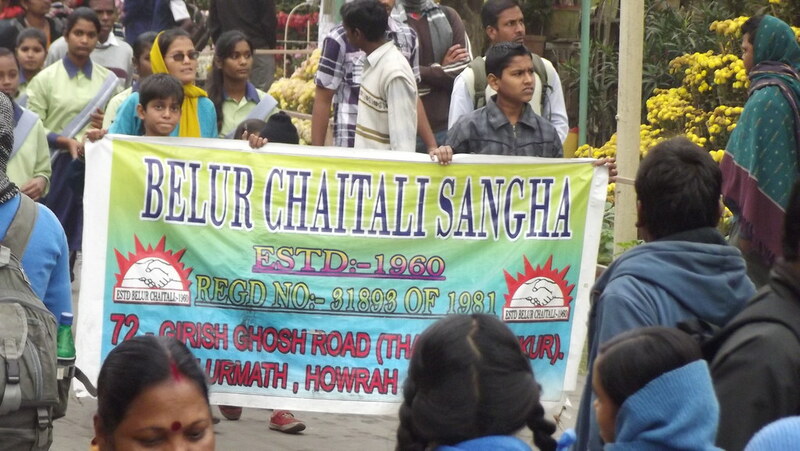 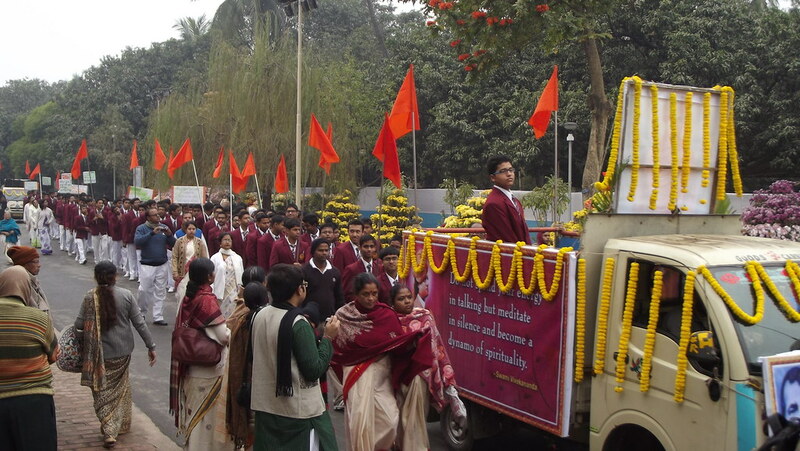 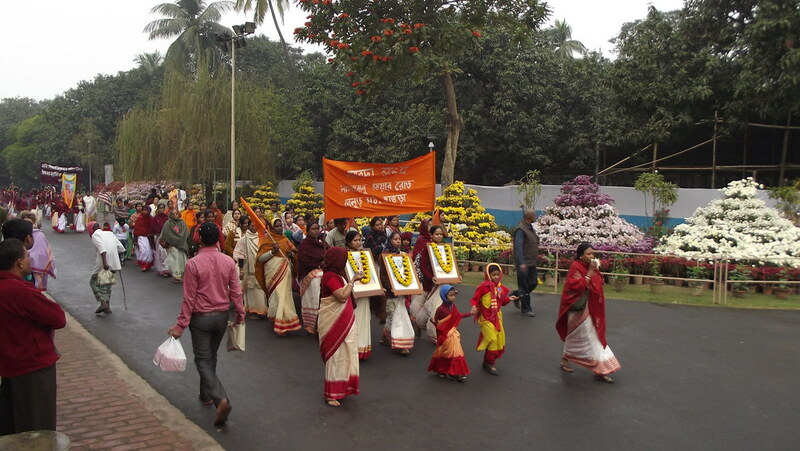 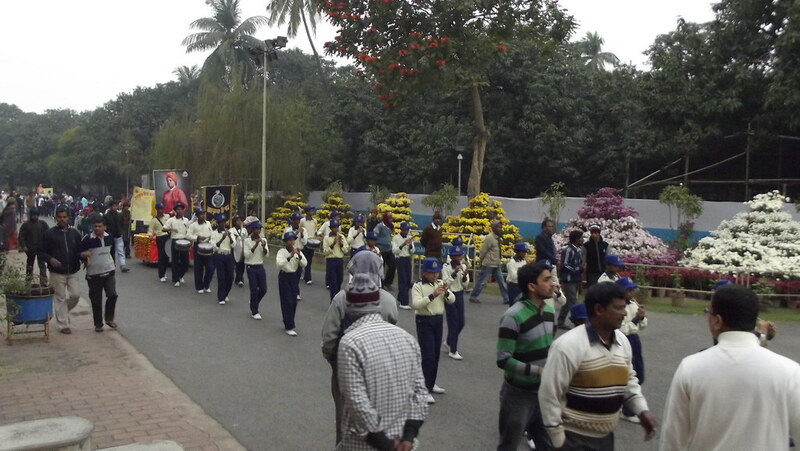 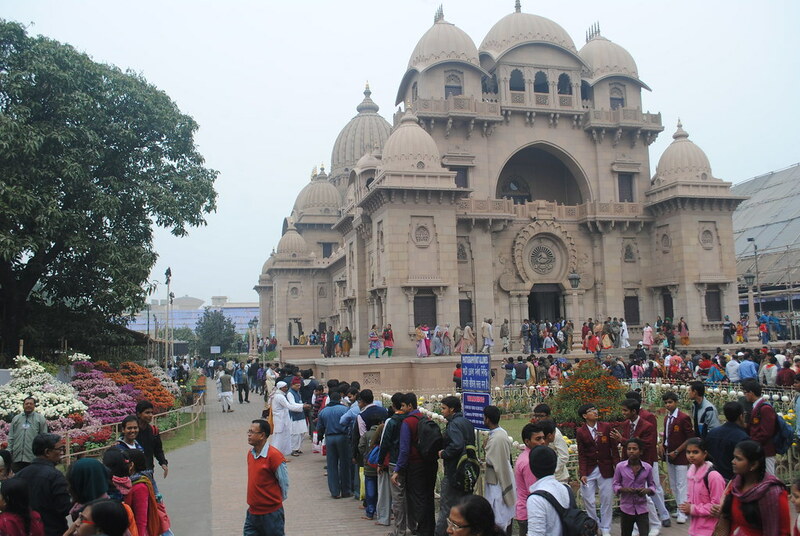 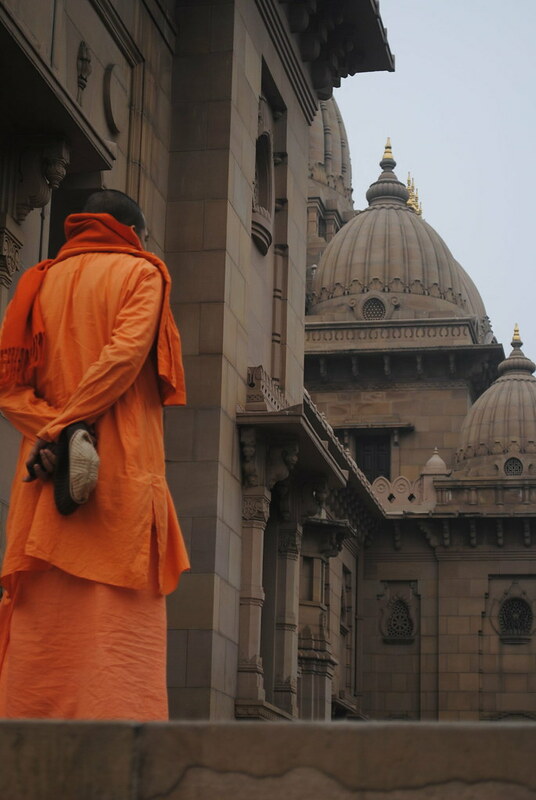 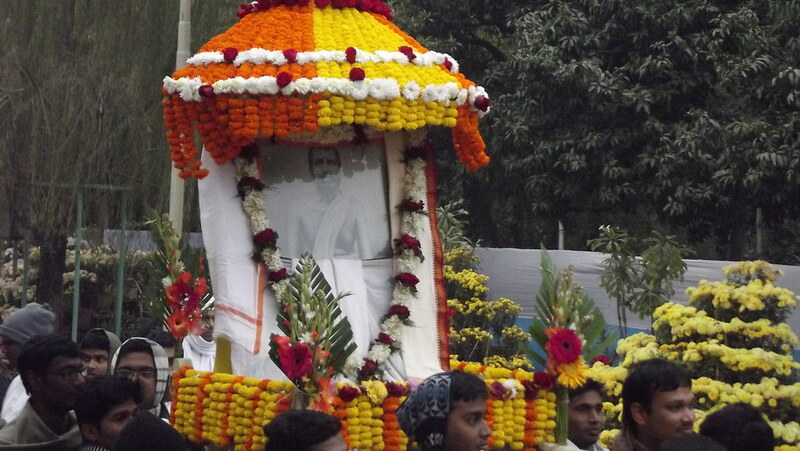 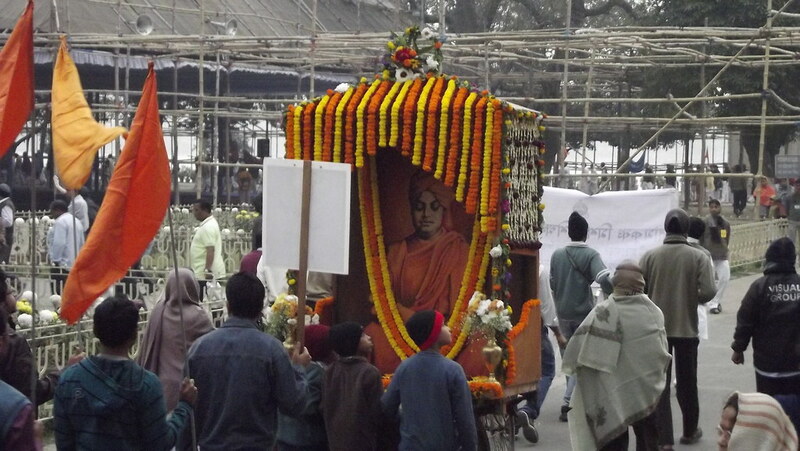 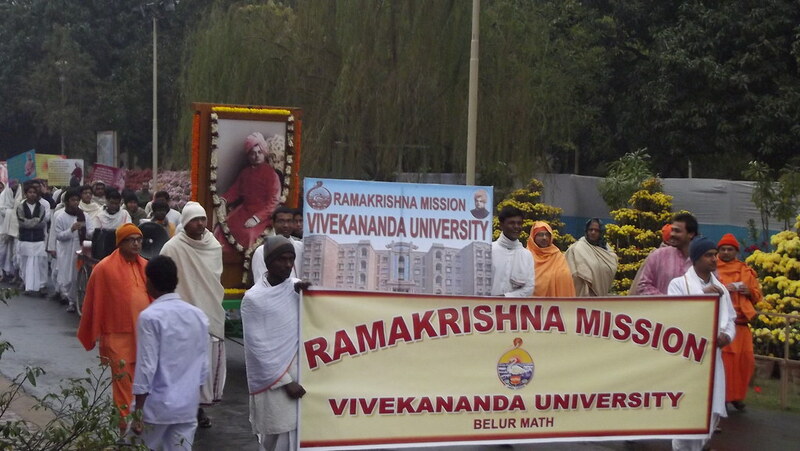 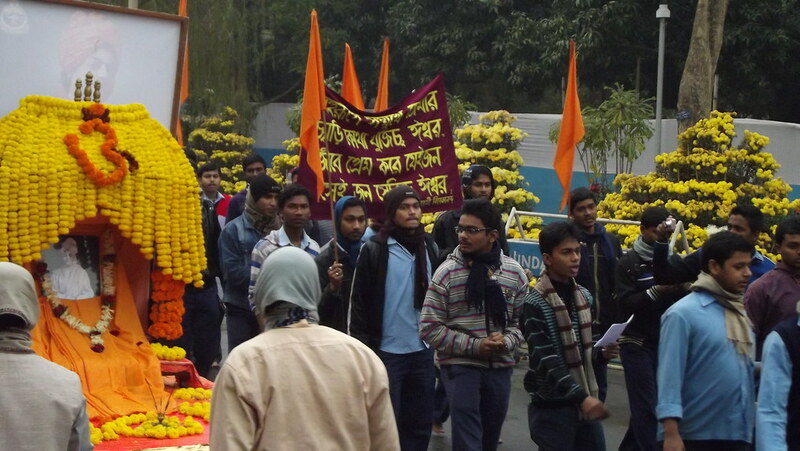 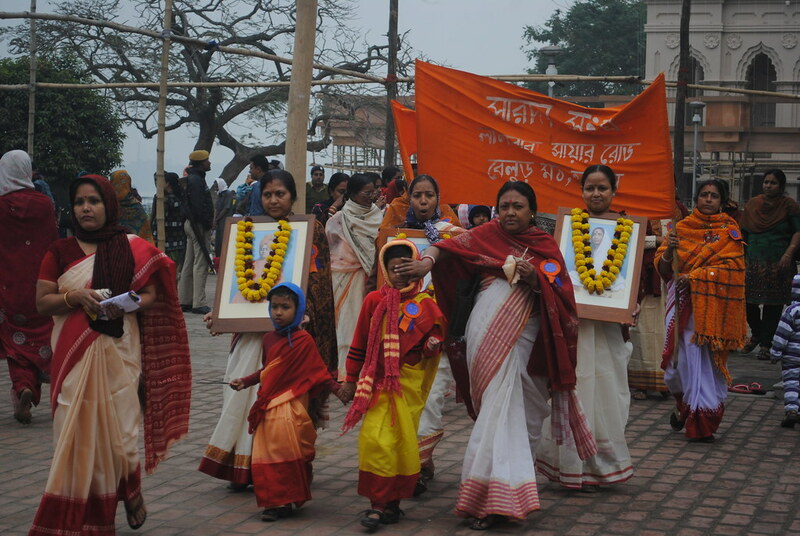 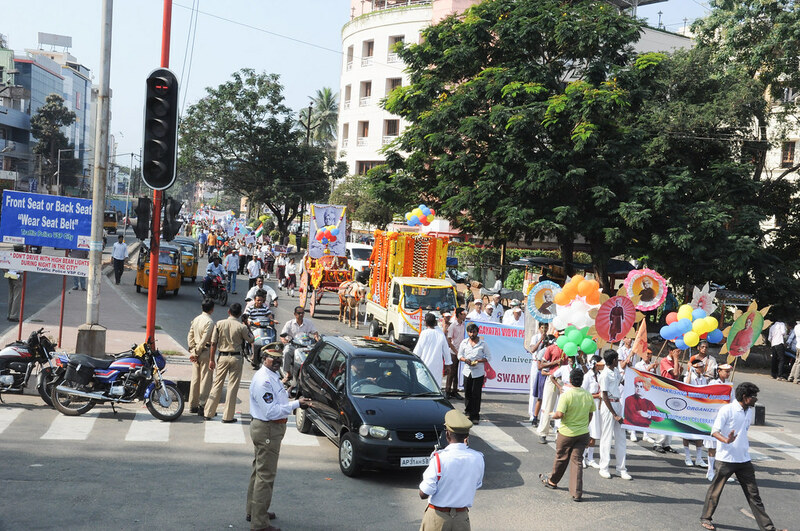 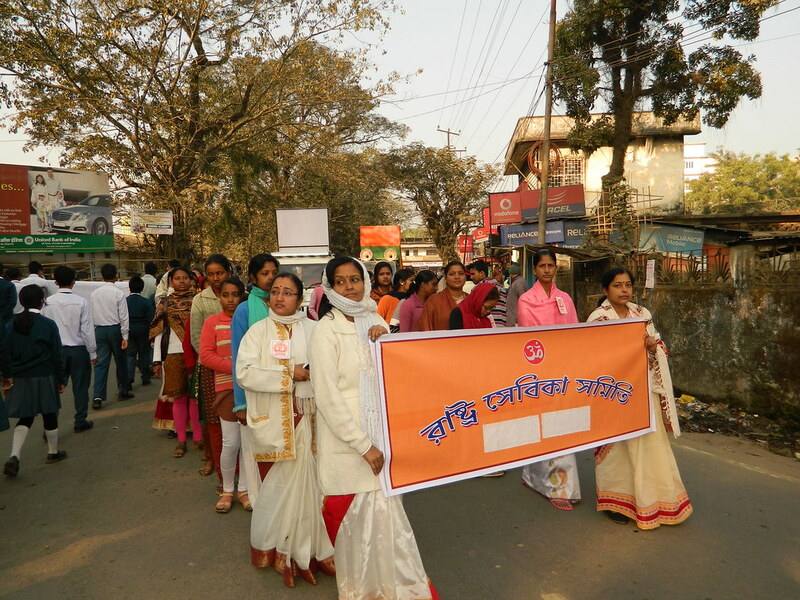 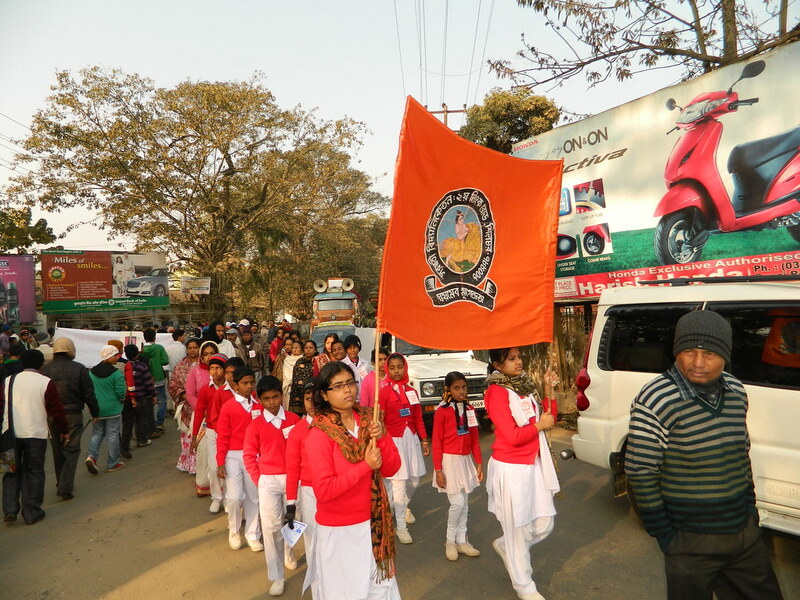 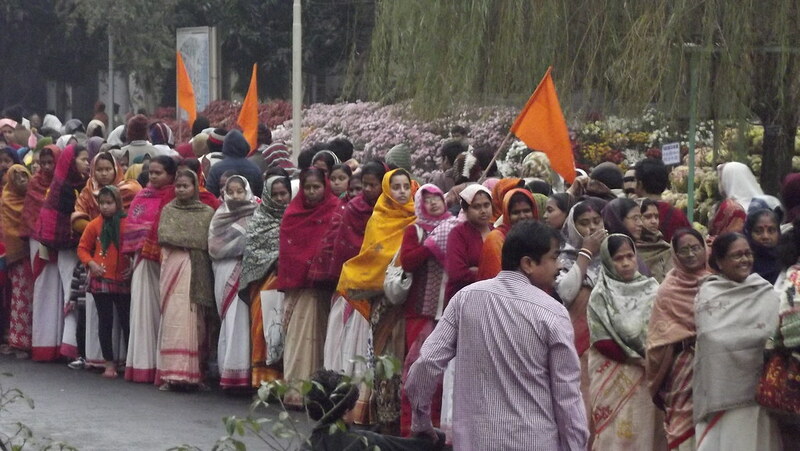 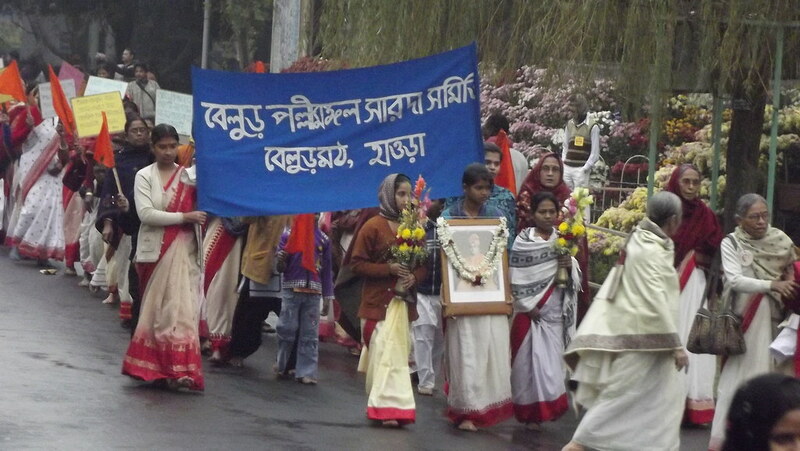 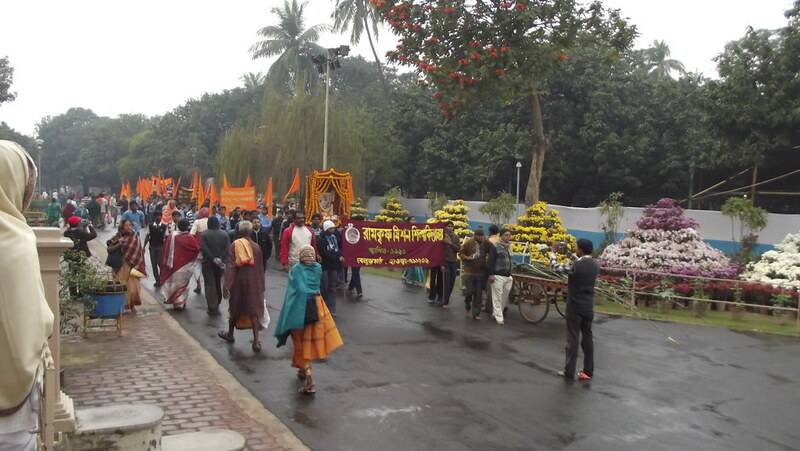 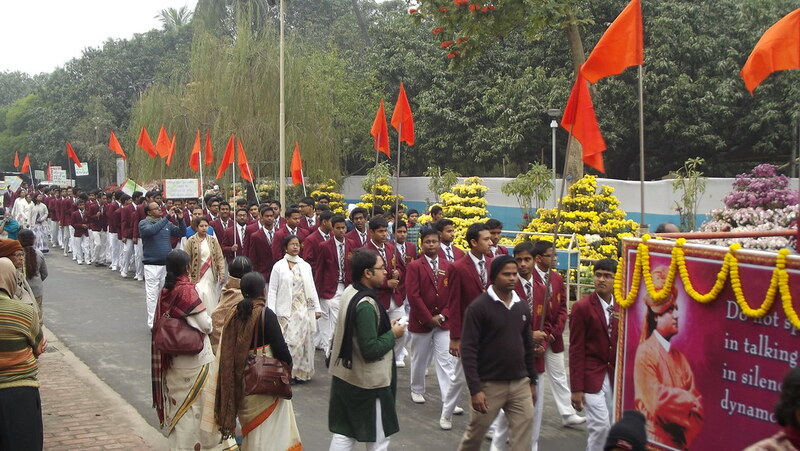 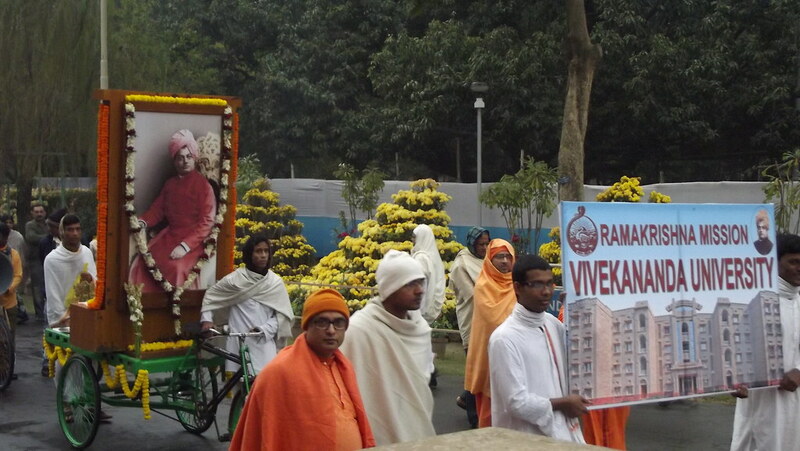 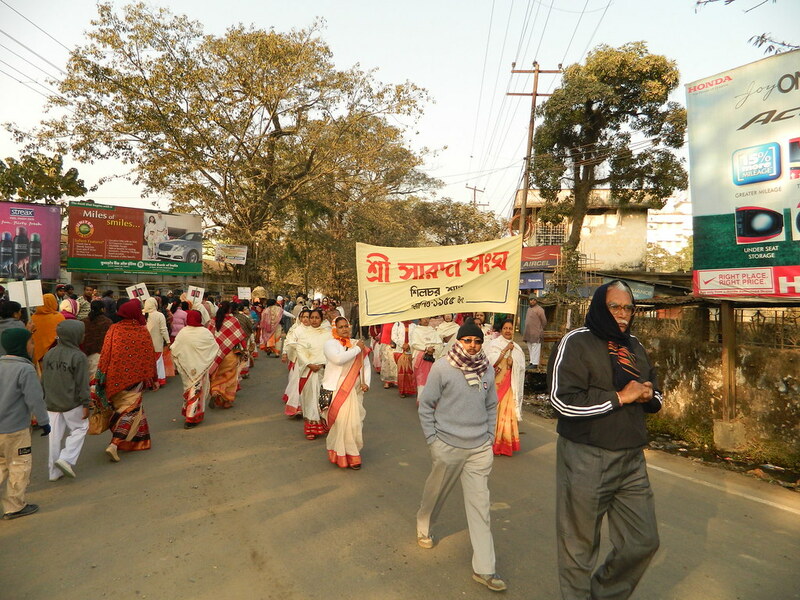 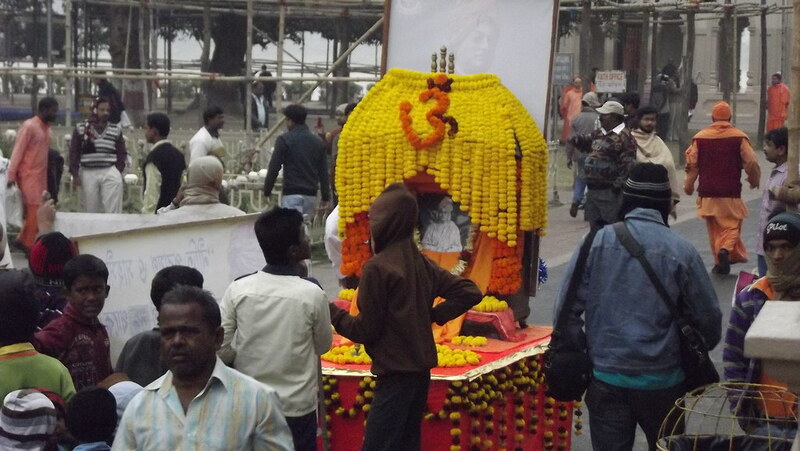 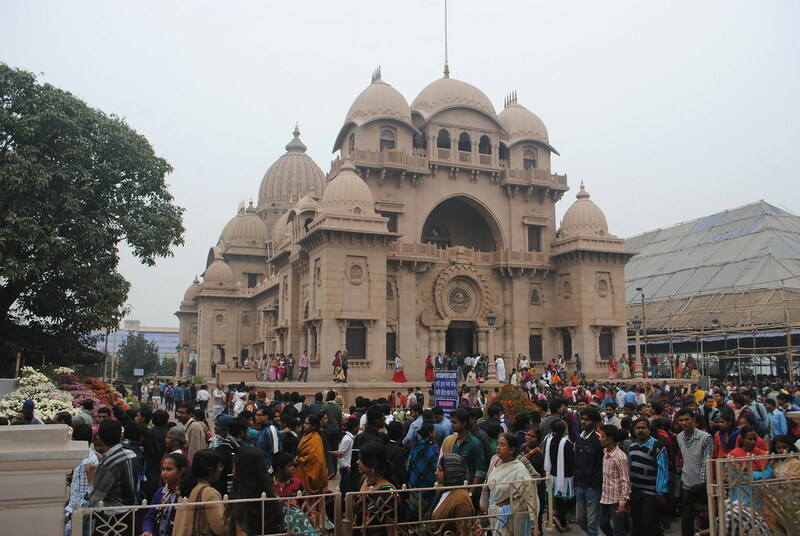 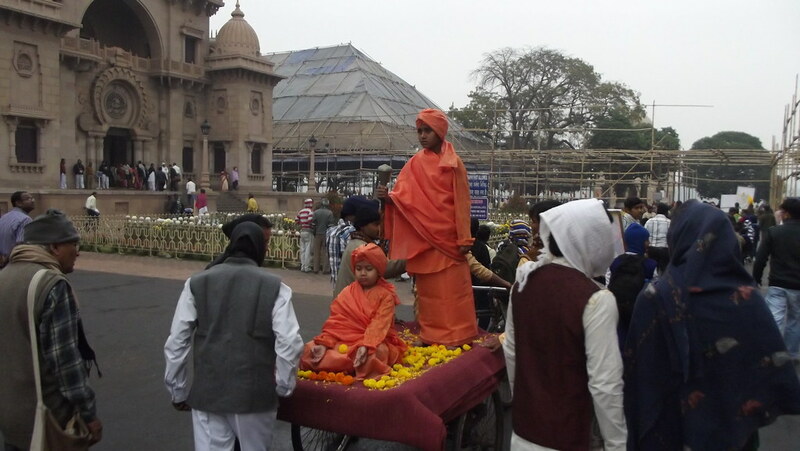 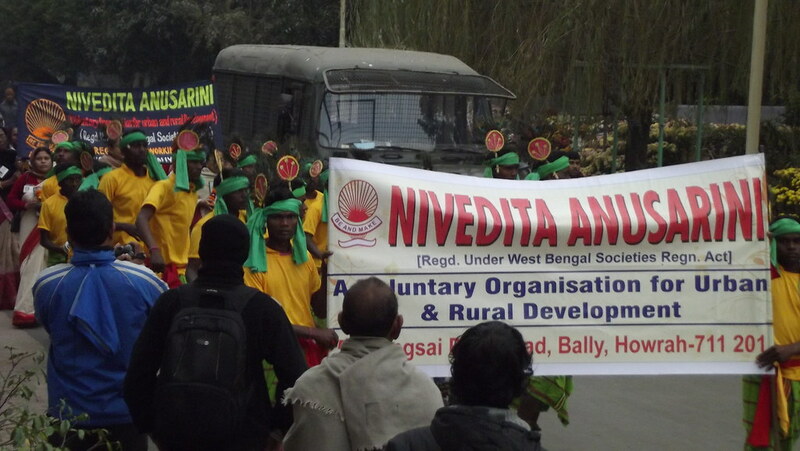 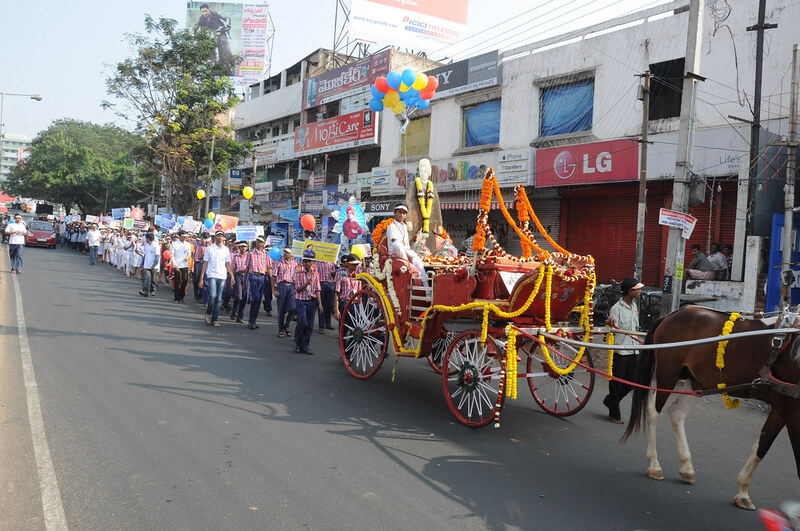 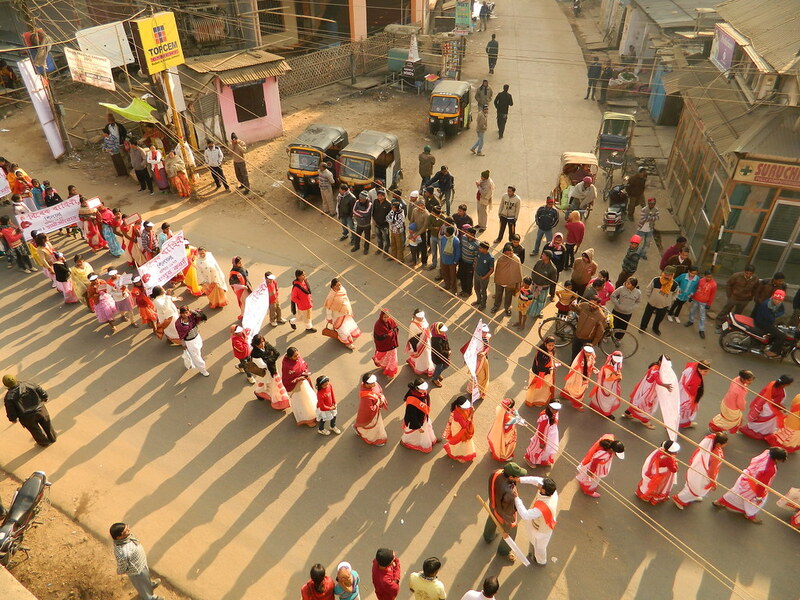 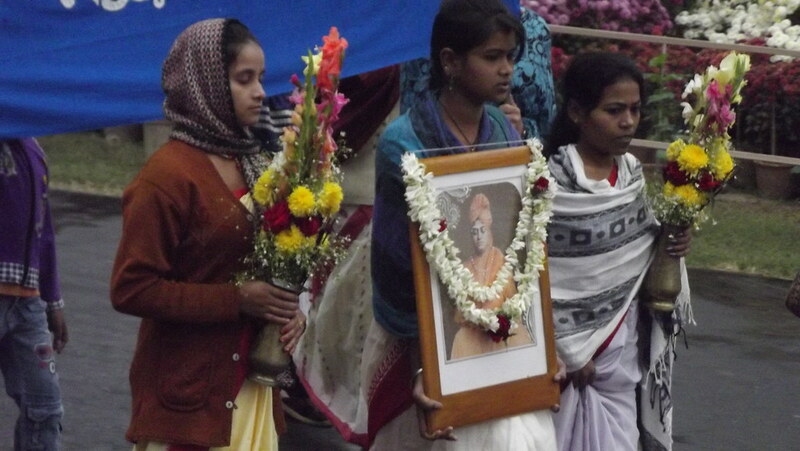 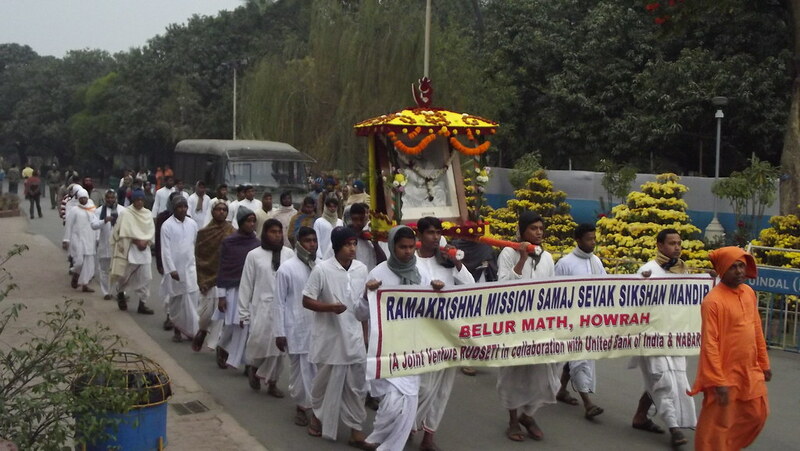 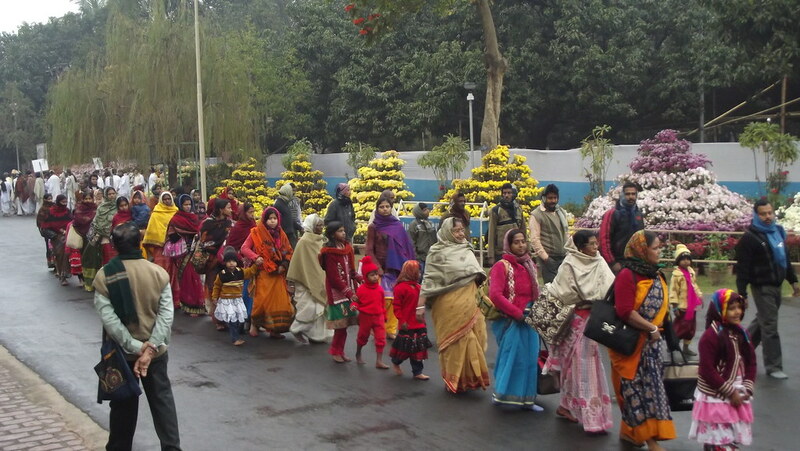 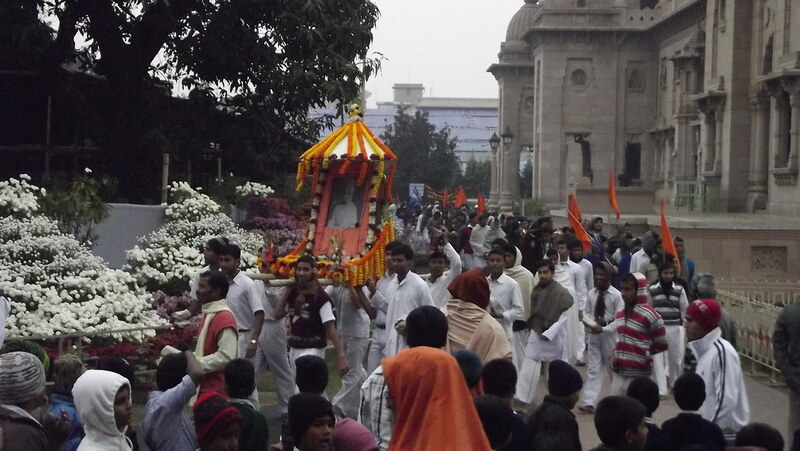 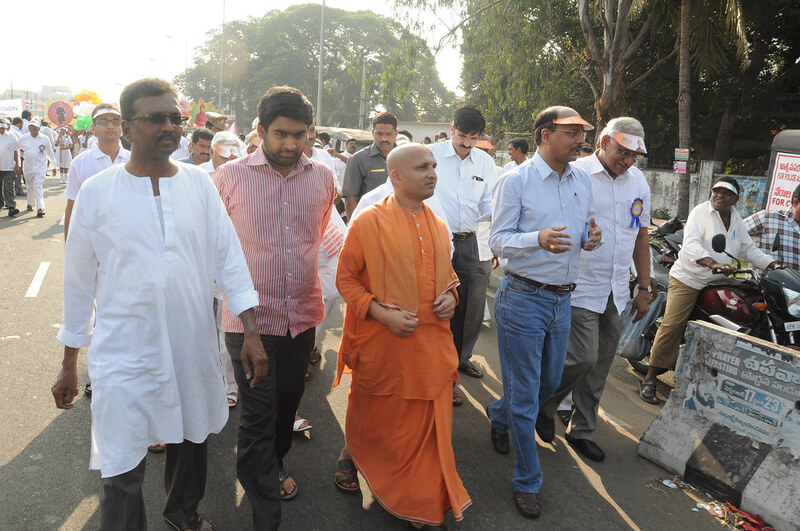 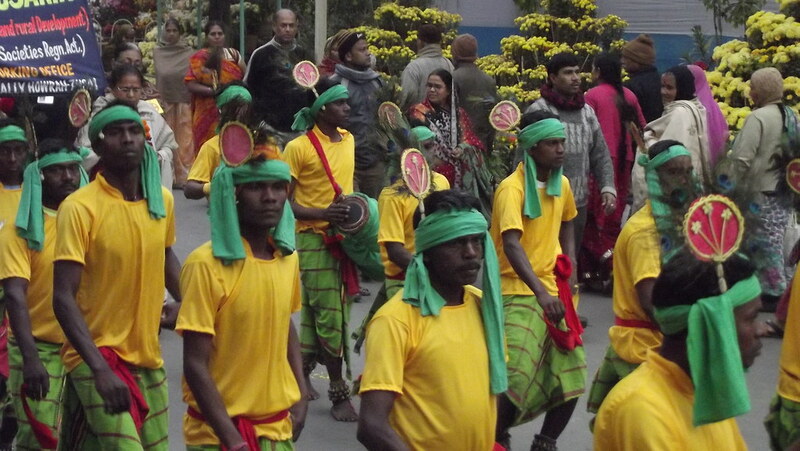 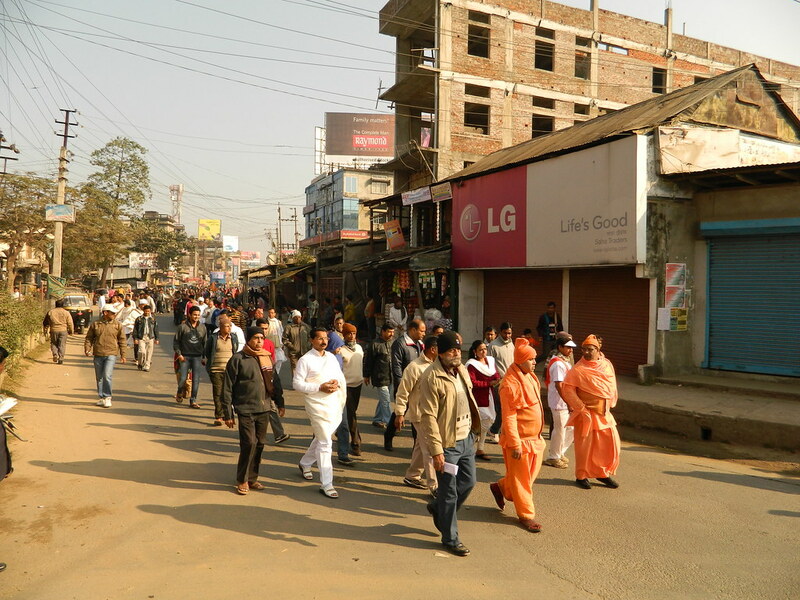 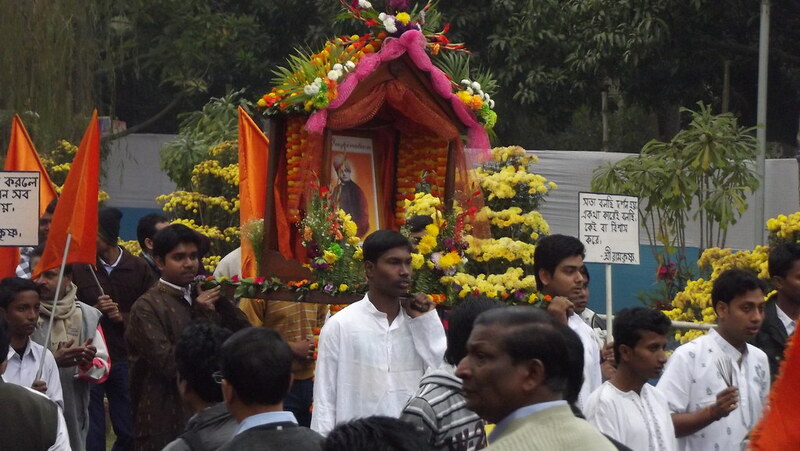 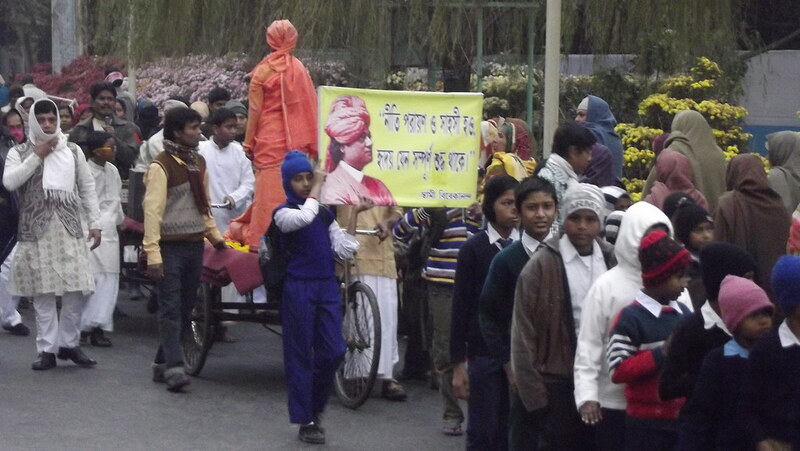 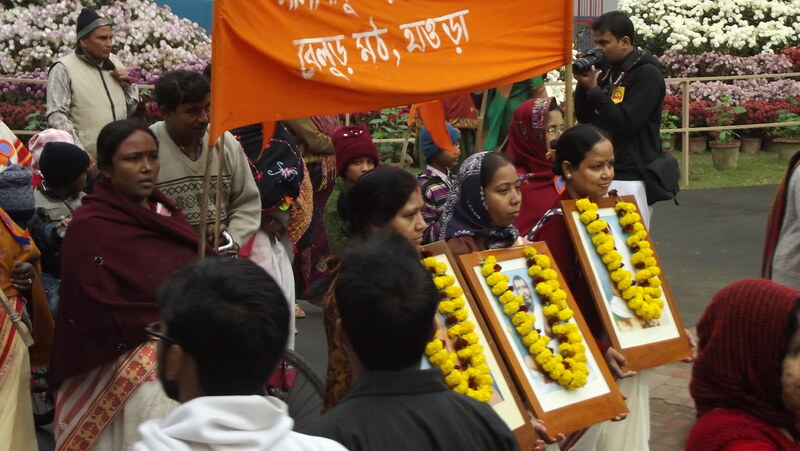 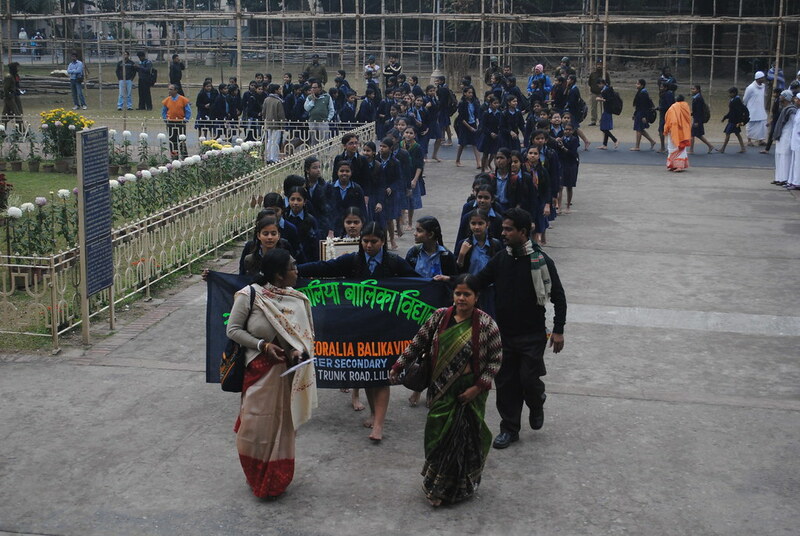 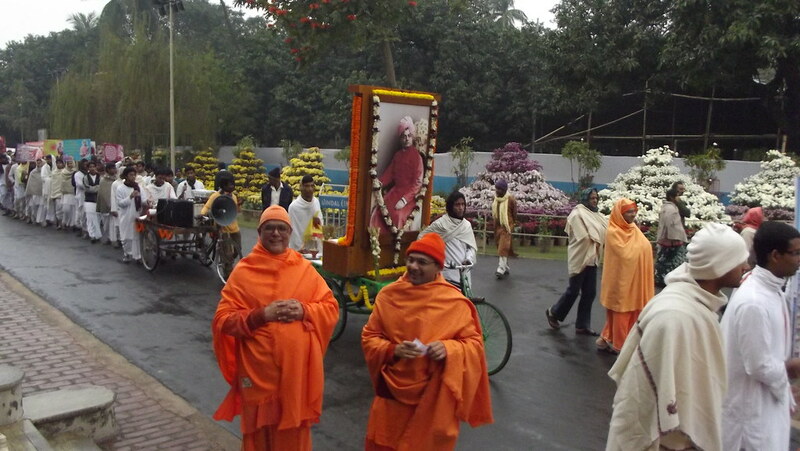 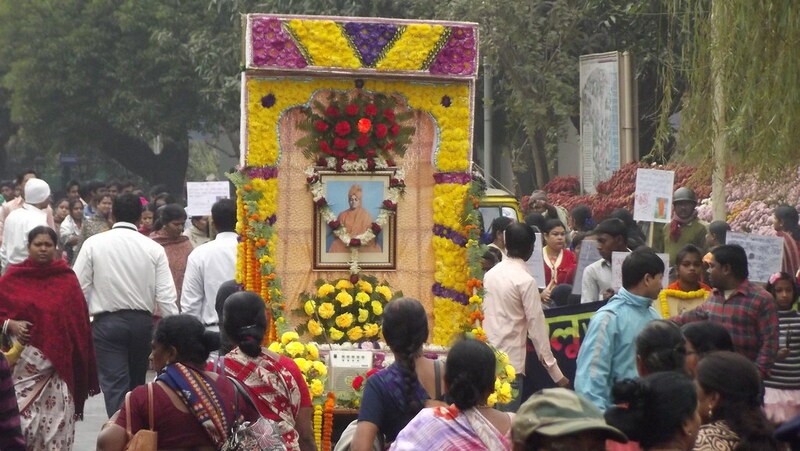 The function was inaugurated by Revered Srimat Swami Prabhanandaji Maharaj, Vice-President, Ramakrishna Math and Ramakrishna Mission, Belur Math, on 12th January, 2013 at 2.30 p.m.
Procession : On the morning of 12 January, 2013 there was a colourful procession organized by the Sevashrama in co-operation with Vivek Bahini, Sarada Sangha and other social organizations. 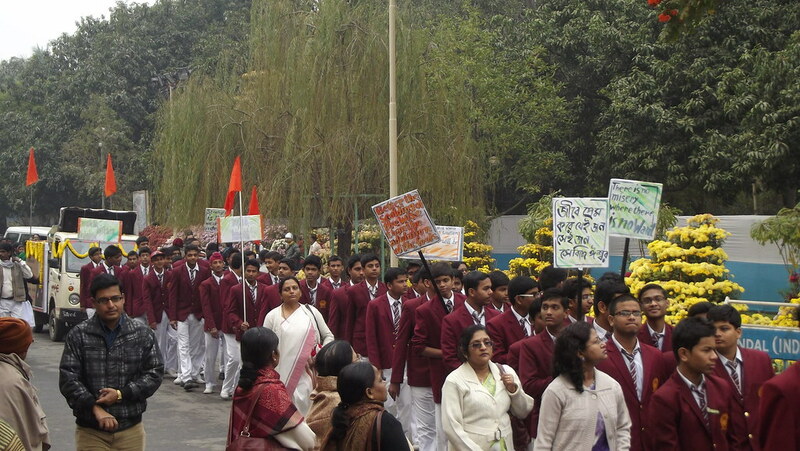 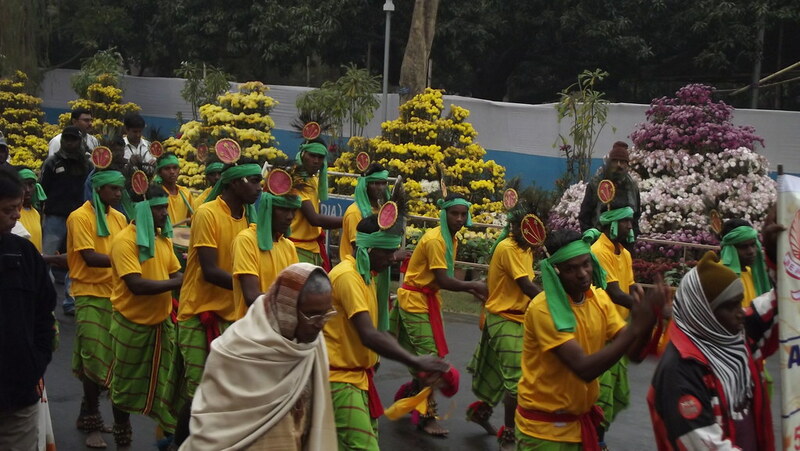 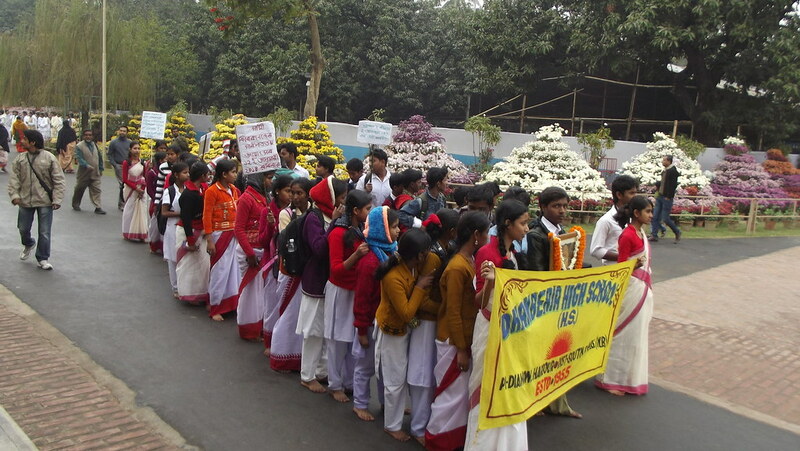 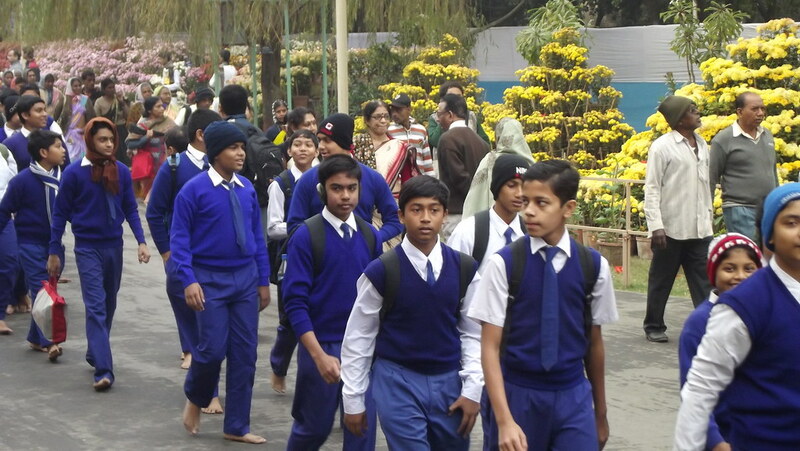 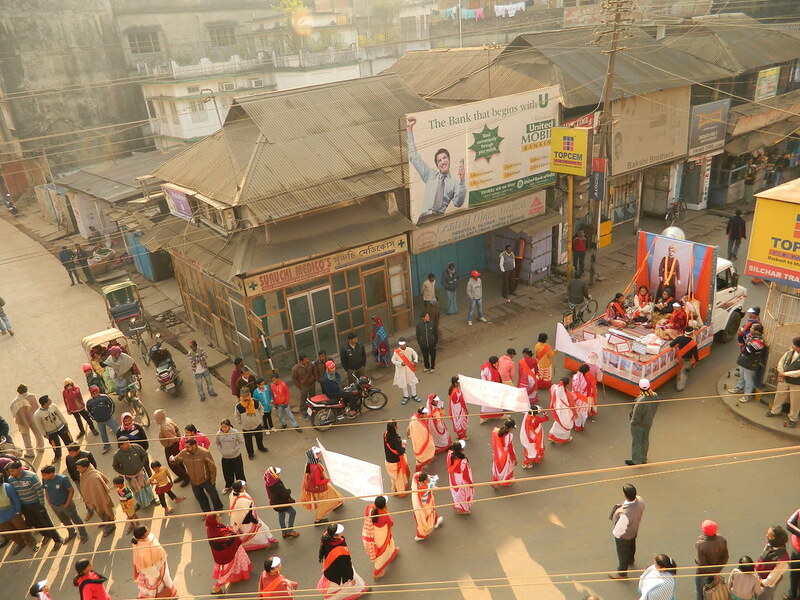 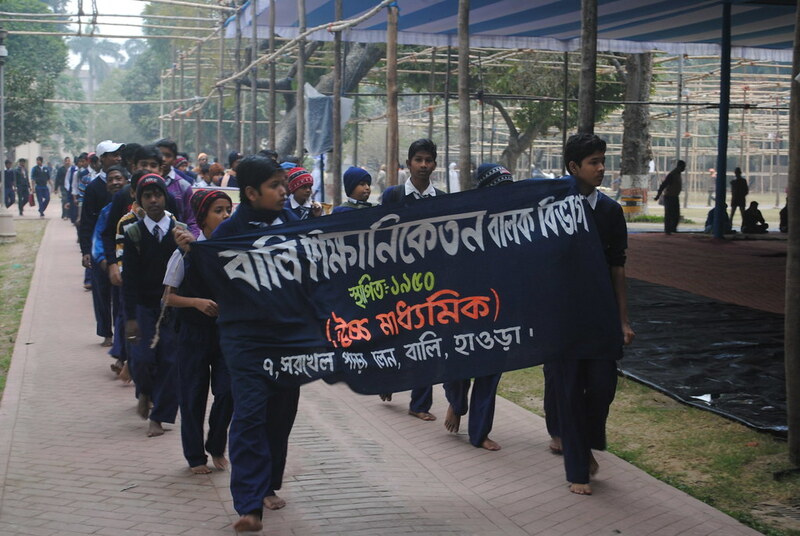 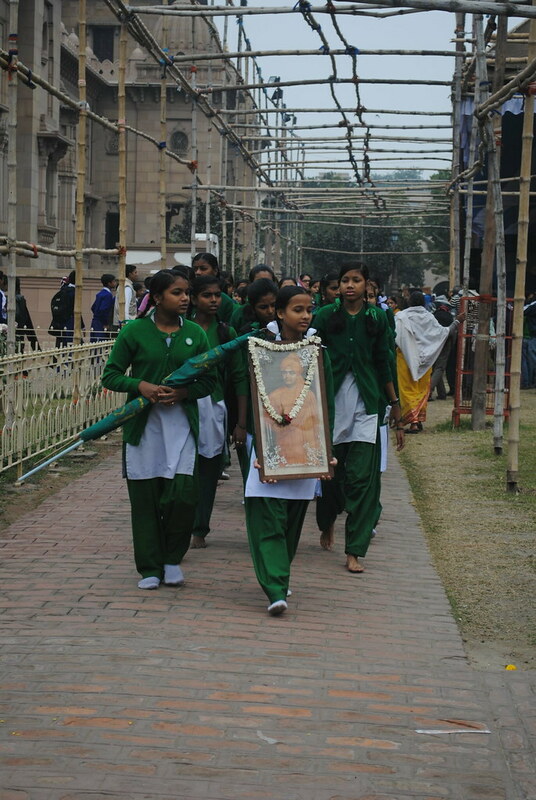 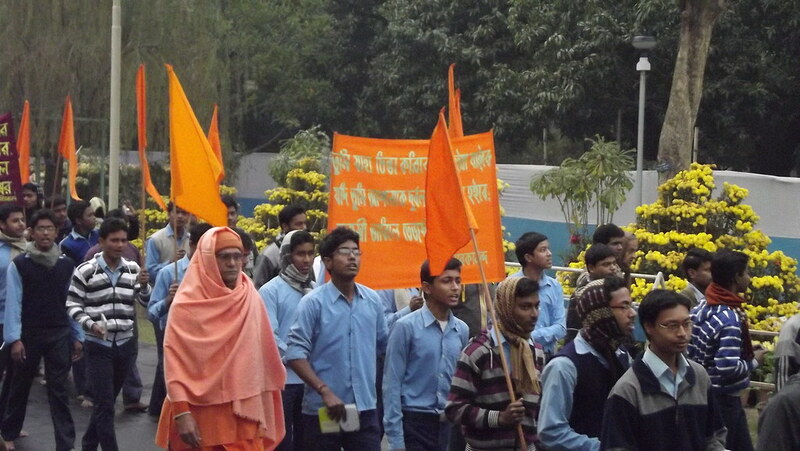 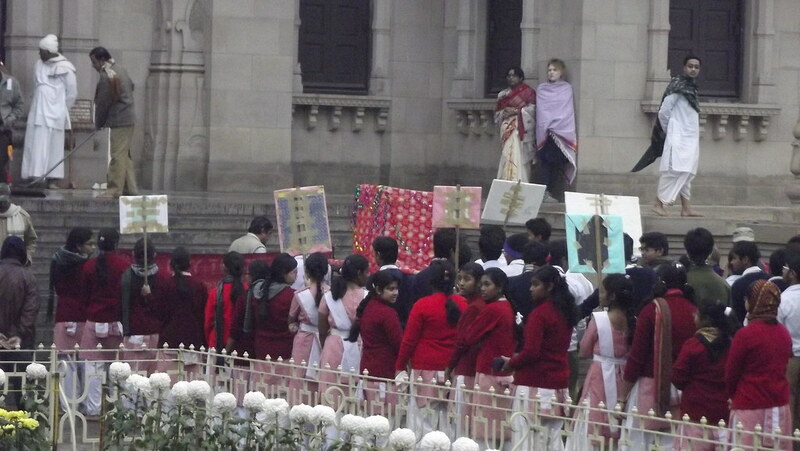 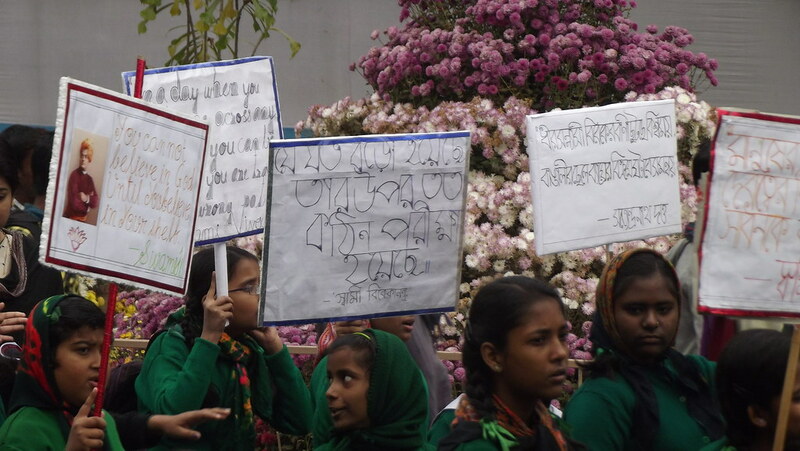 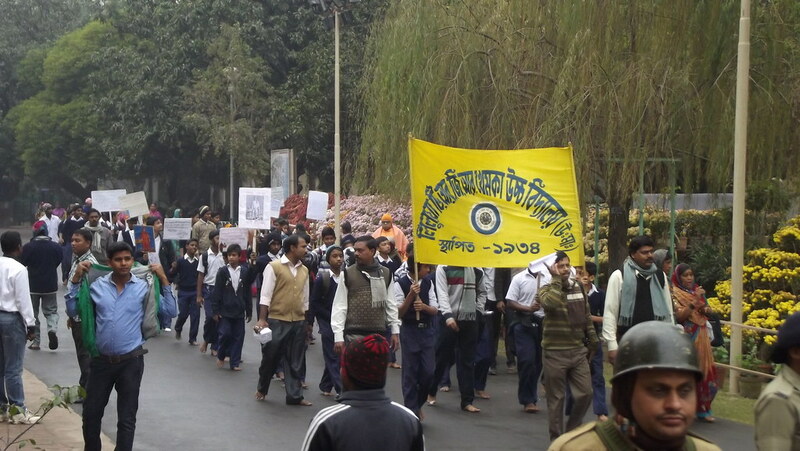 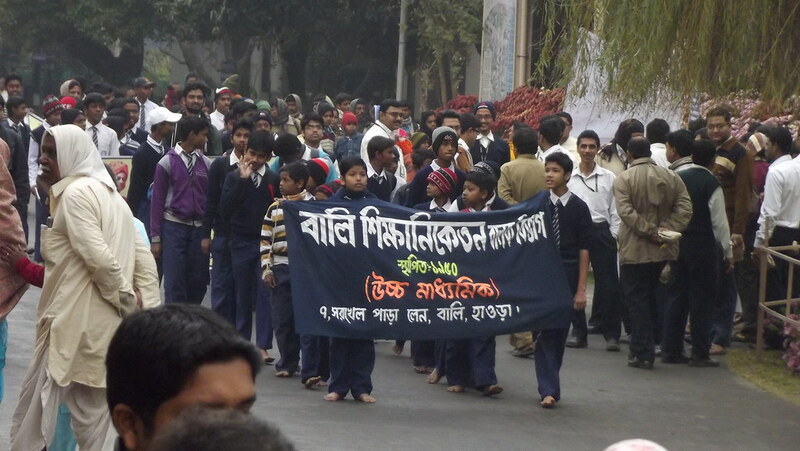 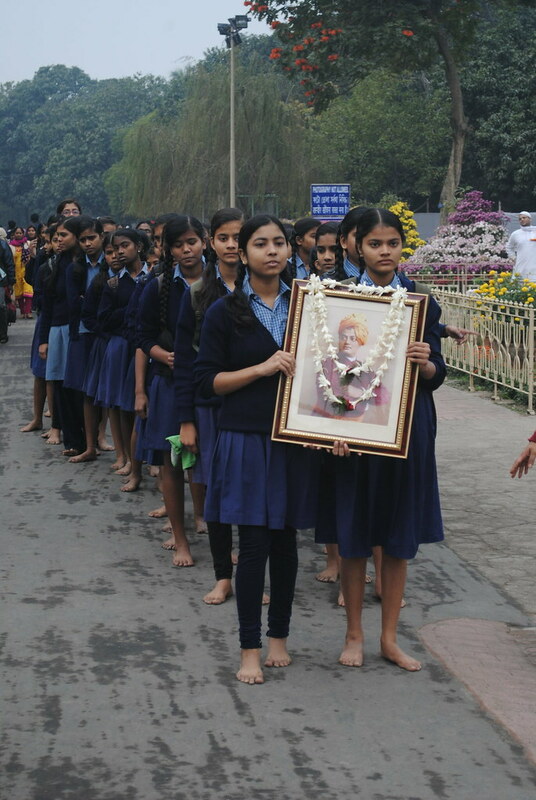 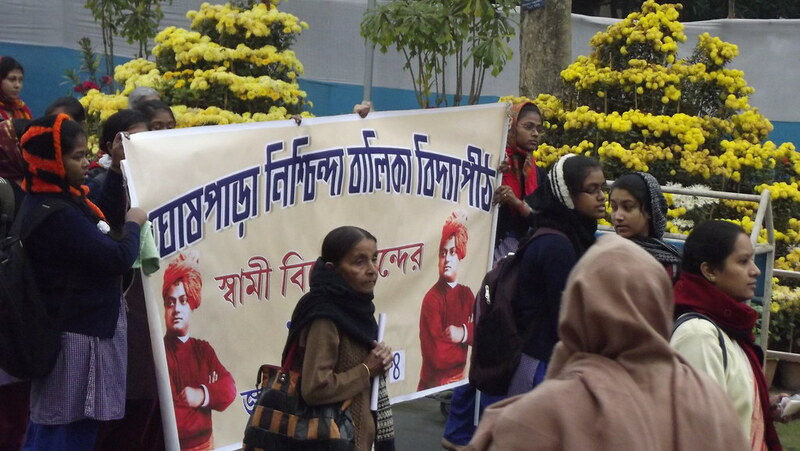 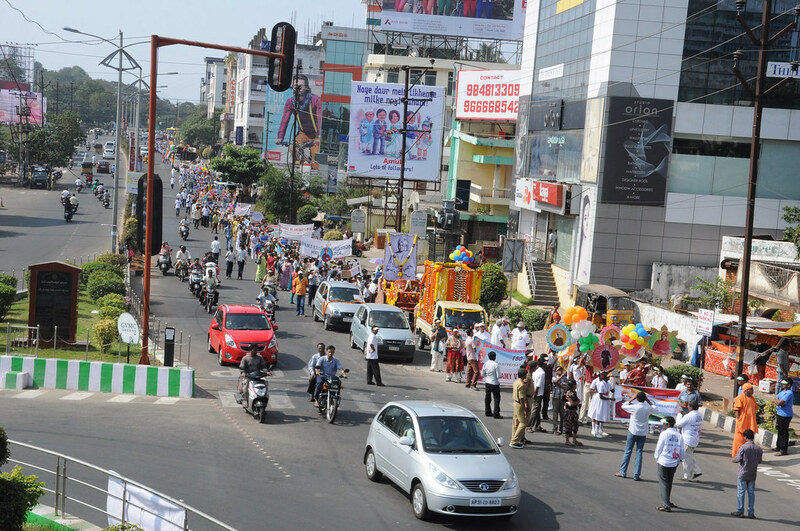 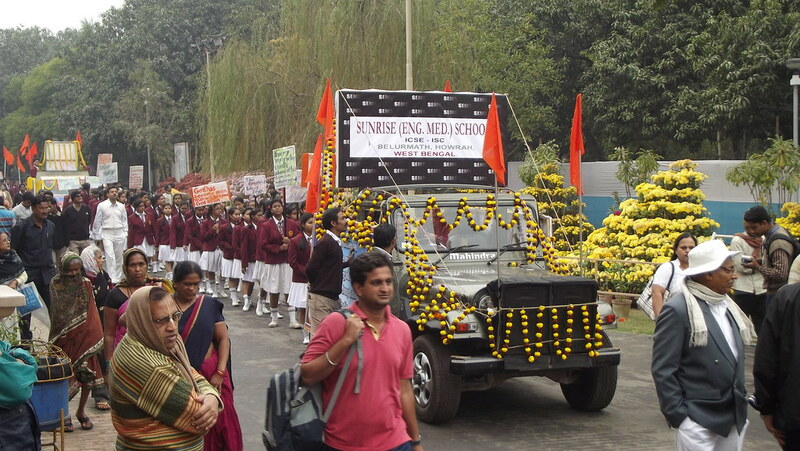 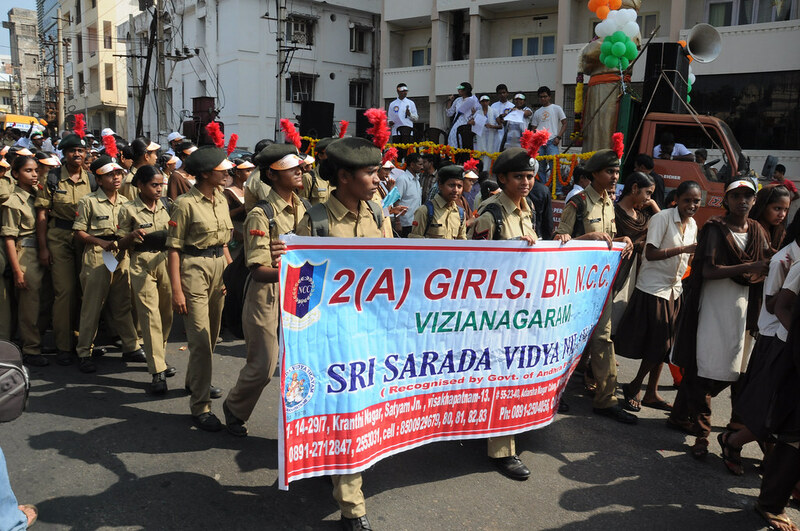 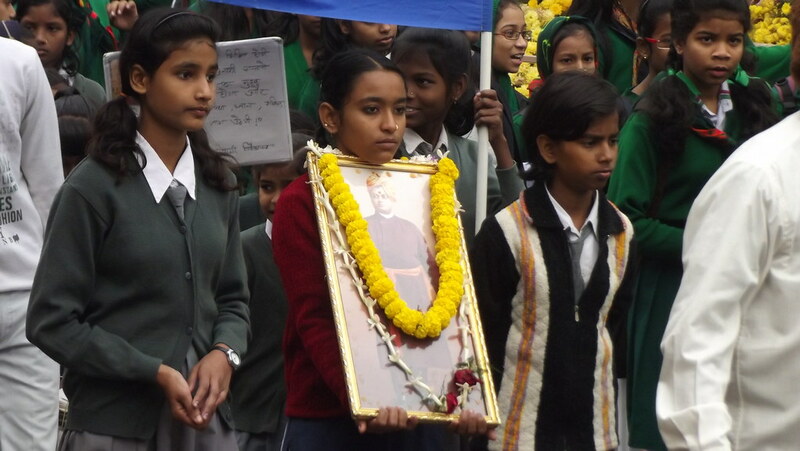 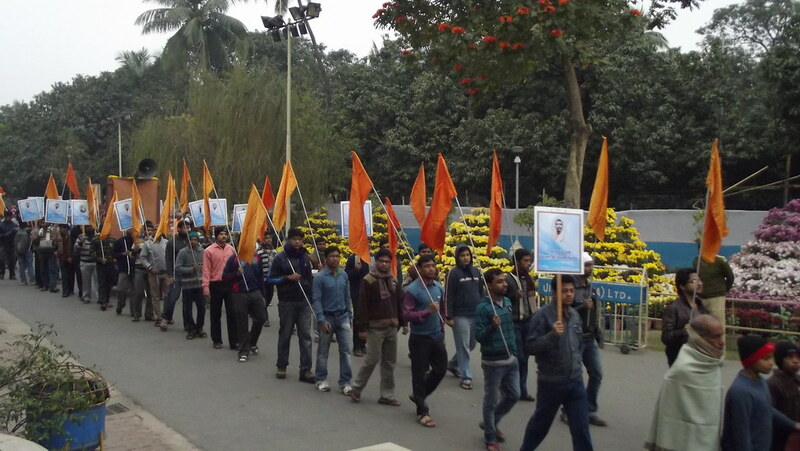 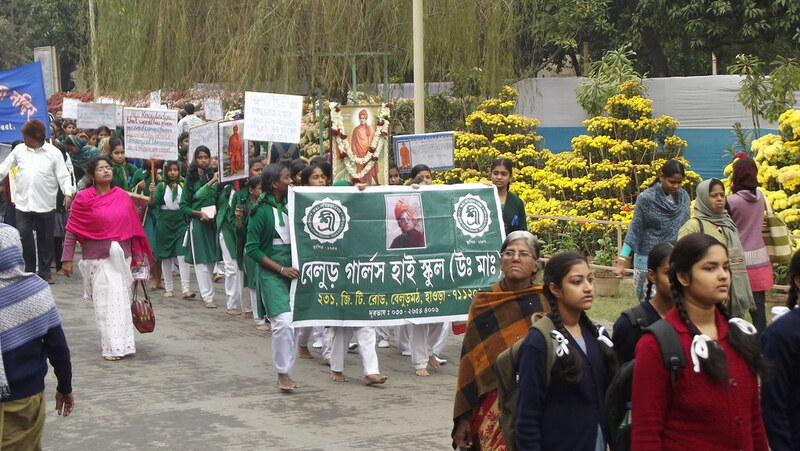 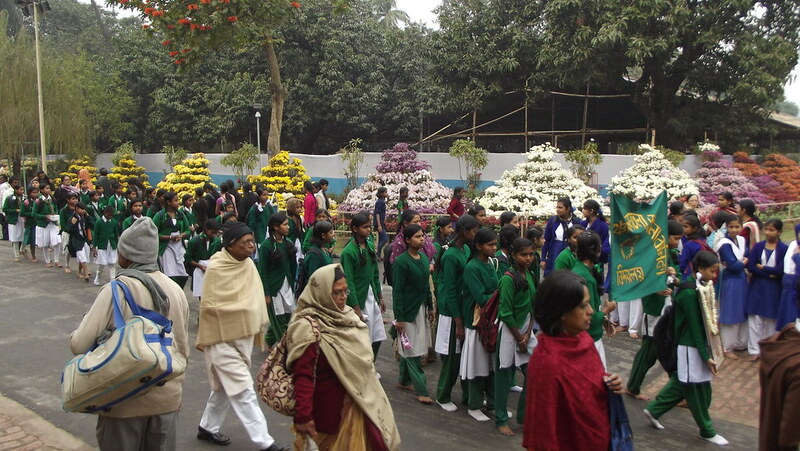 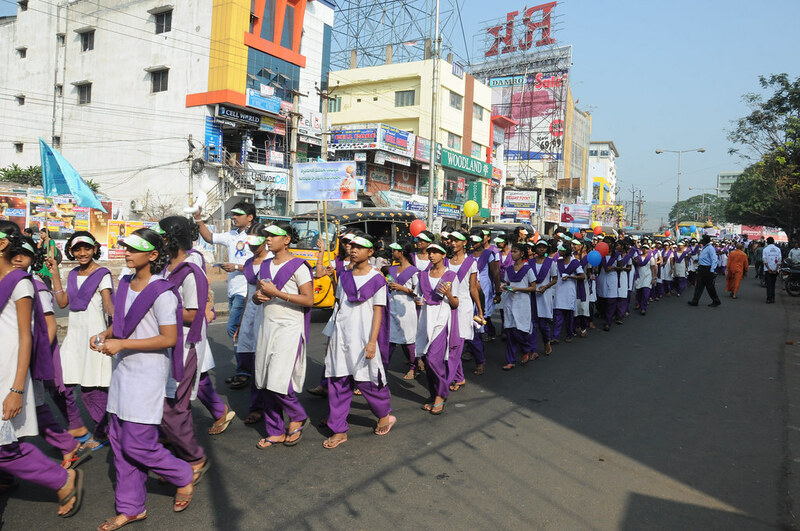 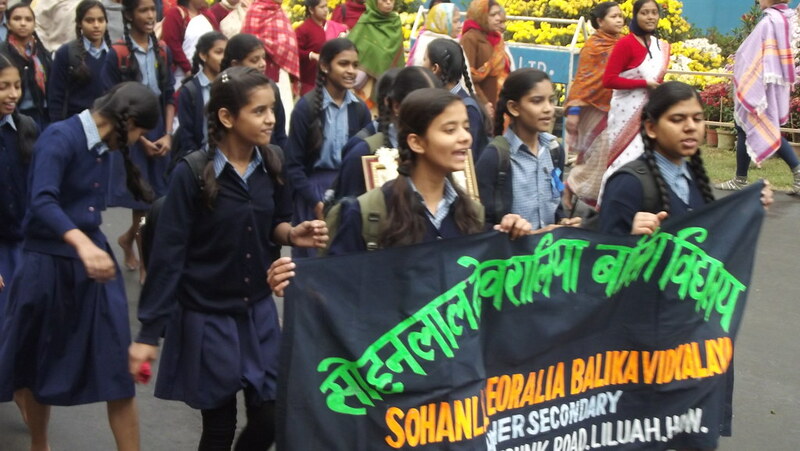 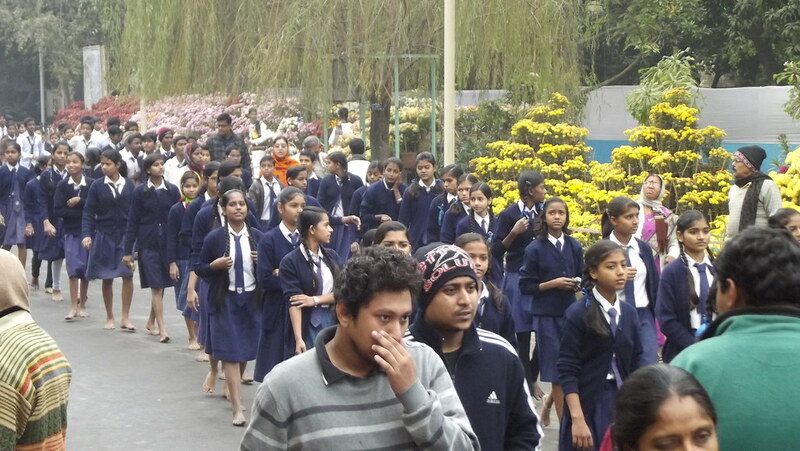 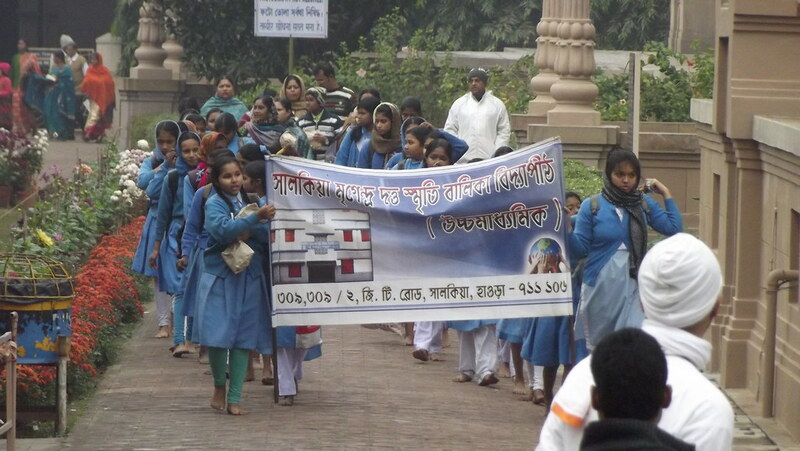 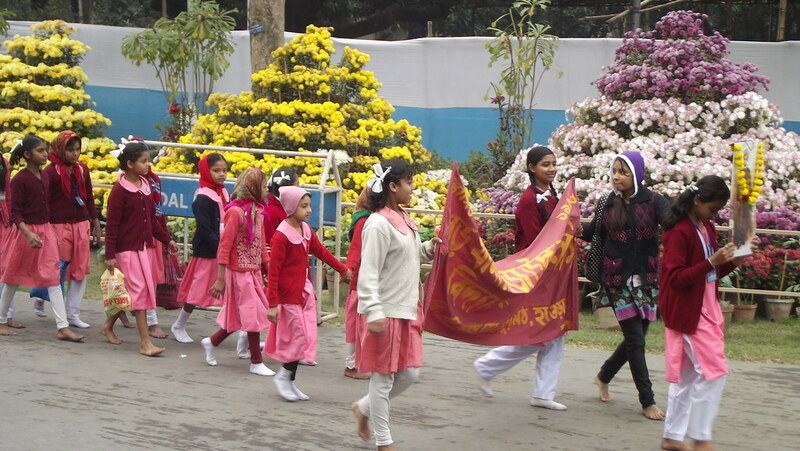 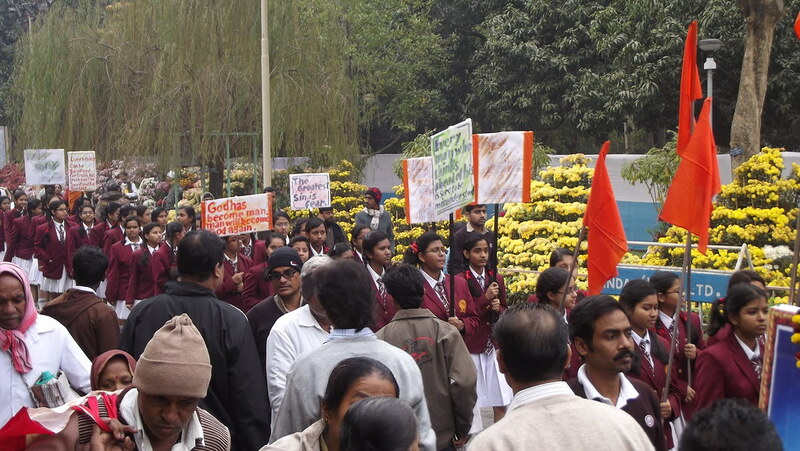 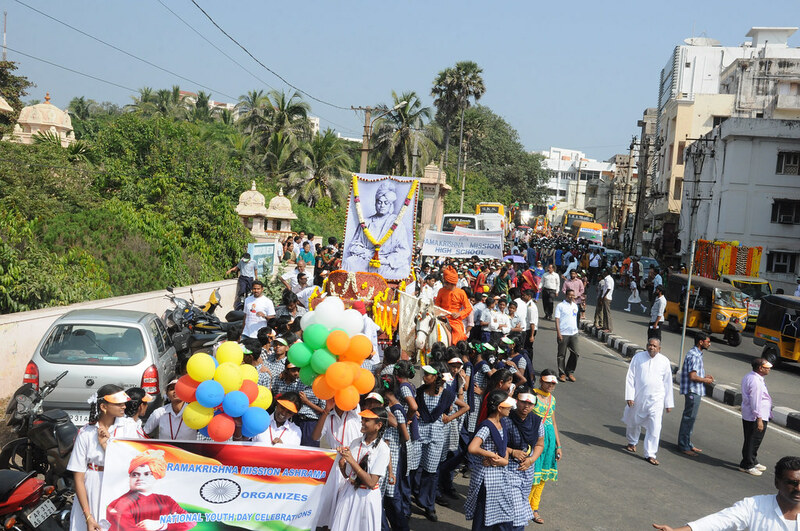 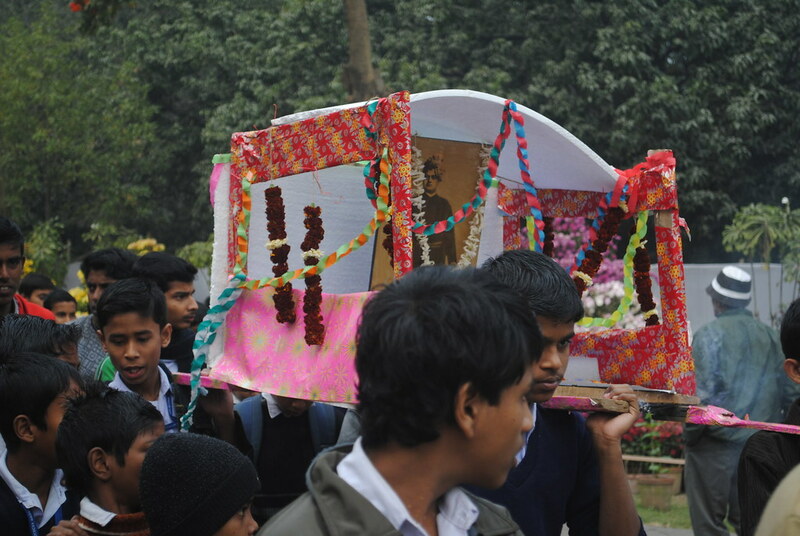 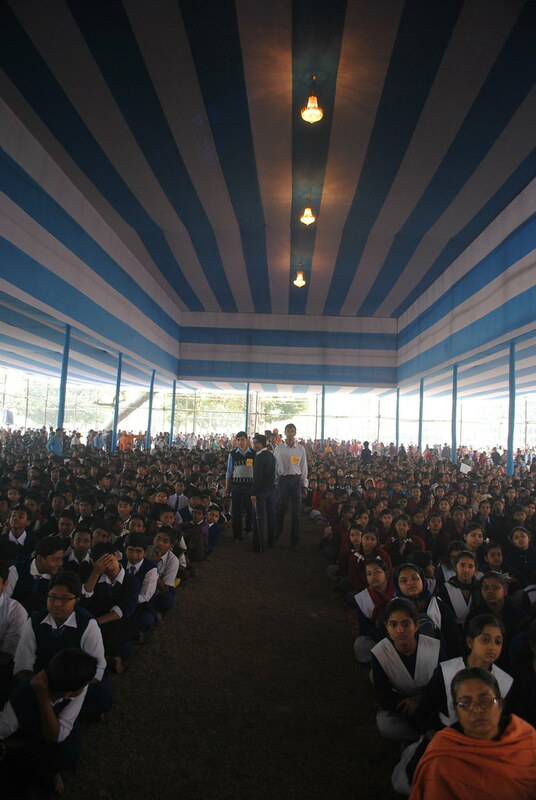 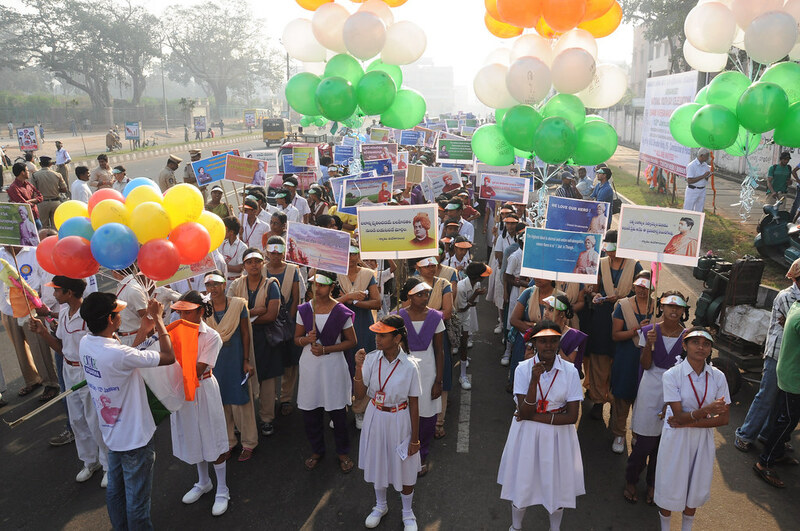 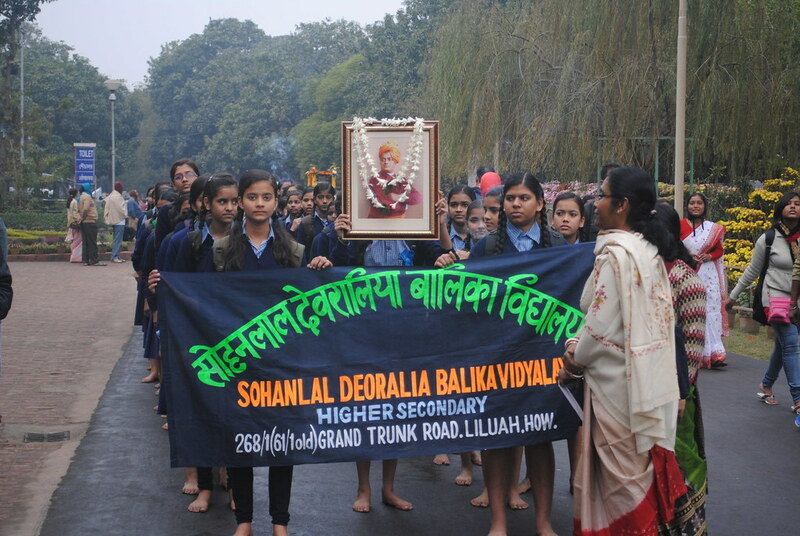 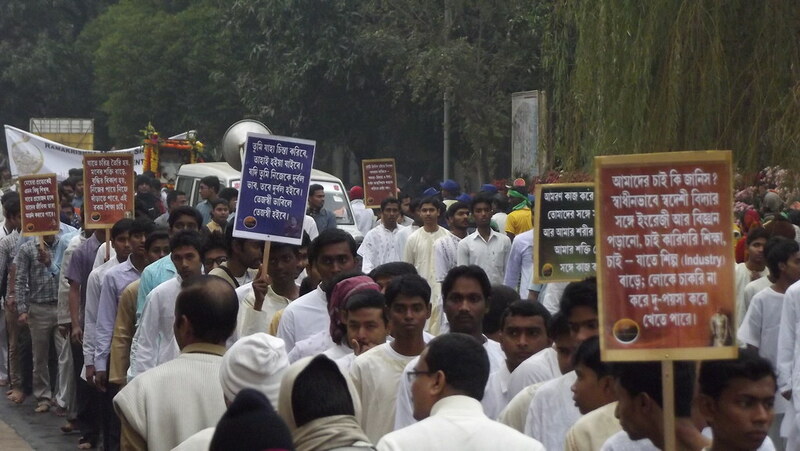 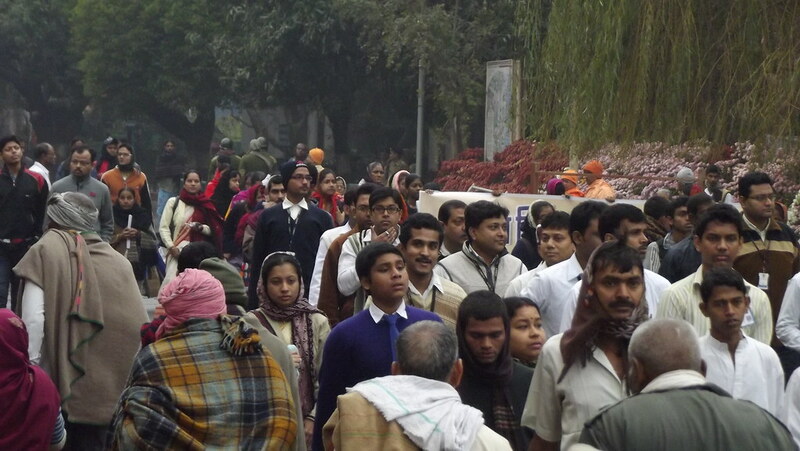 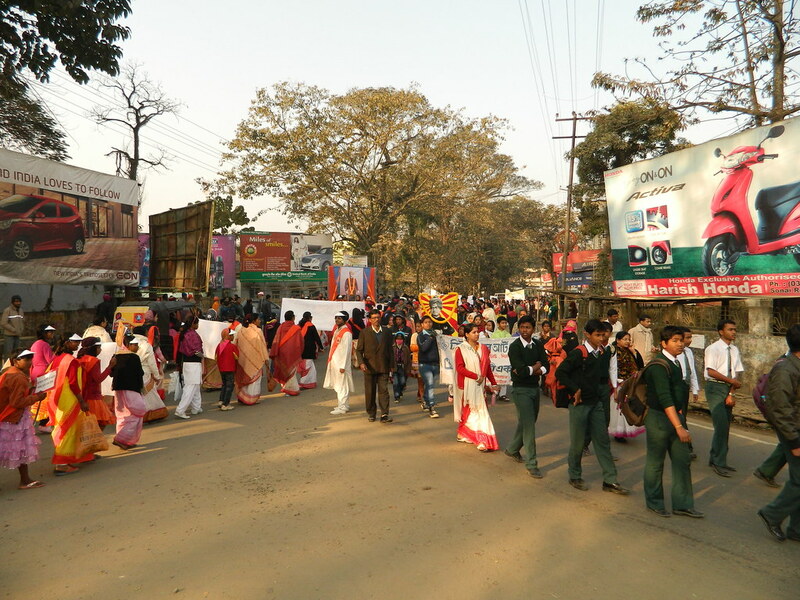 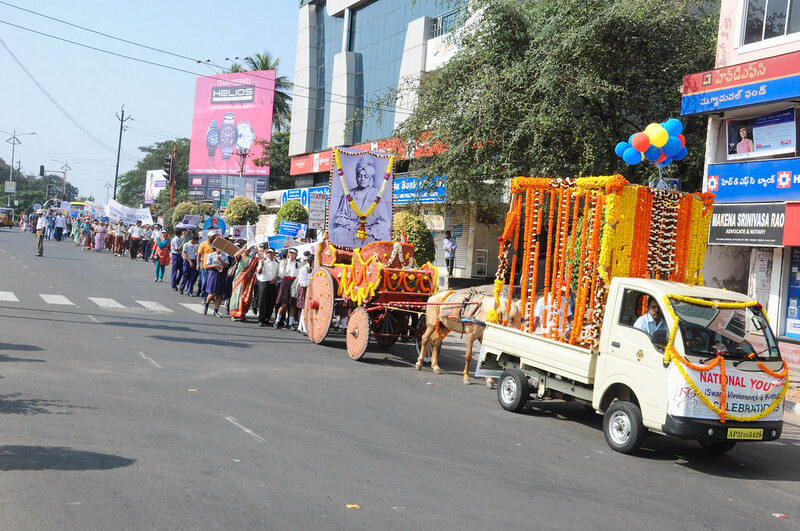 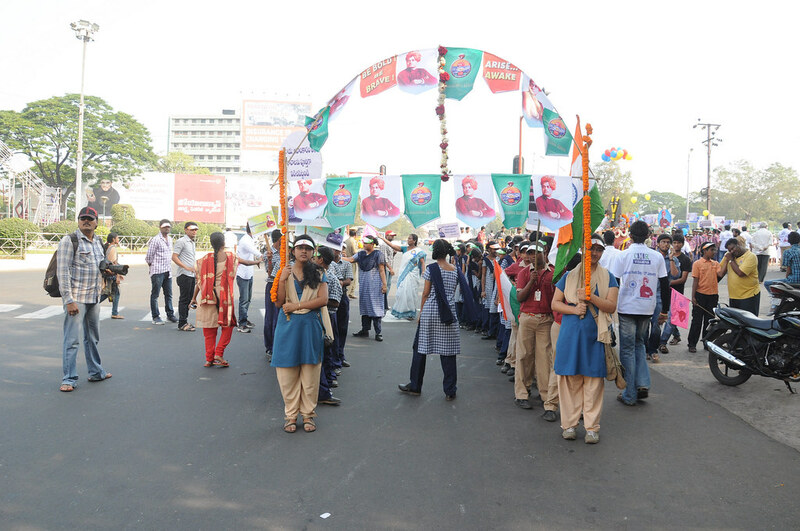 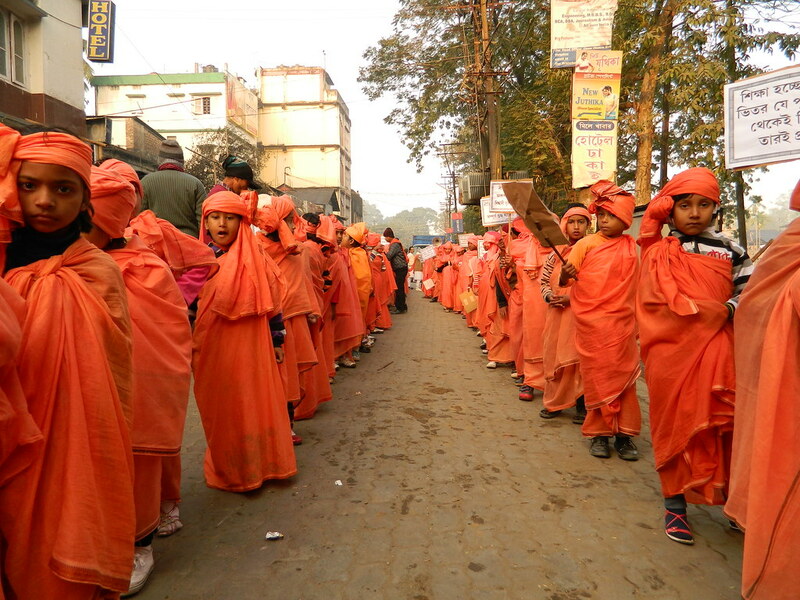 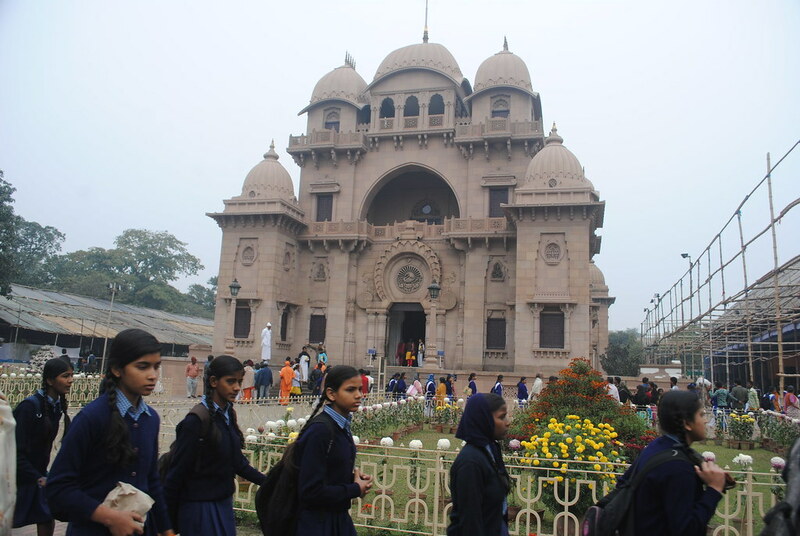 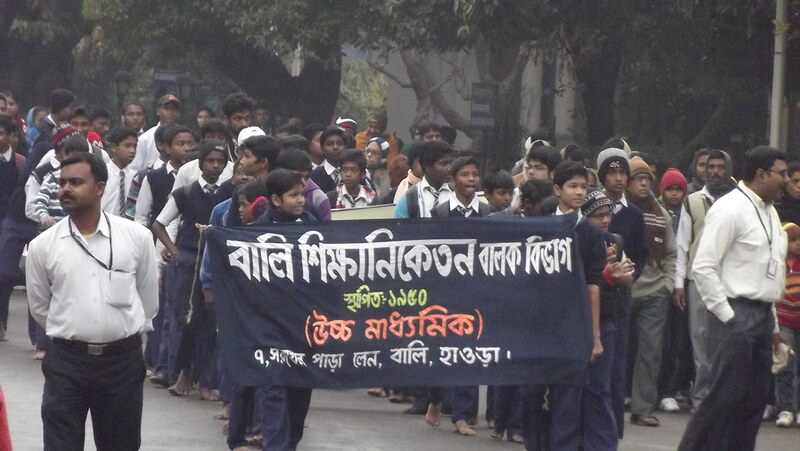 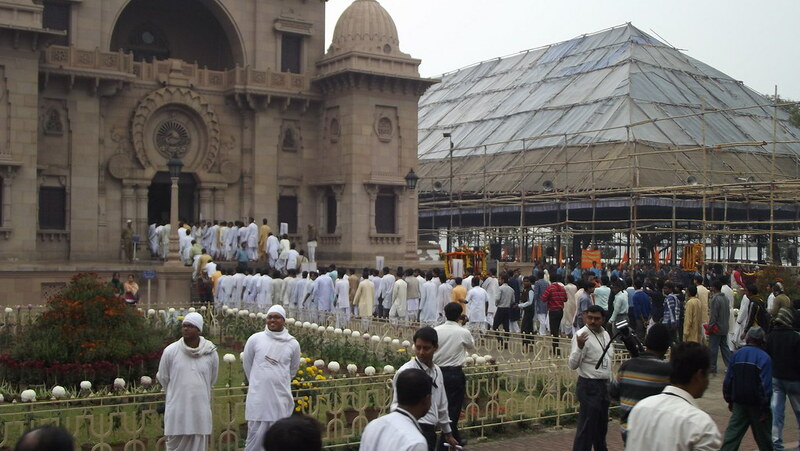 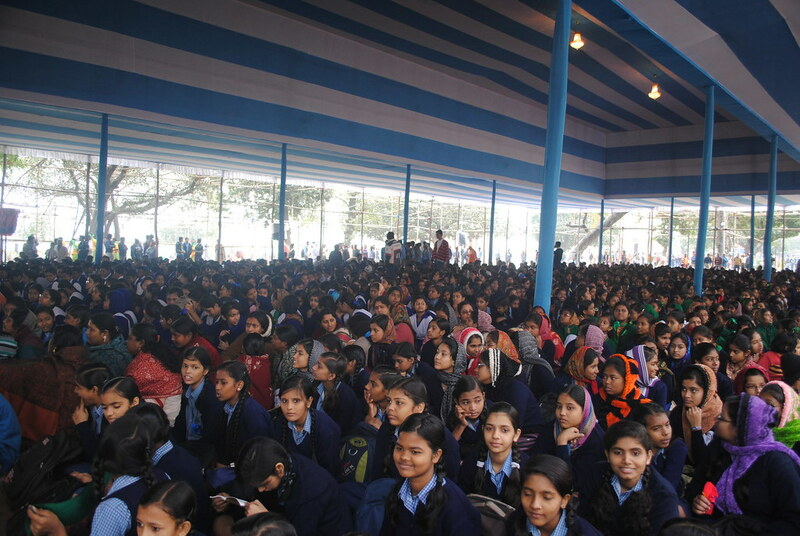 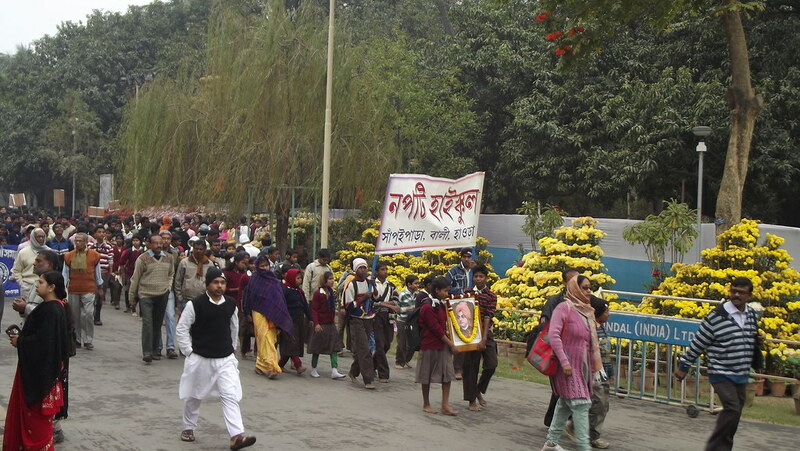 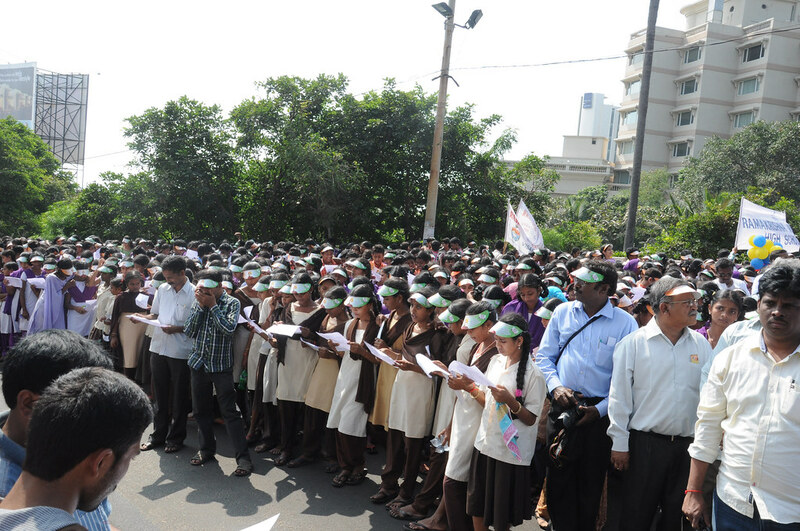 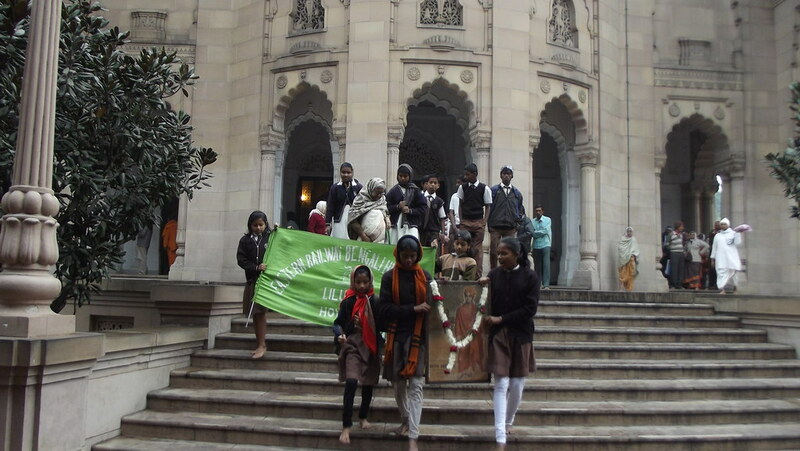 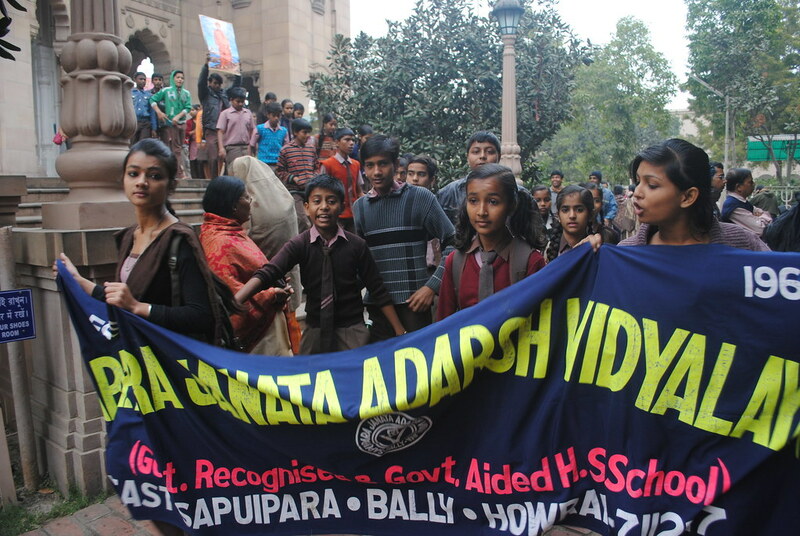 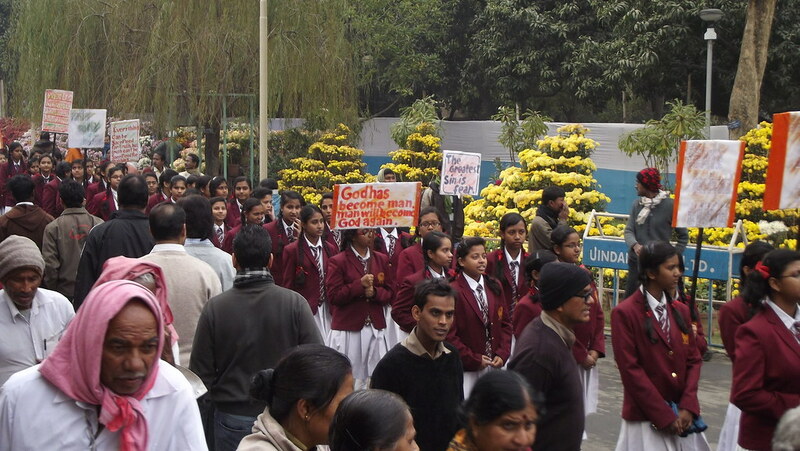 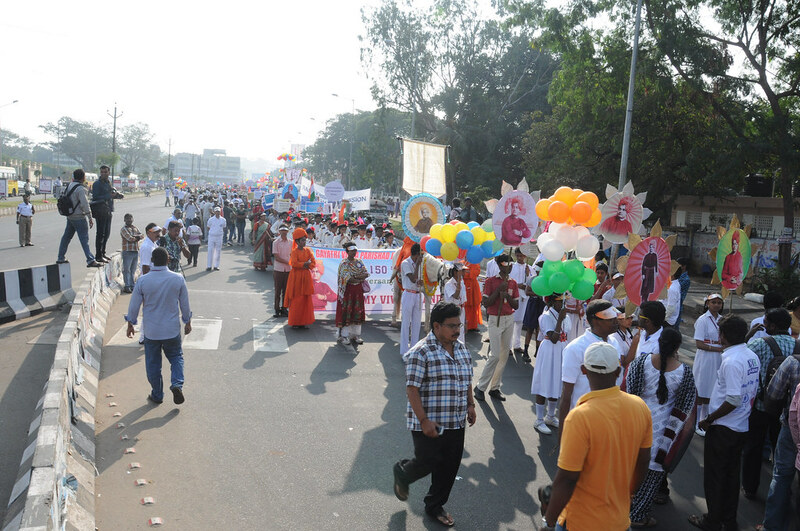 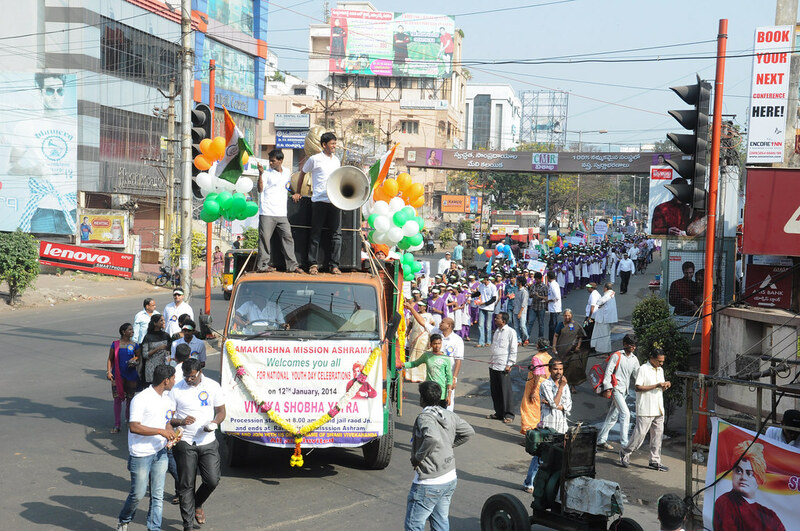 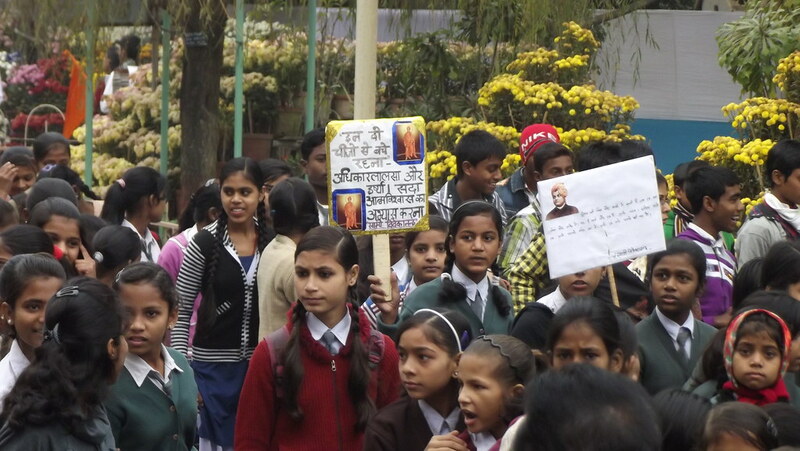 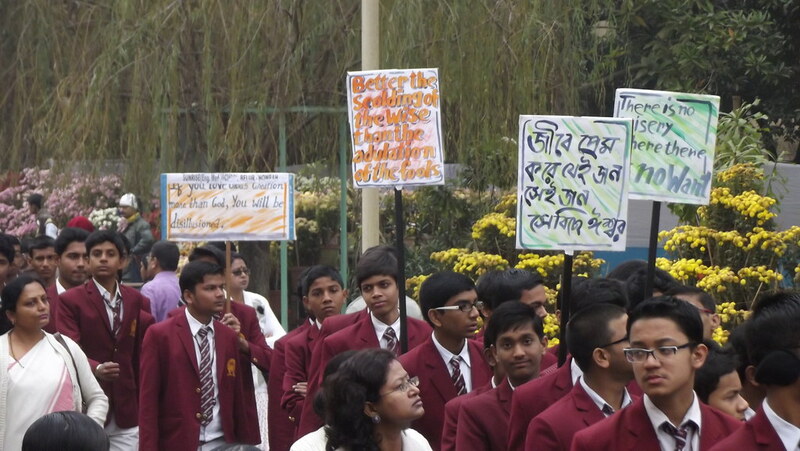 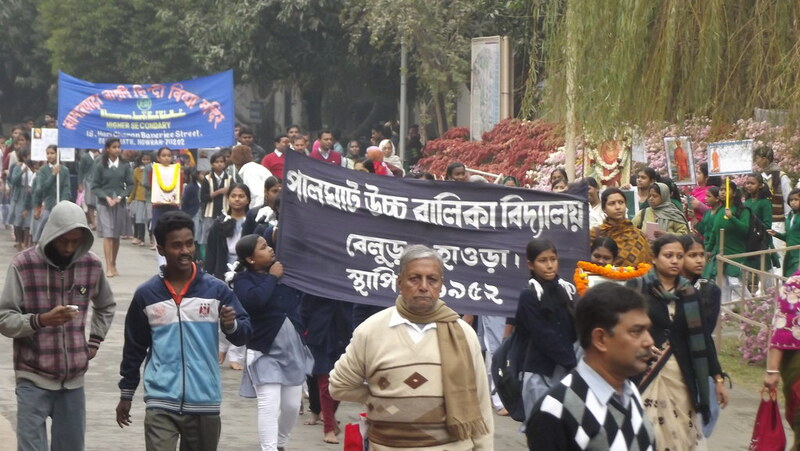 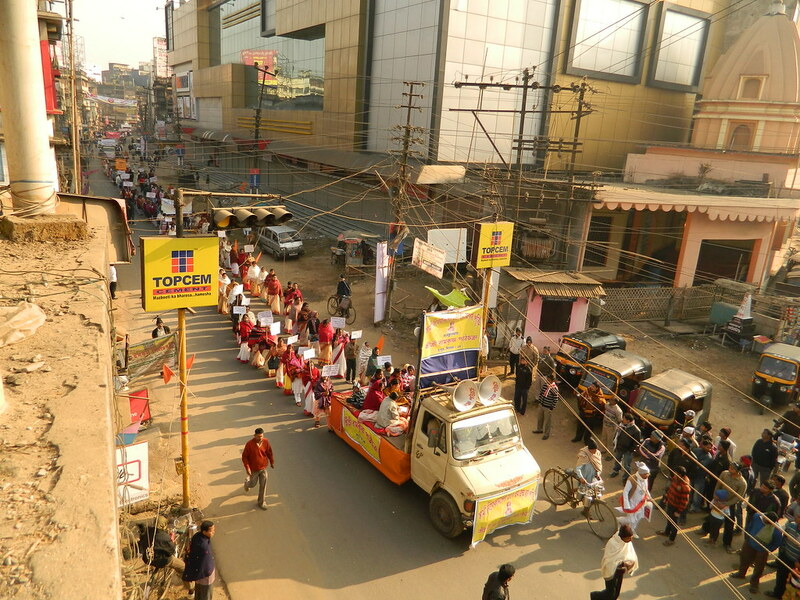 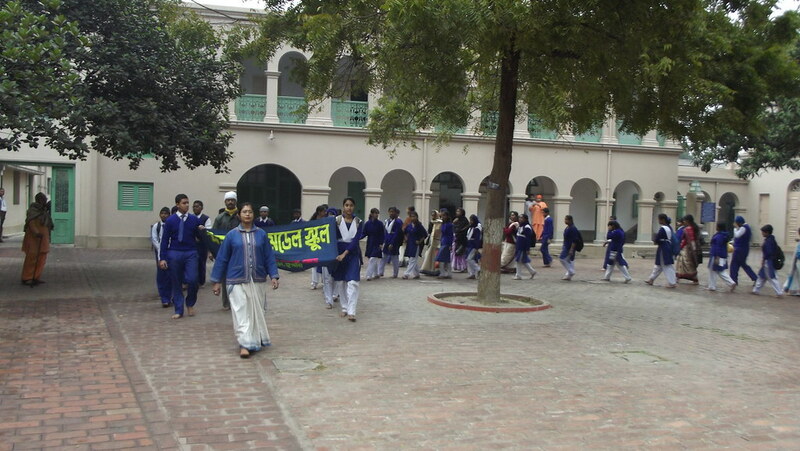 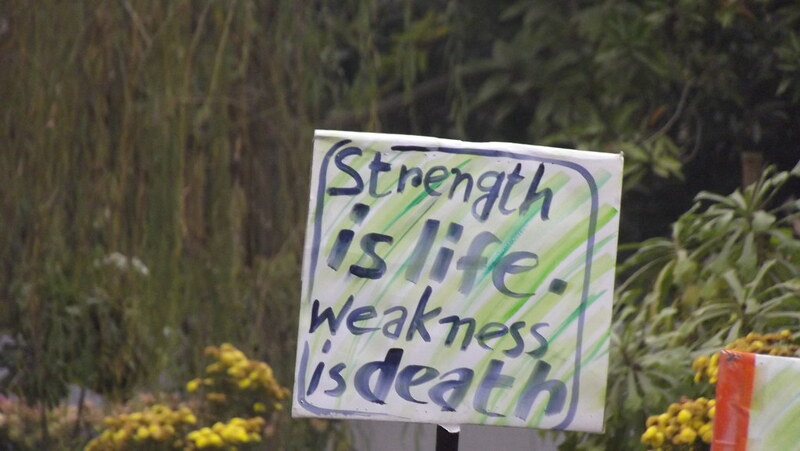 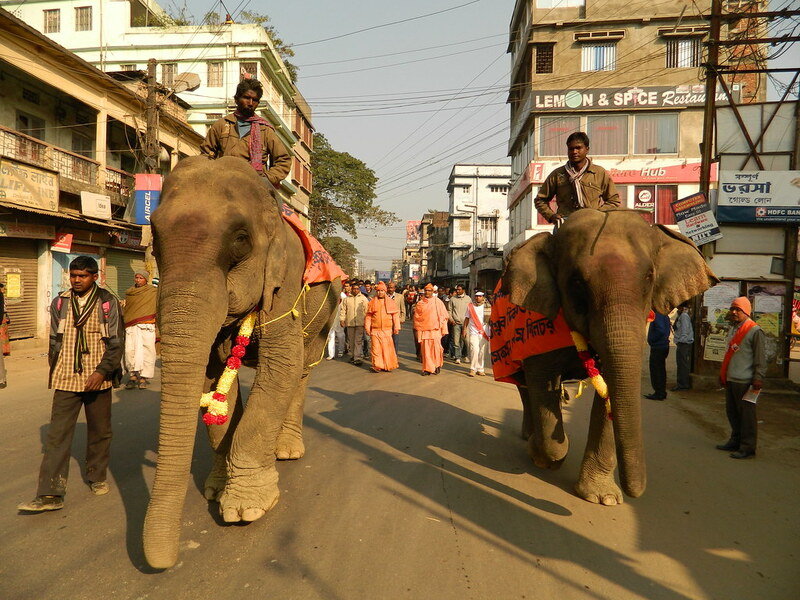 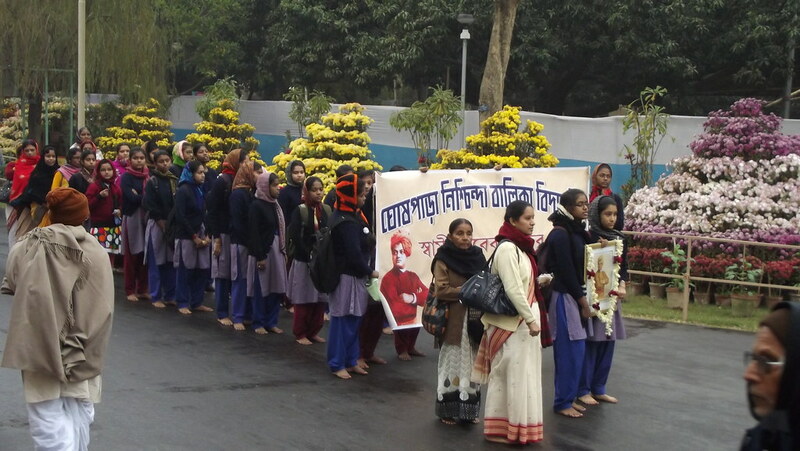 About 4000 students of various educational institutions, devotees of private centres, admirers and public in general joined the procession with their respective banners and festoons.